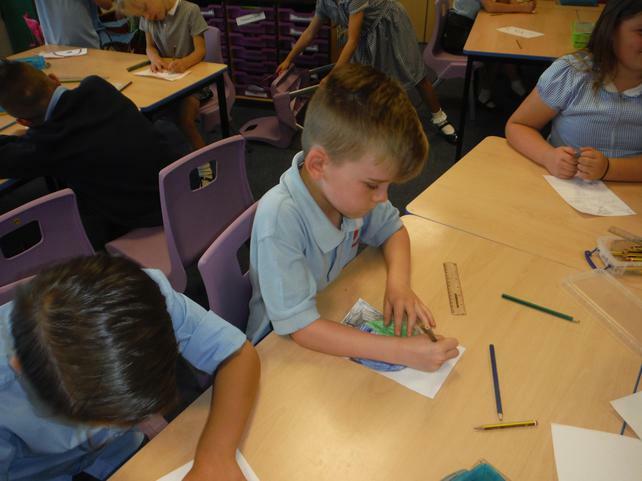 Class 2 have worked incredibly hard this week, we have been thinking about 'Treasure' and the different treasures in our lives. 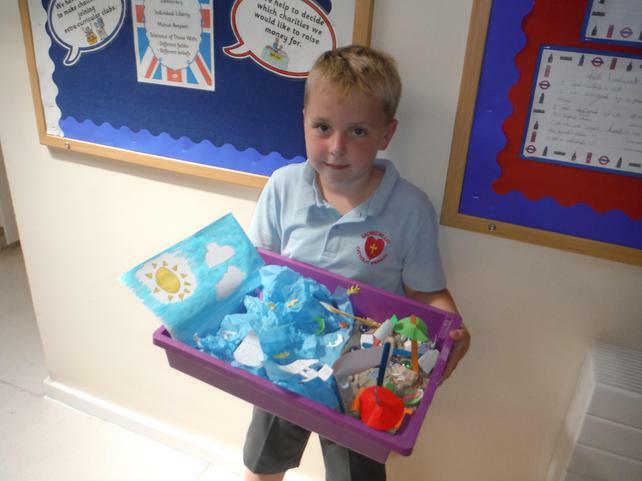 We shared our own special treasures and looked at Mrs Low's special treasures in her memory box. 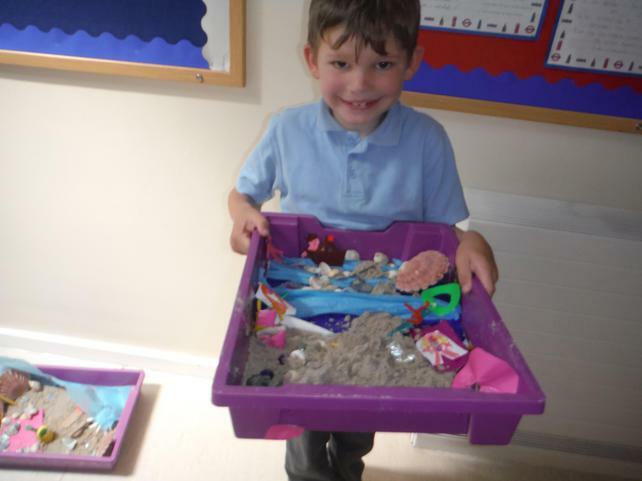 We found out that our special treasures are all very similar. 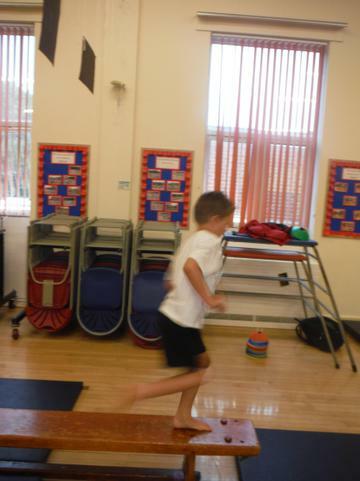 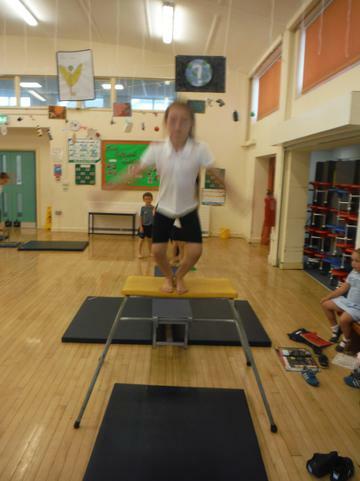 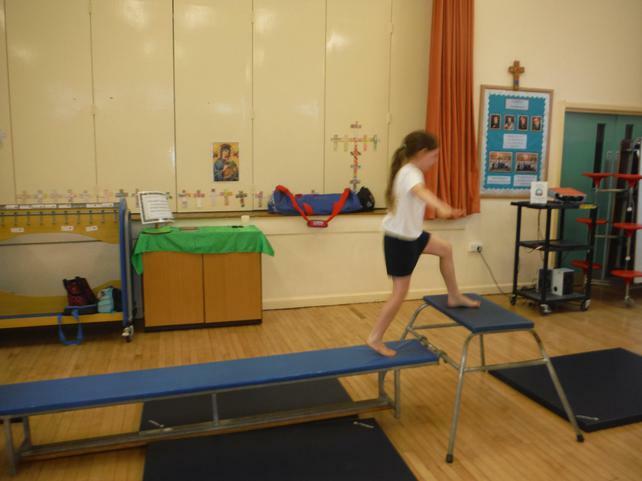 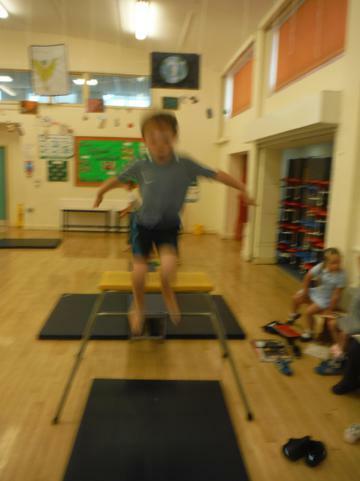 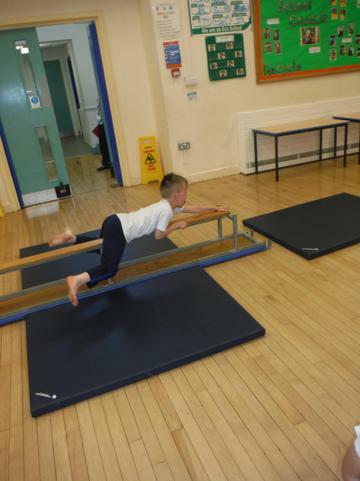 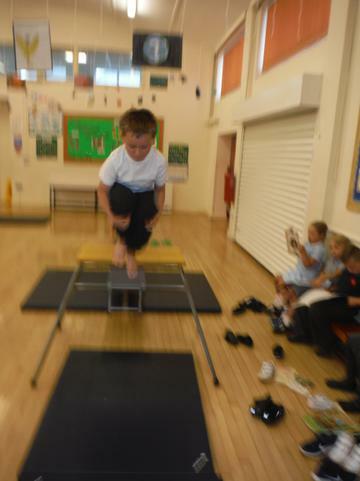 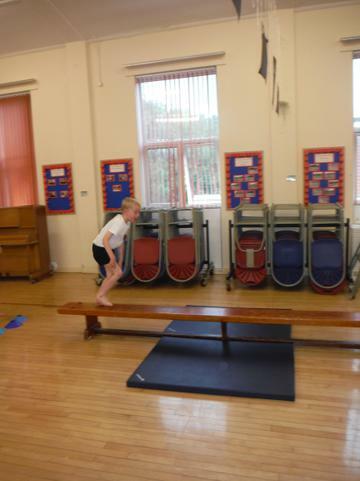 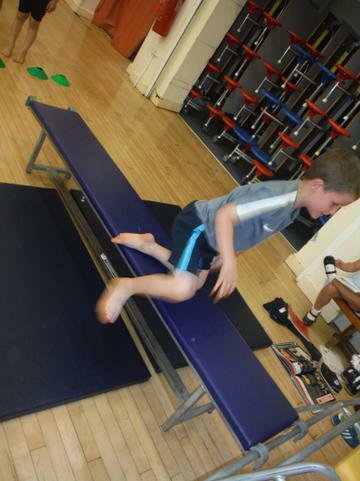 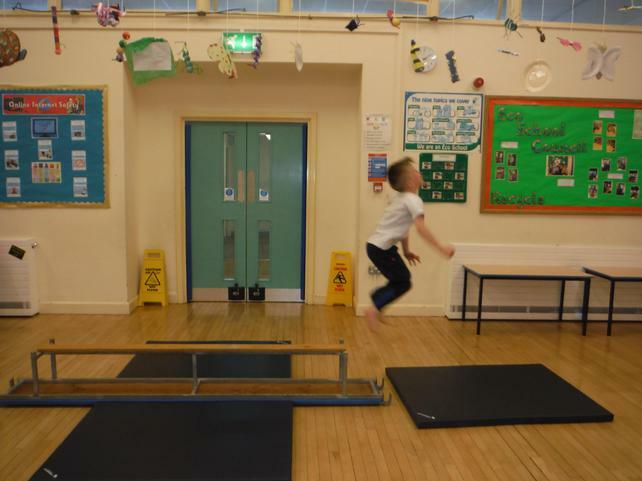 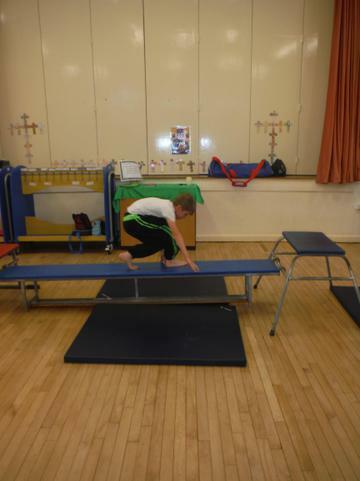 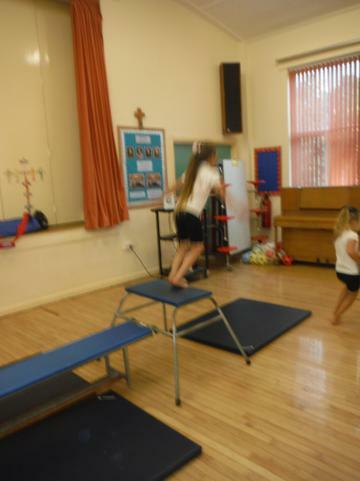 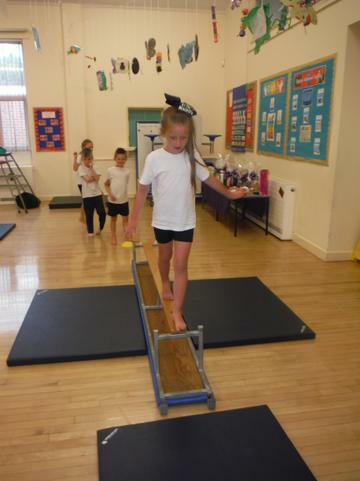 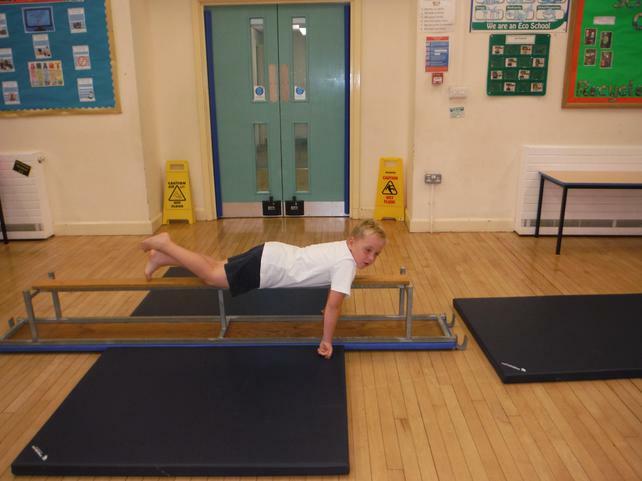 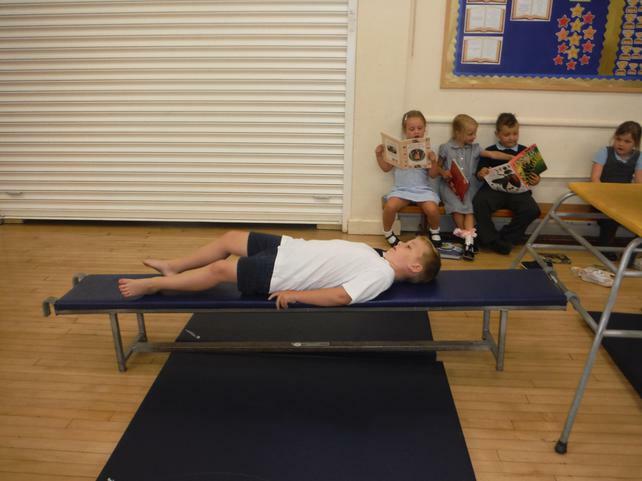 In P.E this week Mr Johnston got the apparatus out. 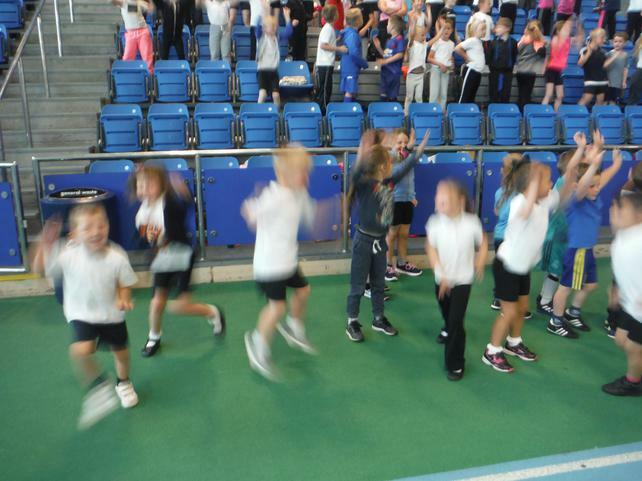 We were very excited! 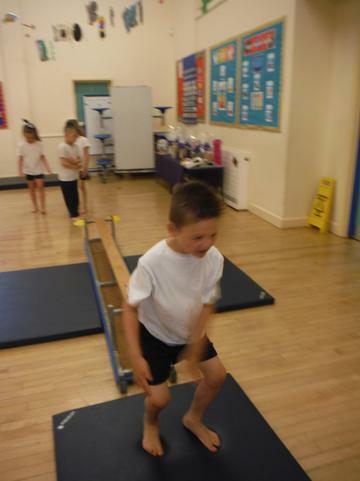 We used our knowledge of rolling and travelling to investigate different ways we can travel safely across apparatus. 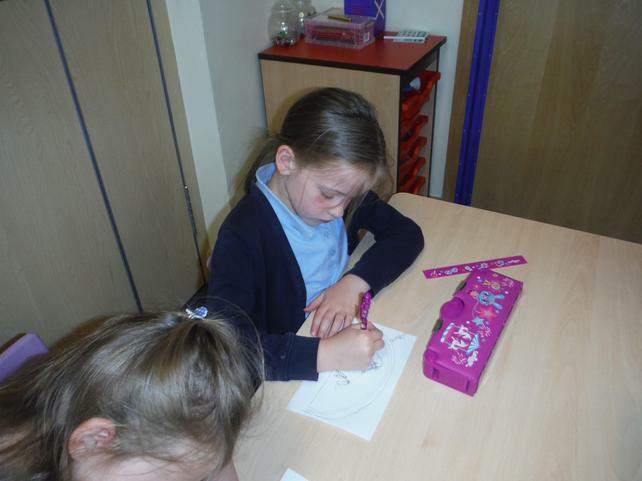 The end of another busy week in Class 2. 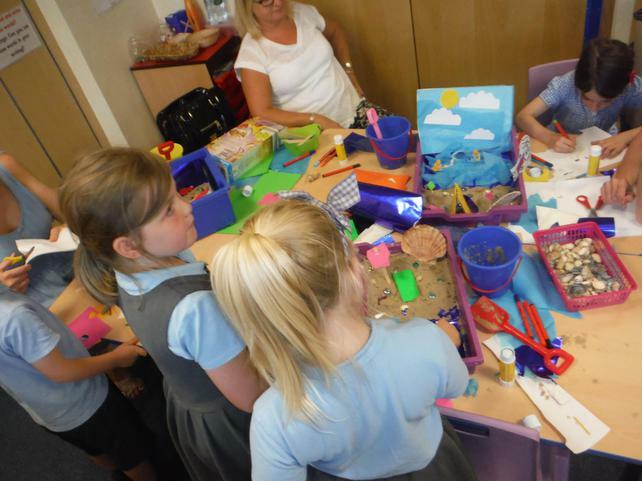 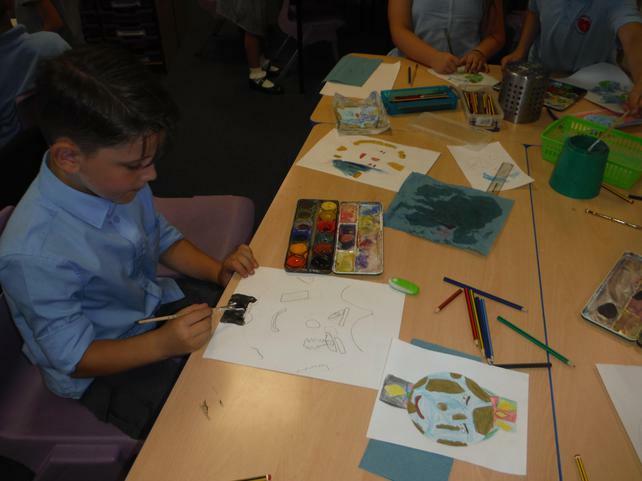 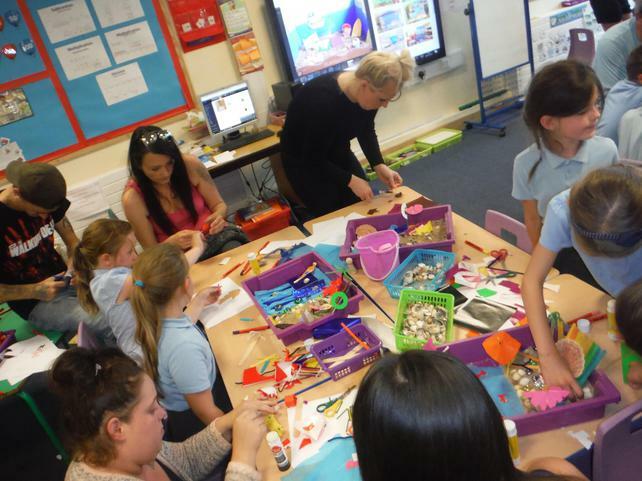 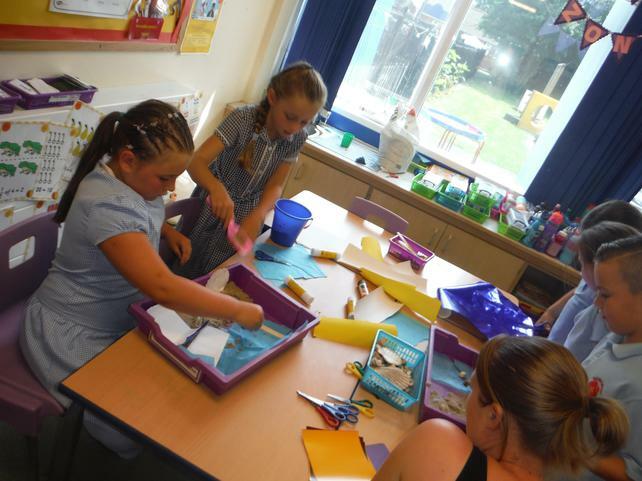 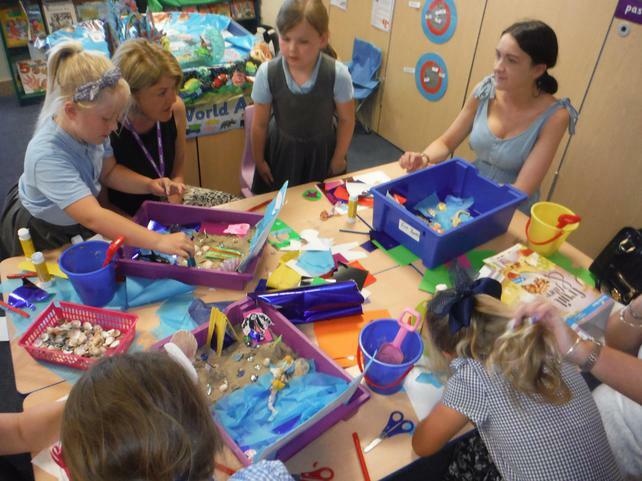 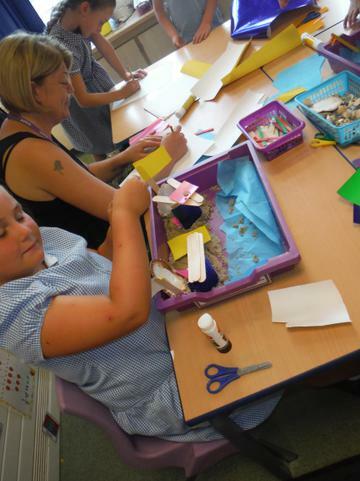 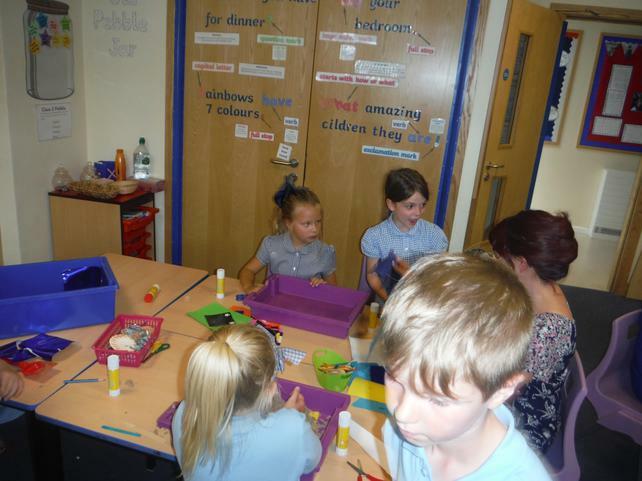 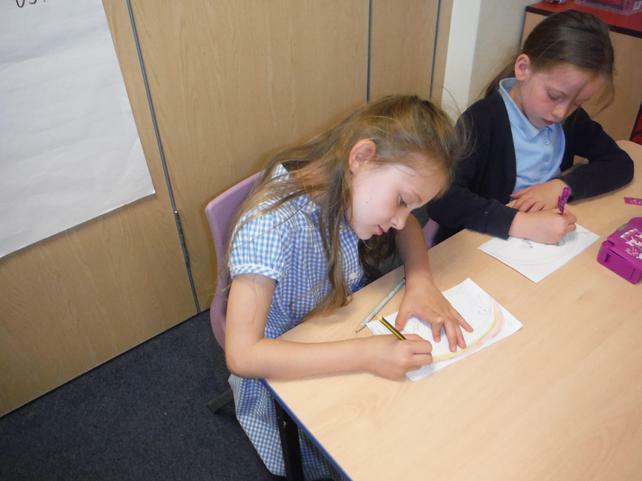 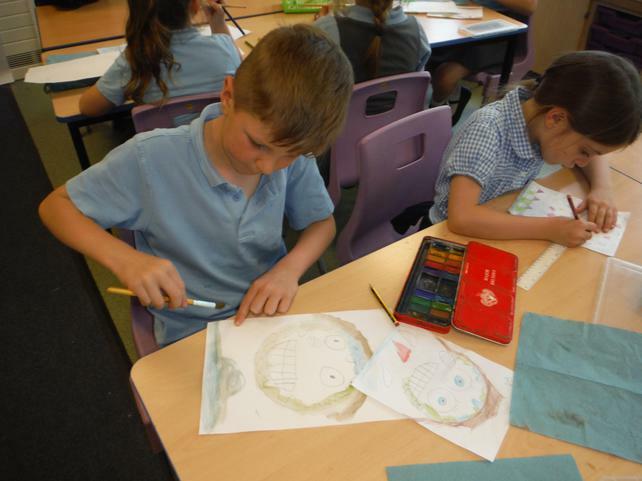 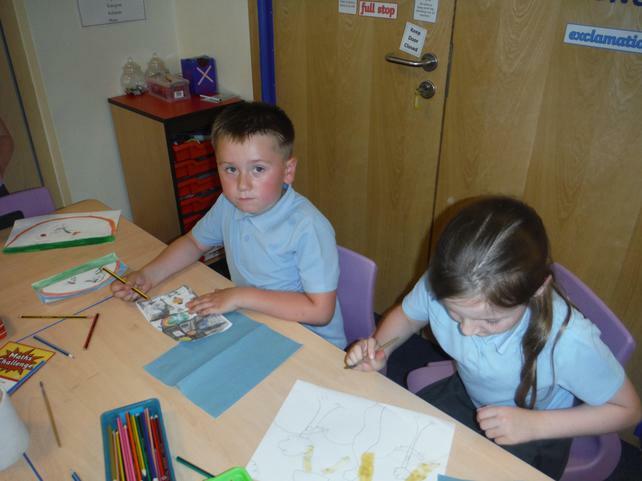 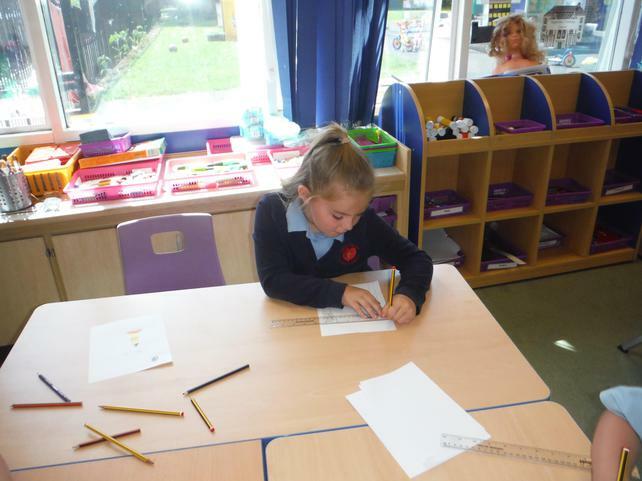 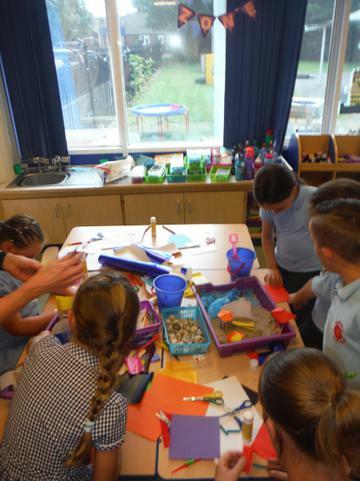 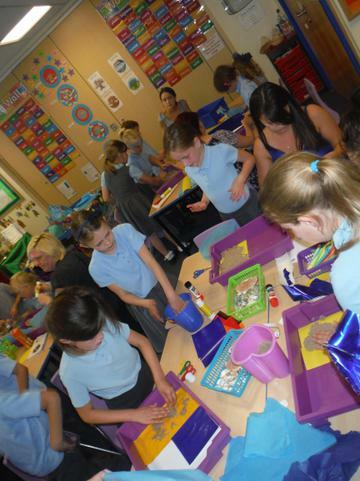 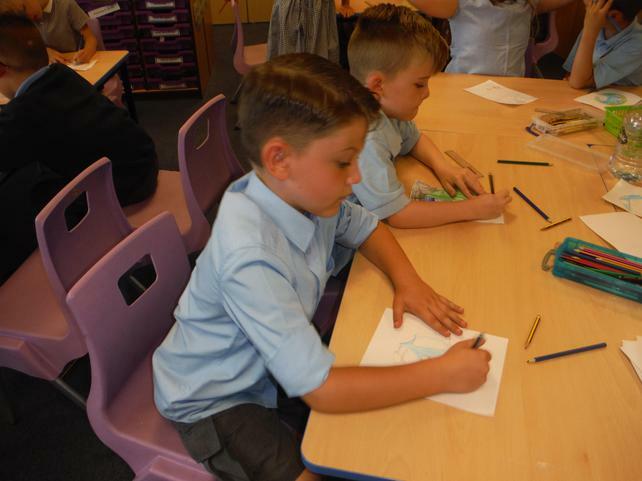 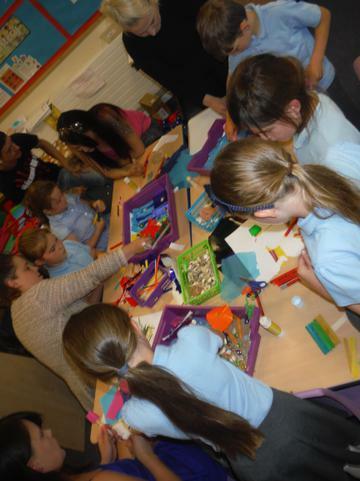 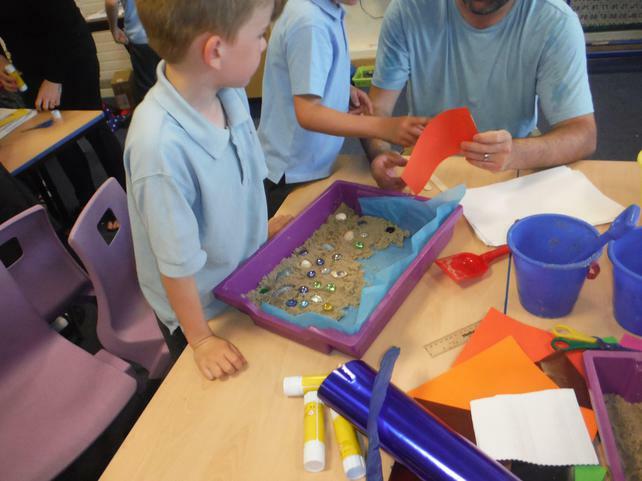 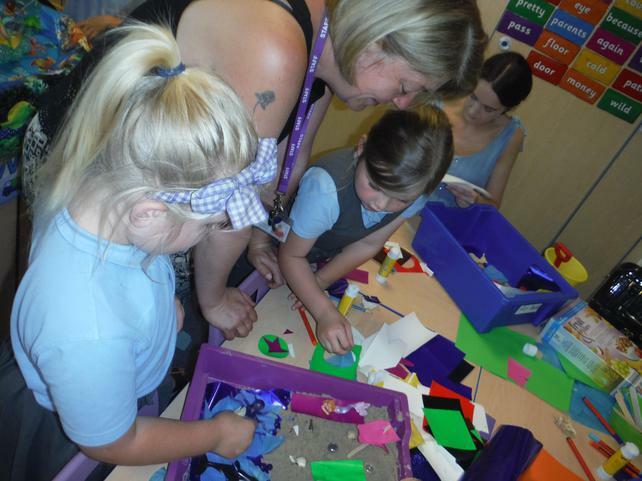 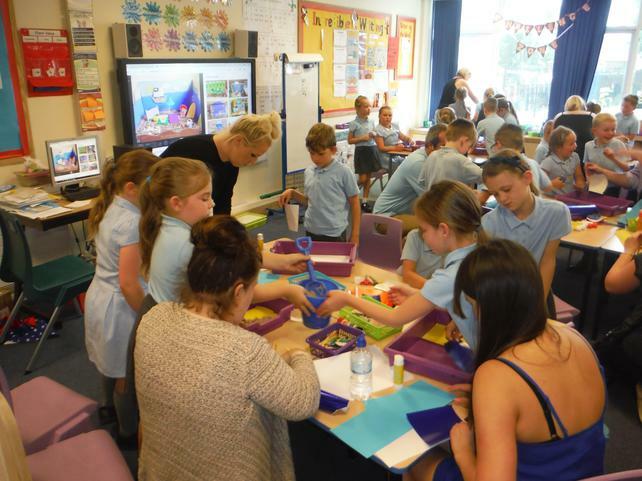 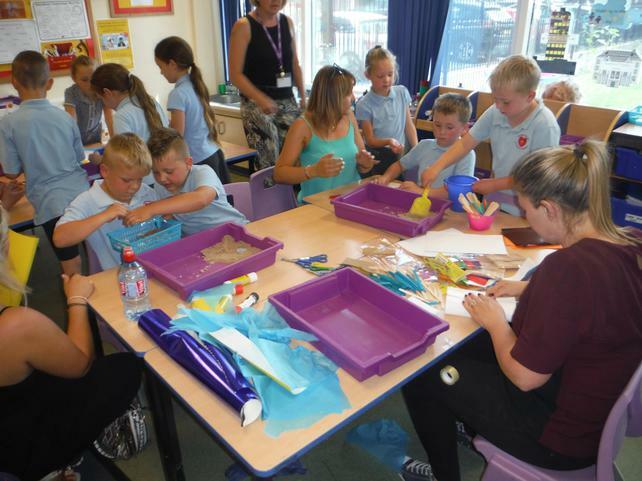 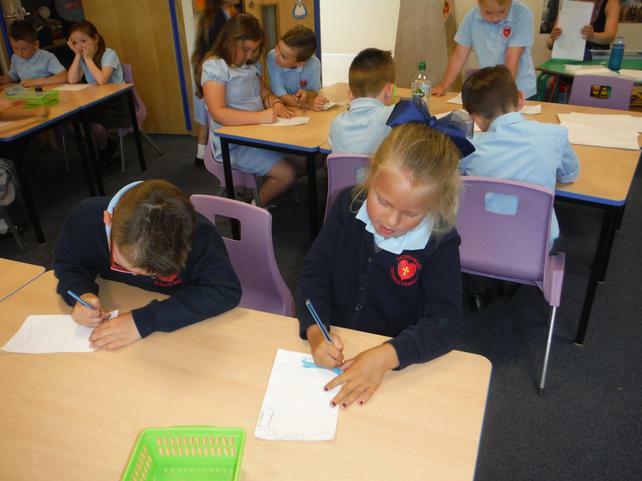 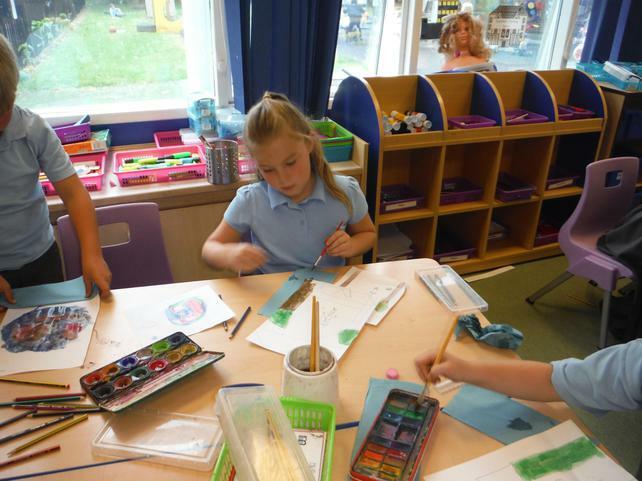 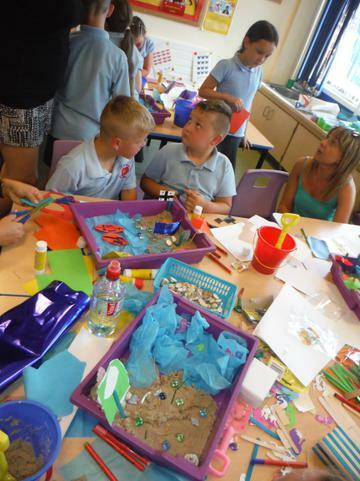 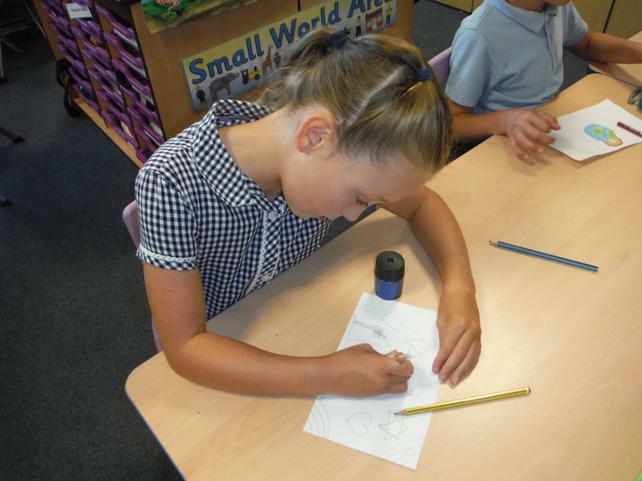 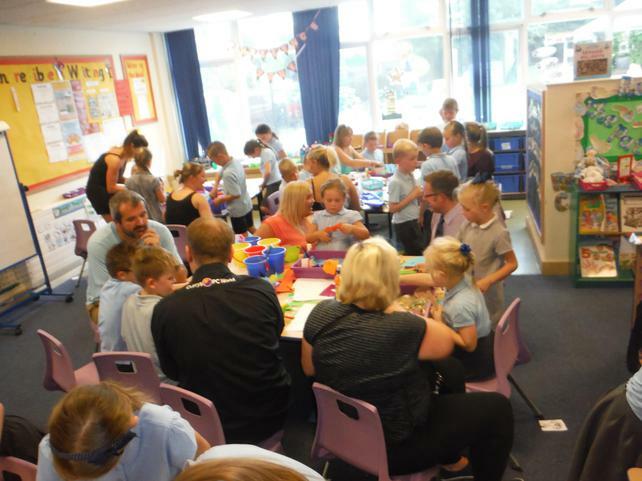 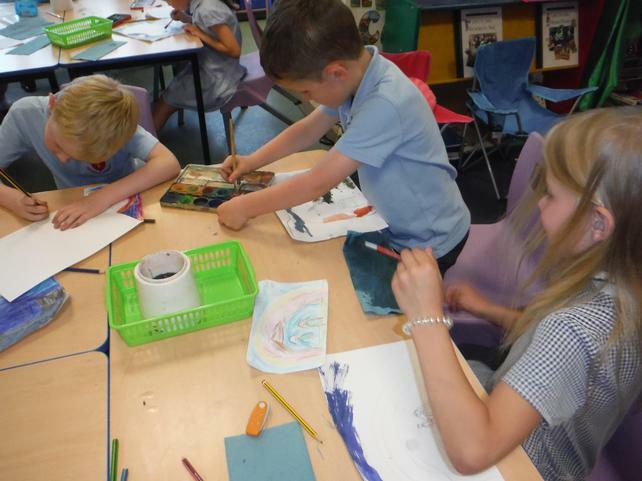 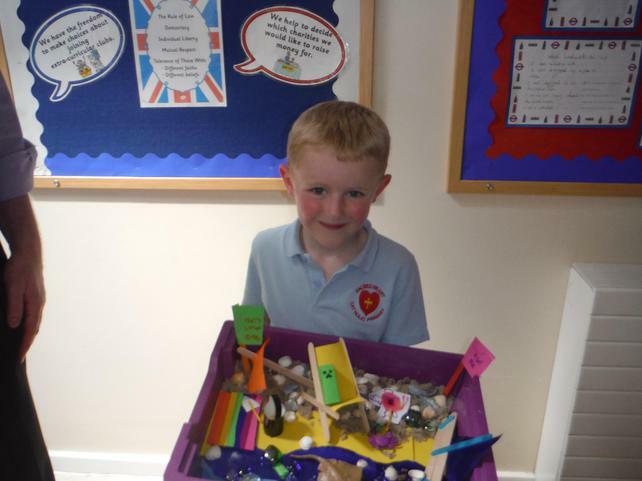 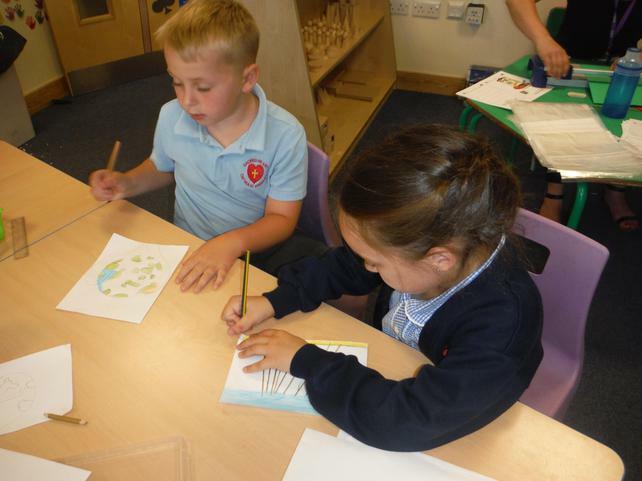 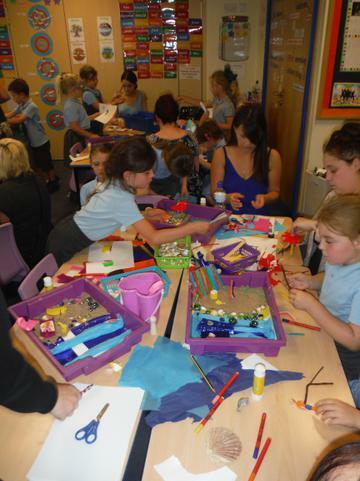 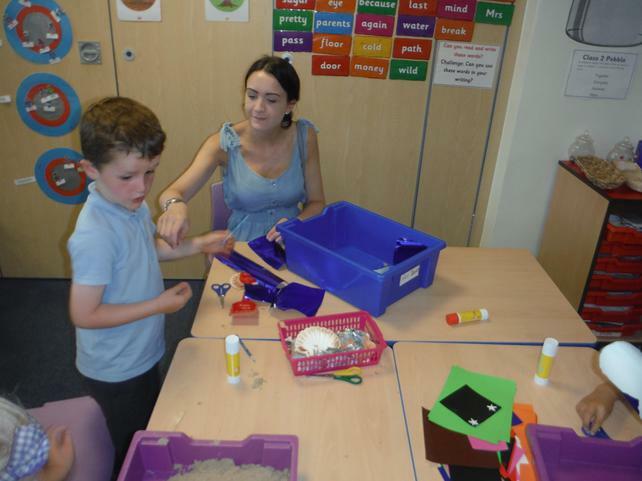 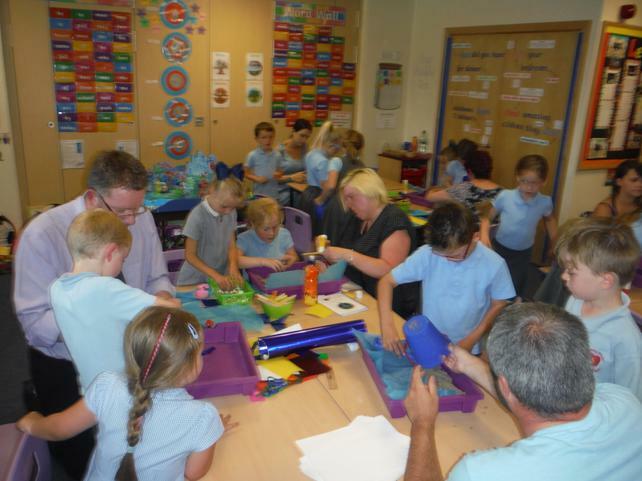 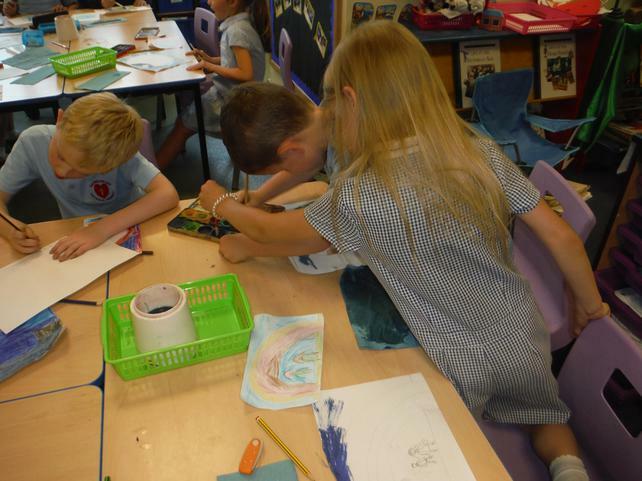 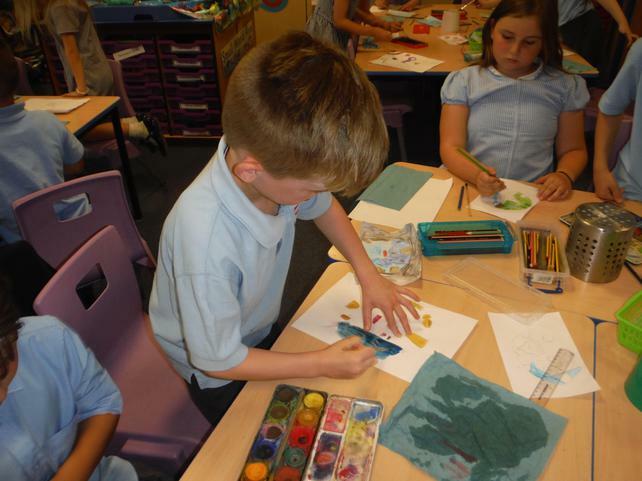 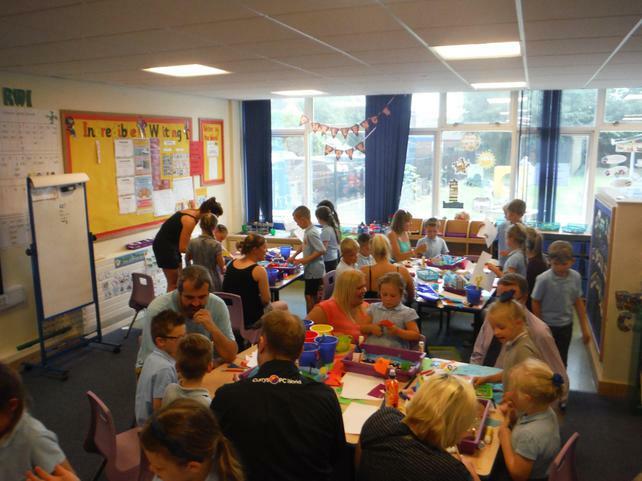 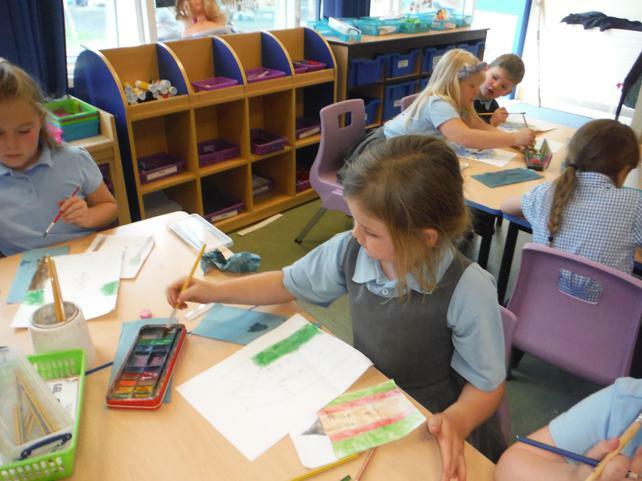 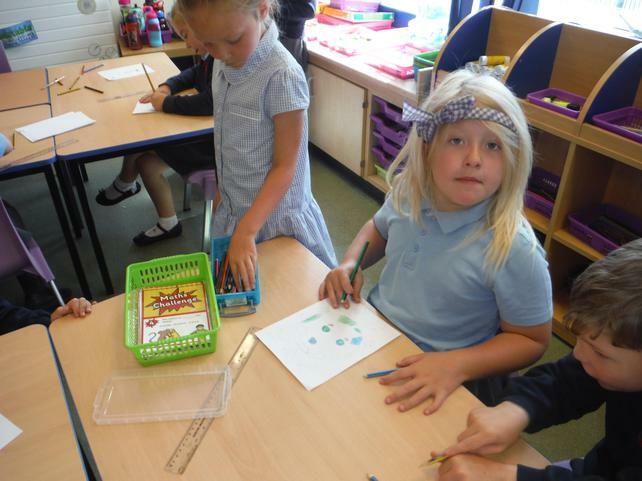 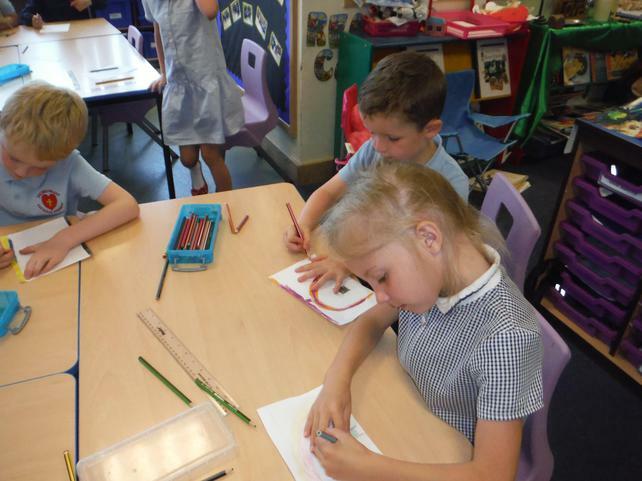 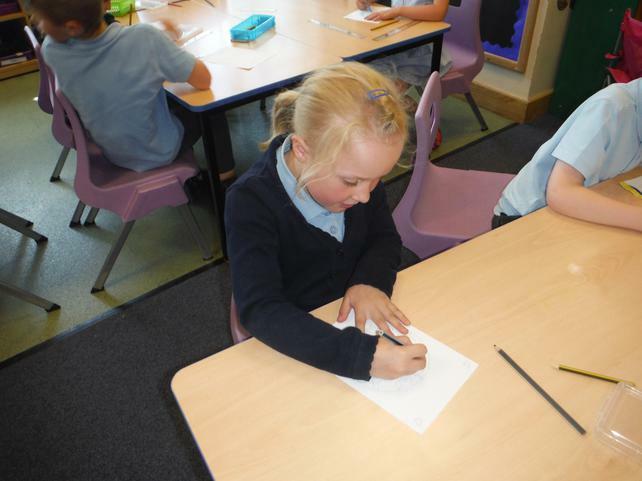 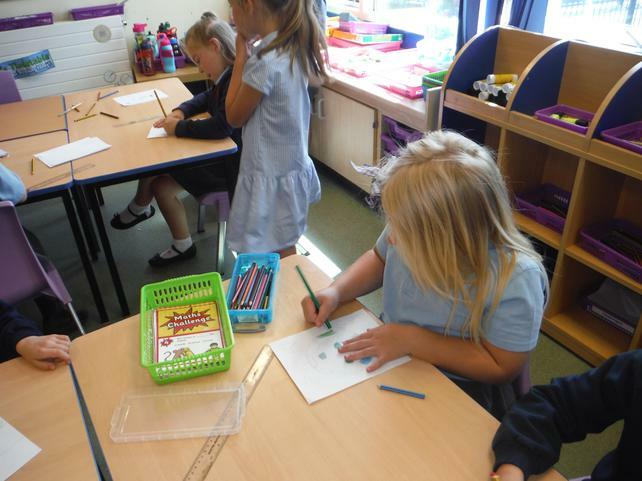 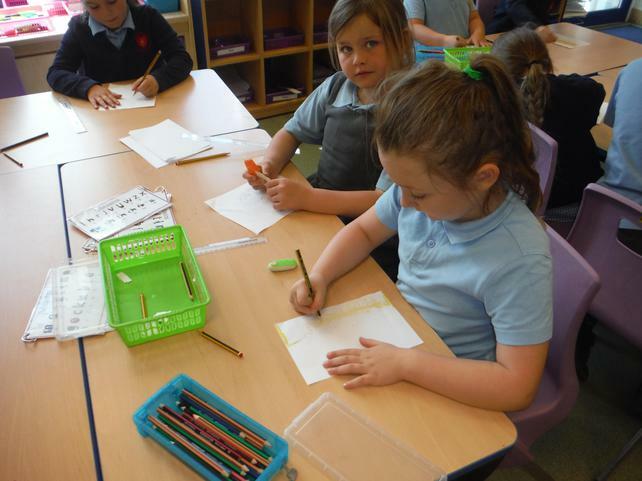 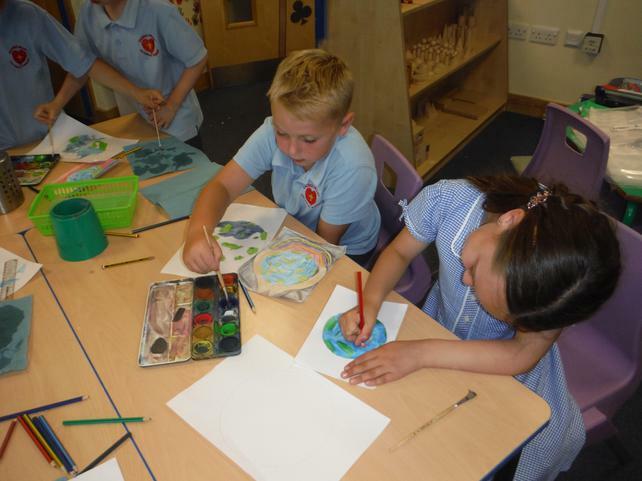 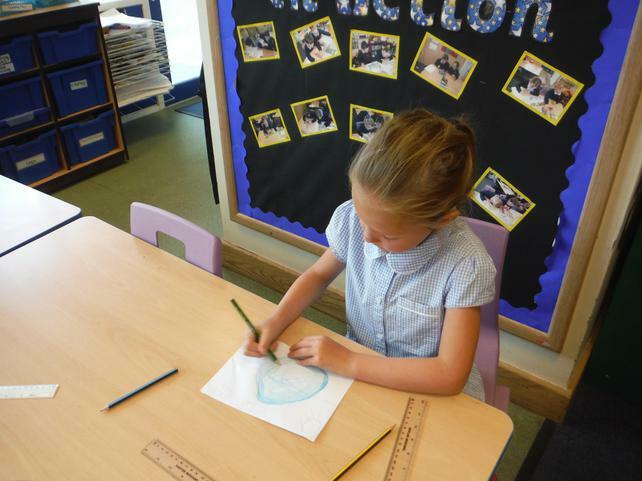 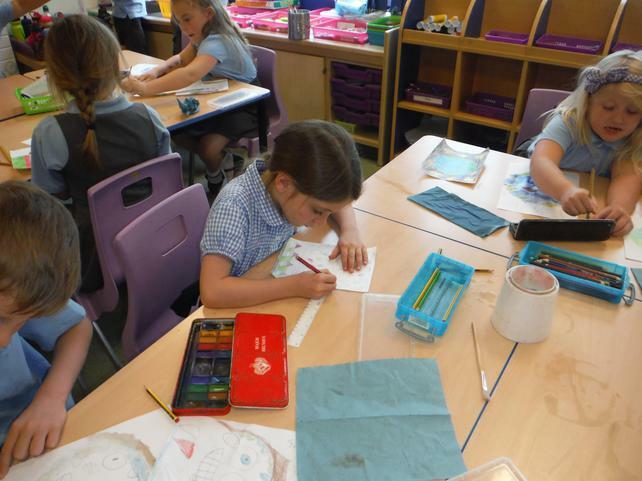 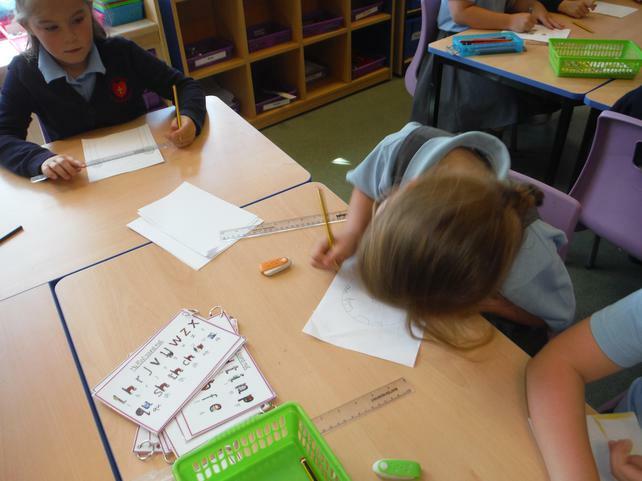 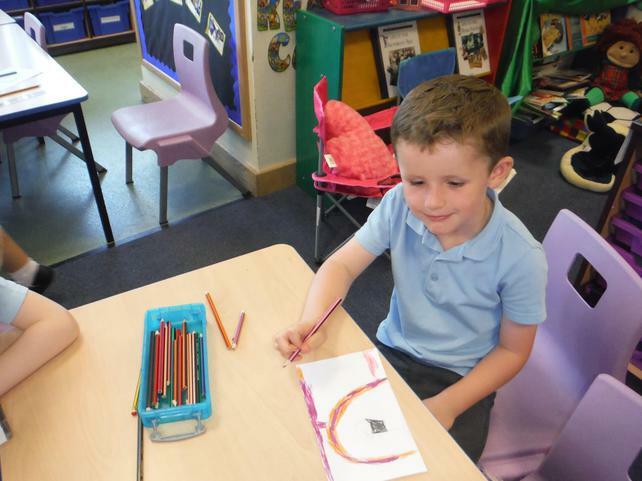 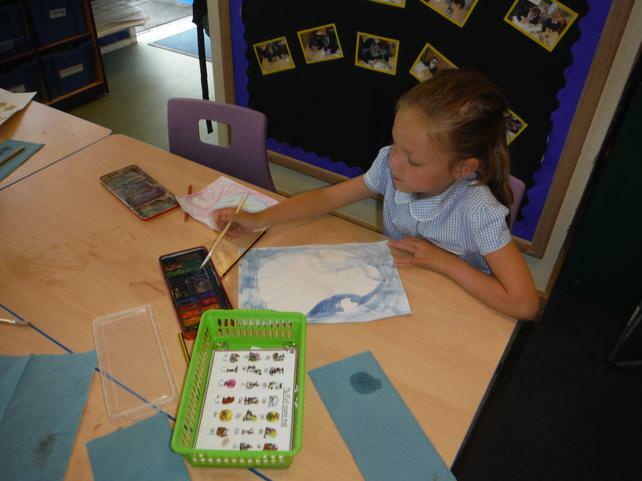 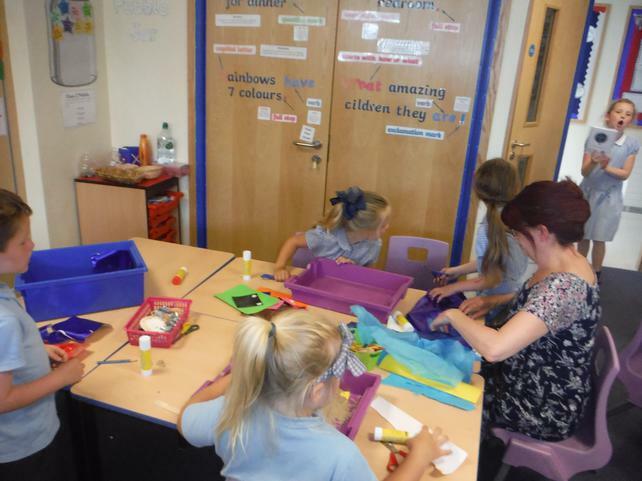 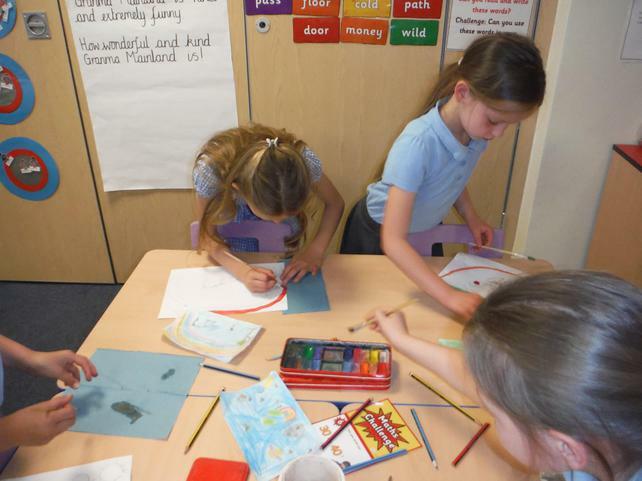 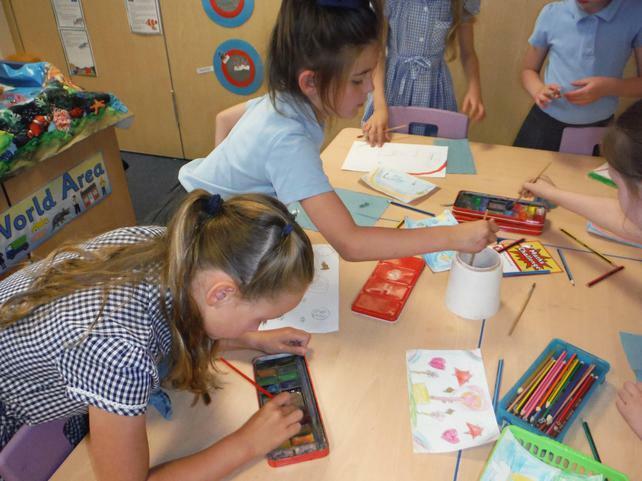 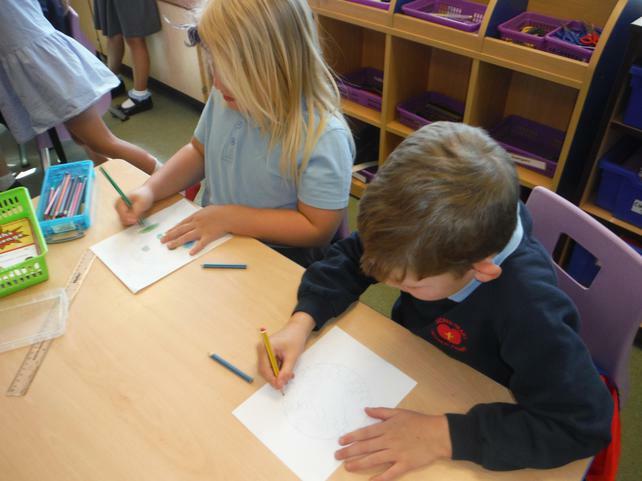 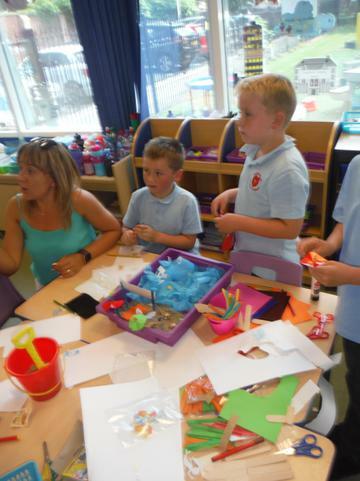 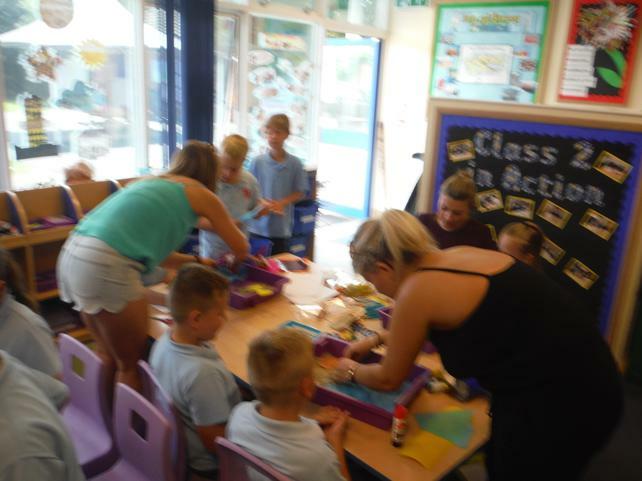 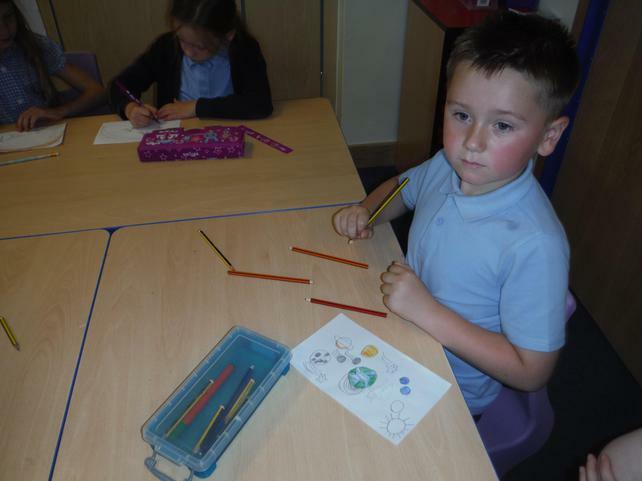 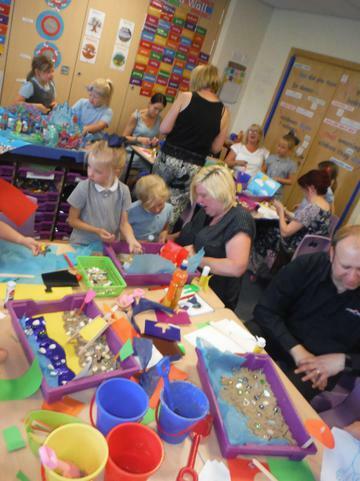 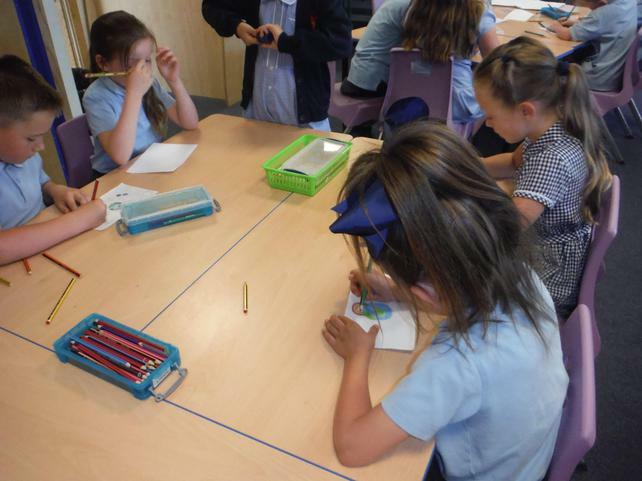 On Thursday we invited our parents into the classroom for an afternoon of creativity. 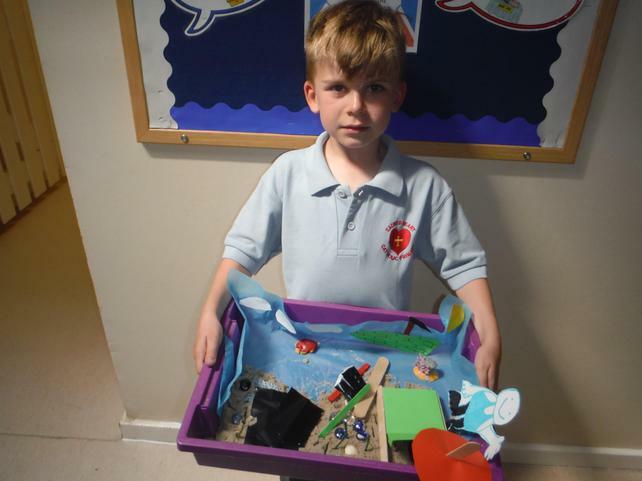 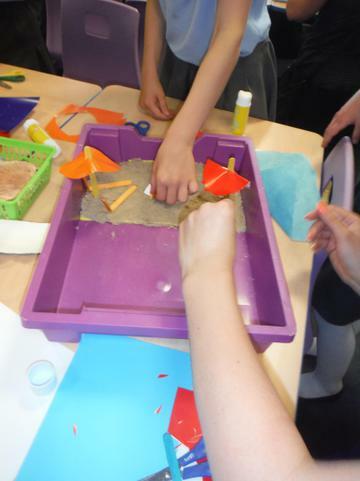 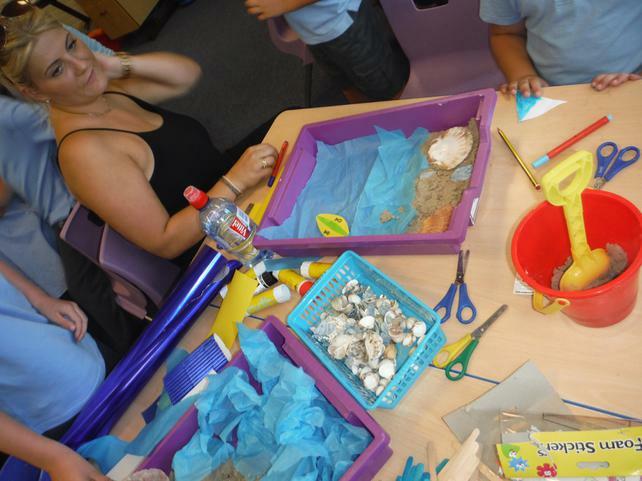 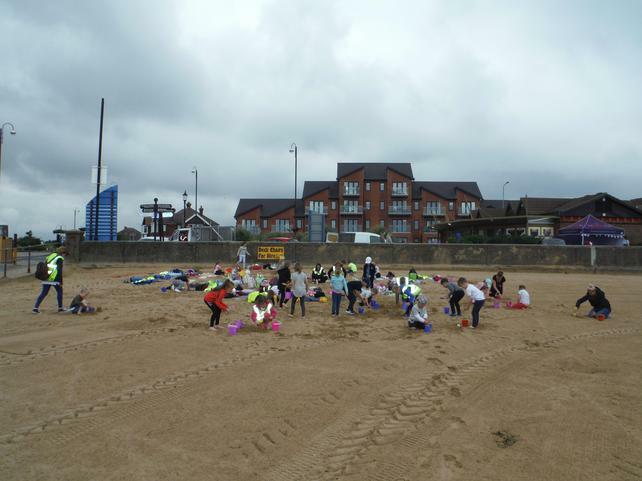 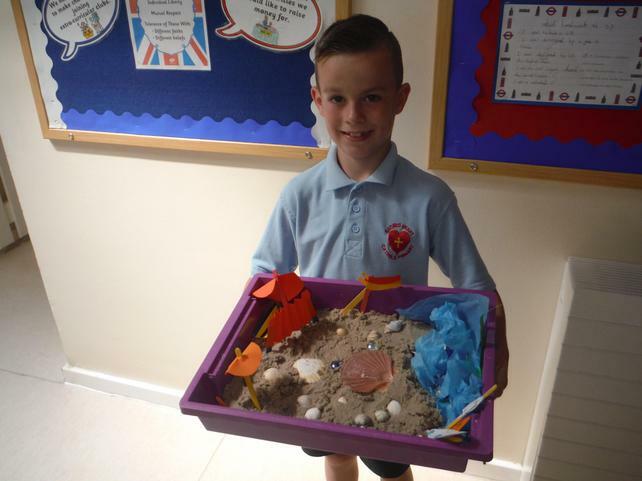 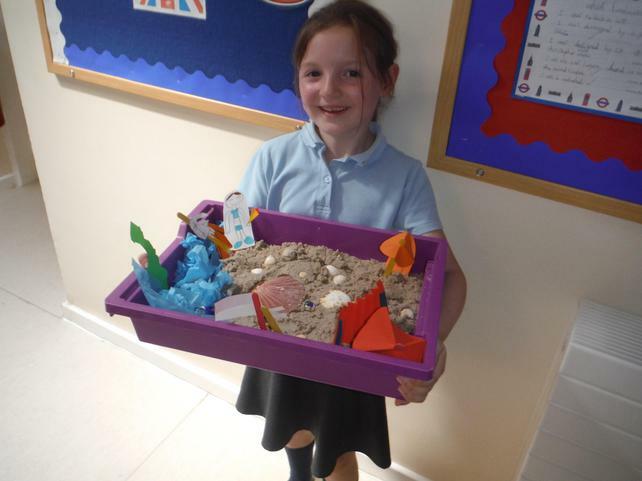 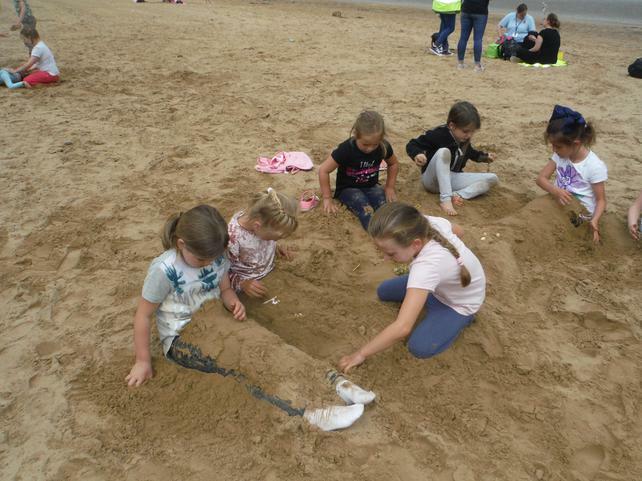 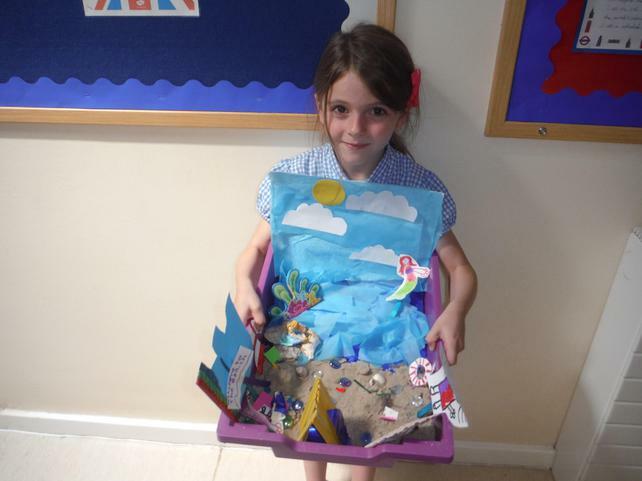 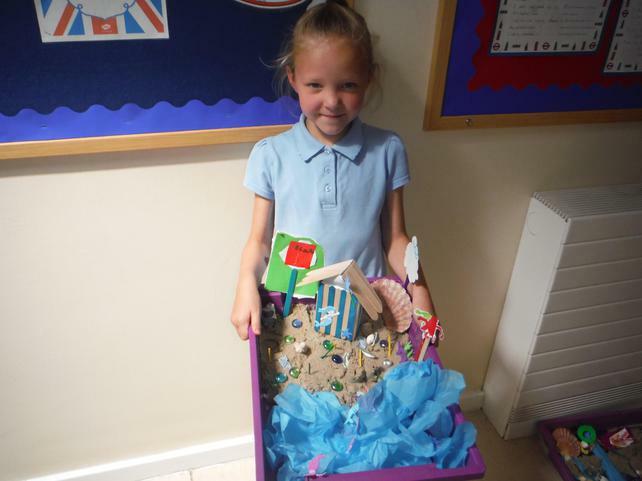 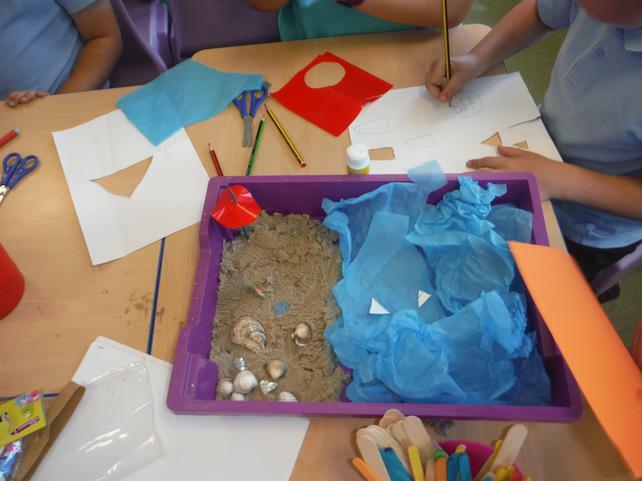 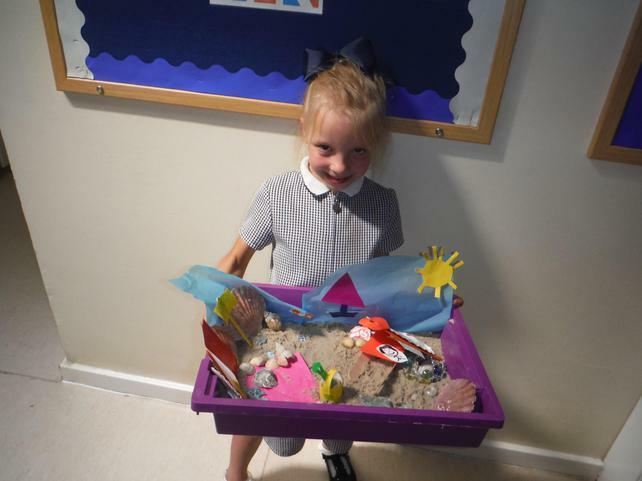 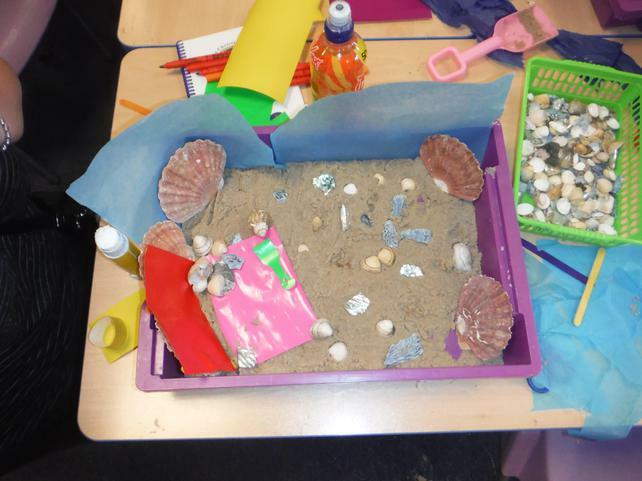 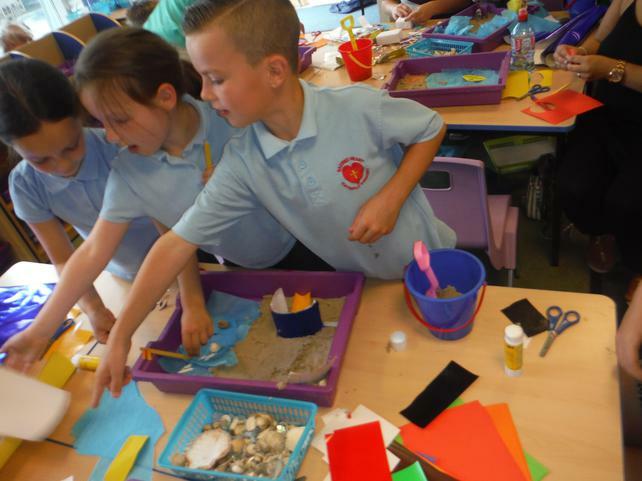 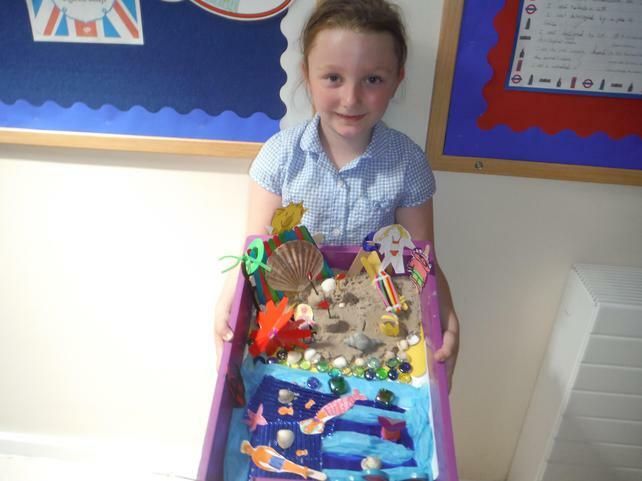 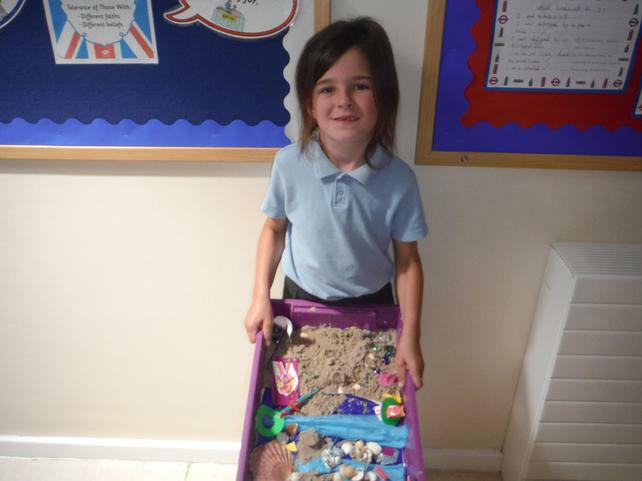 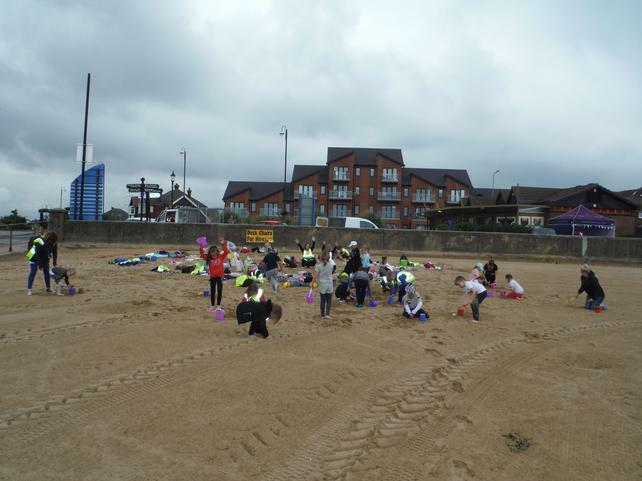 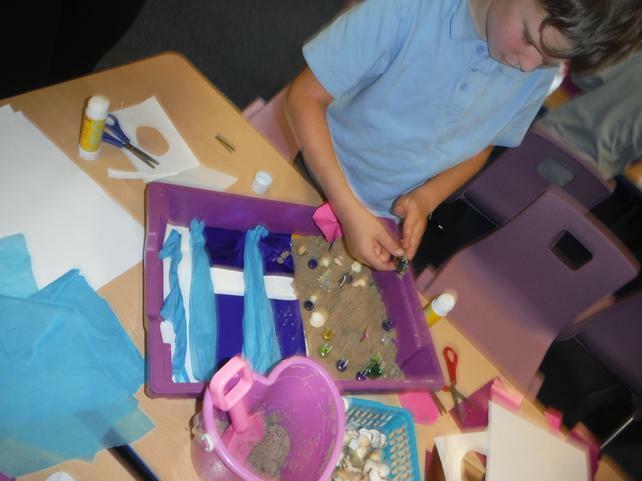 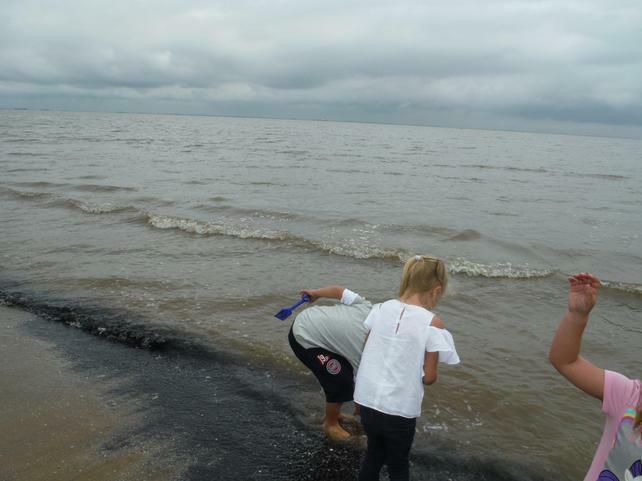 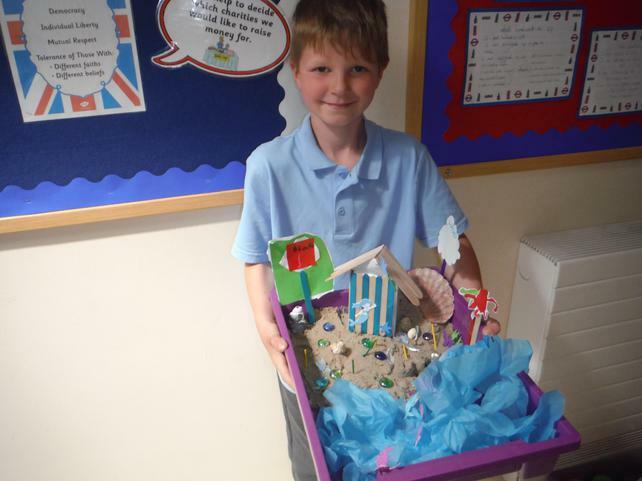 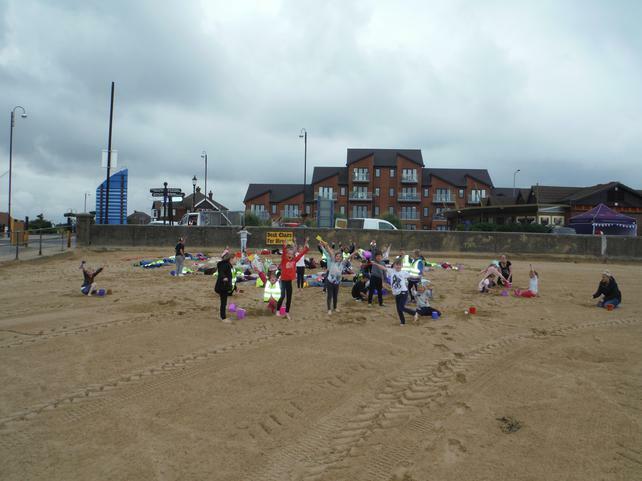 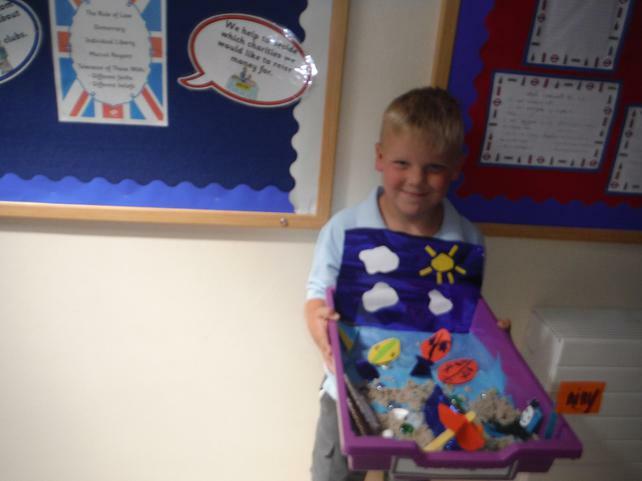 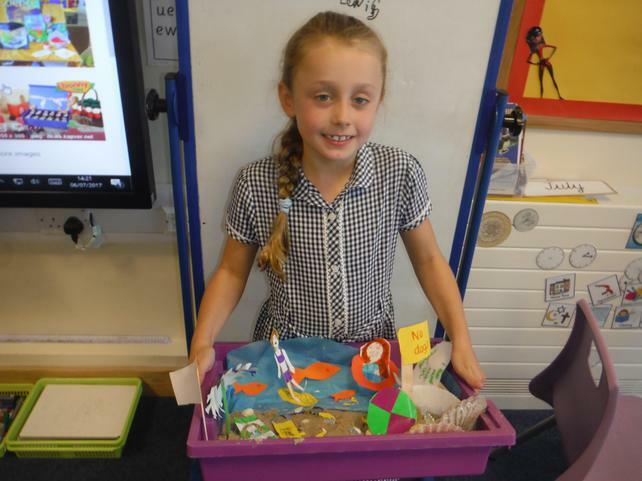 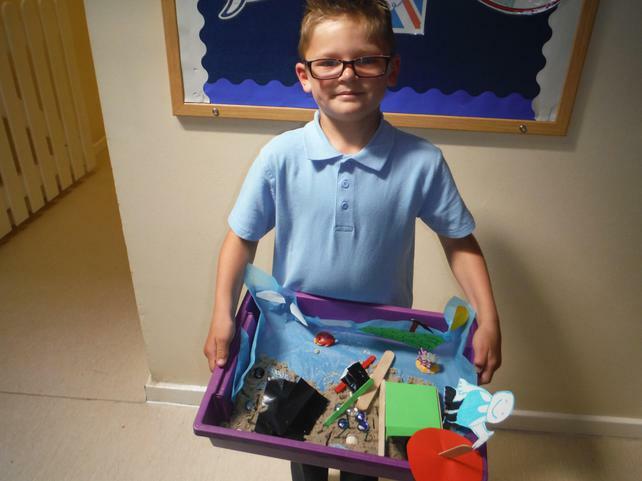 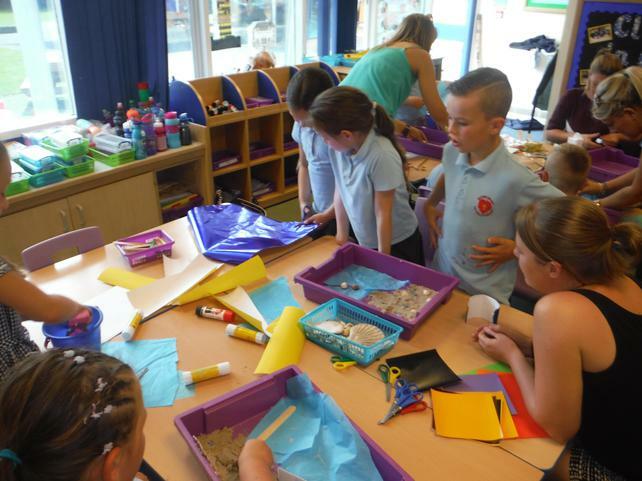 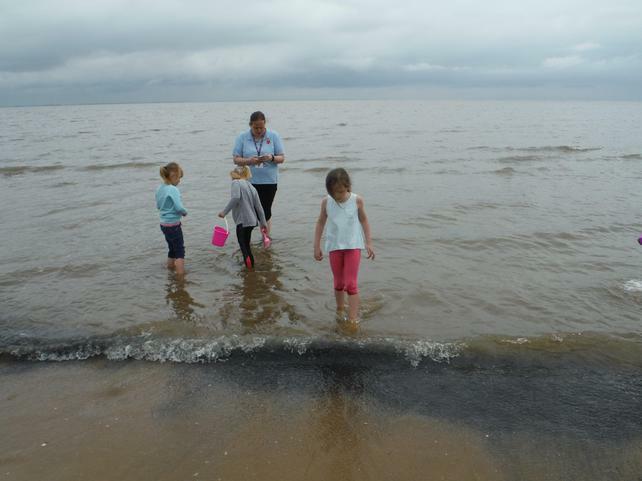 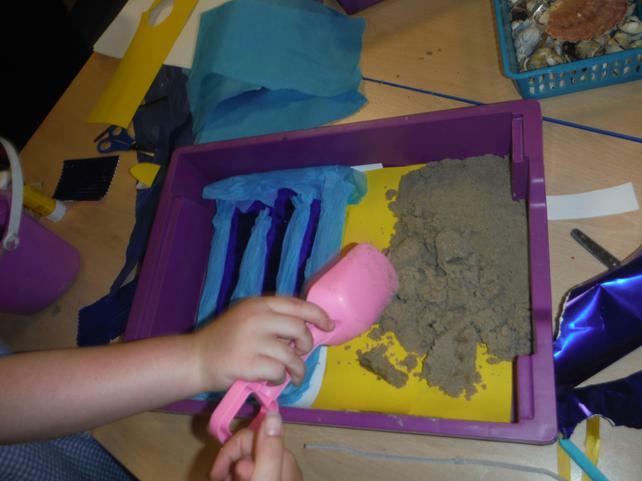 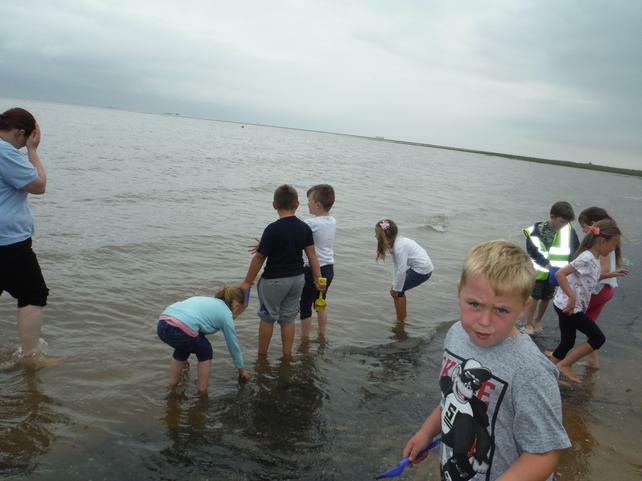 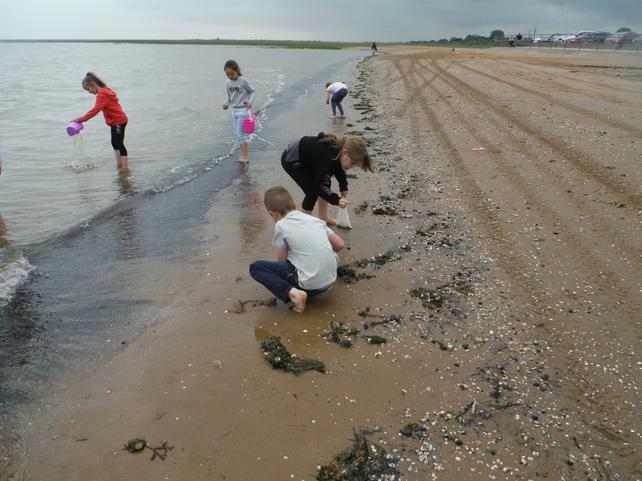 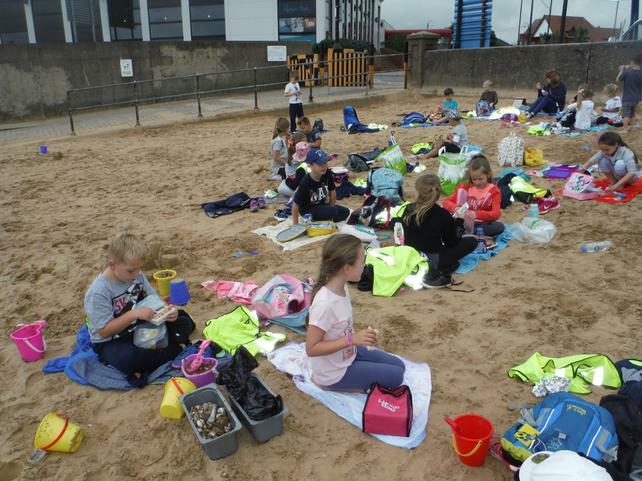 We worked in pairs with our parents to create beachside habitats using the knowledge we had gained from our trip to Cleethorpes. 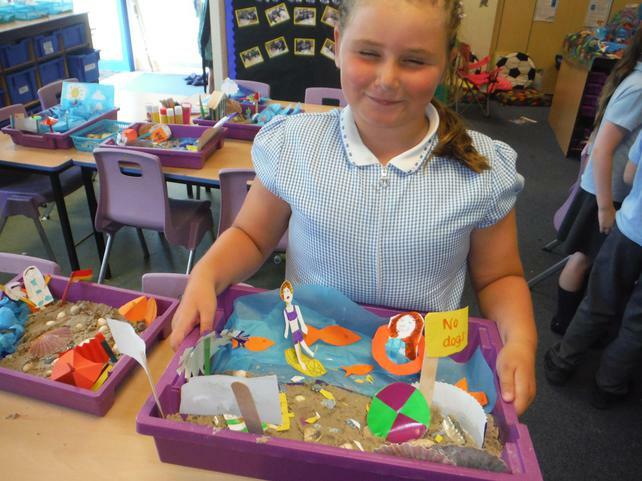 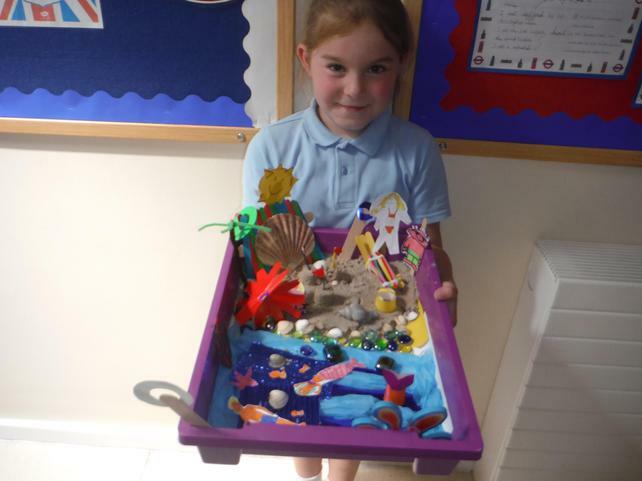 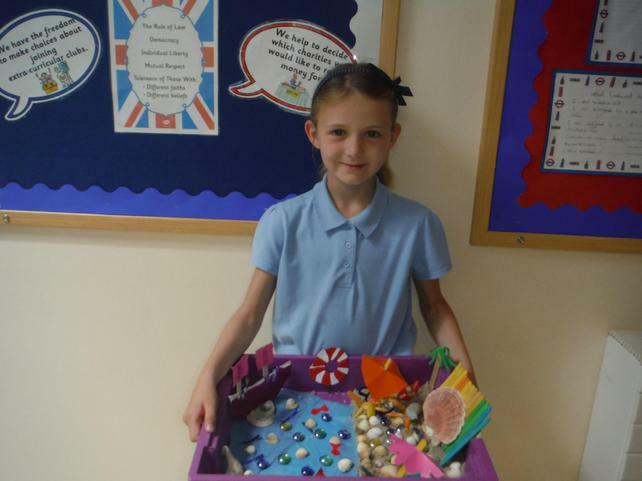 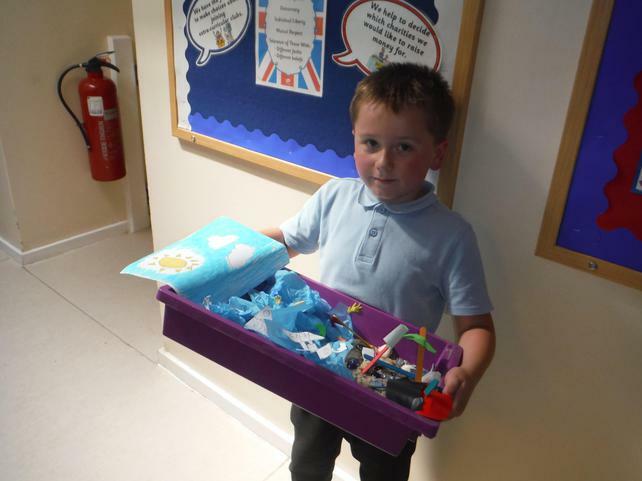 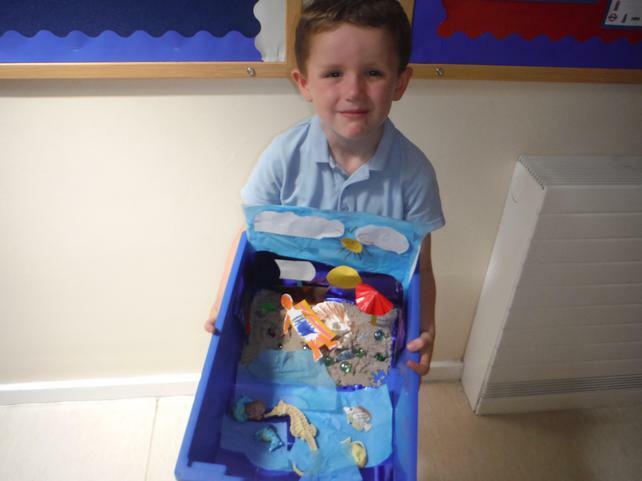 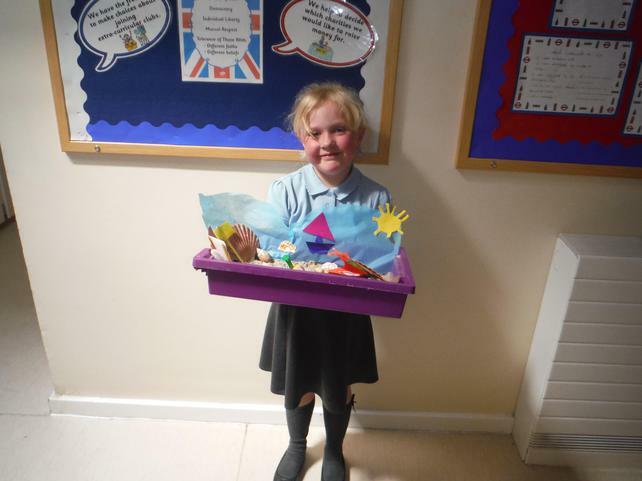 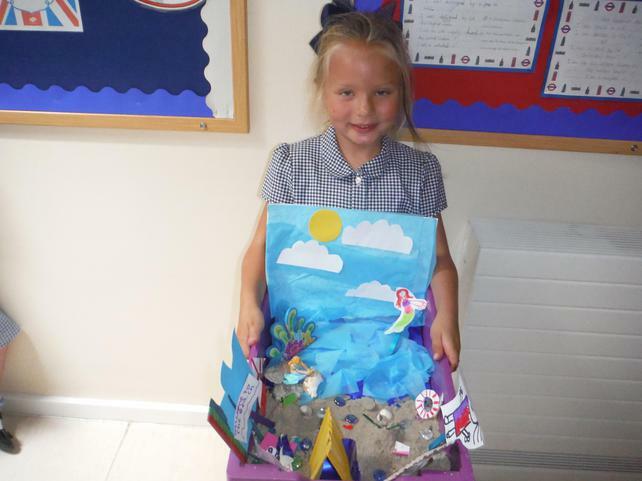 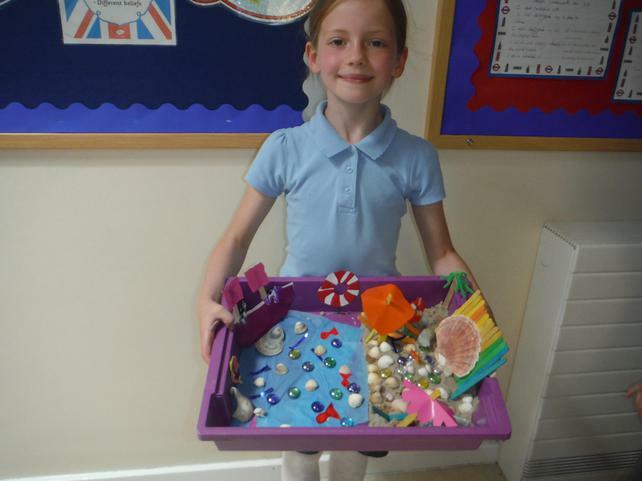 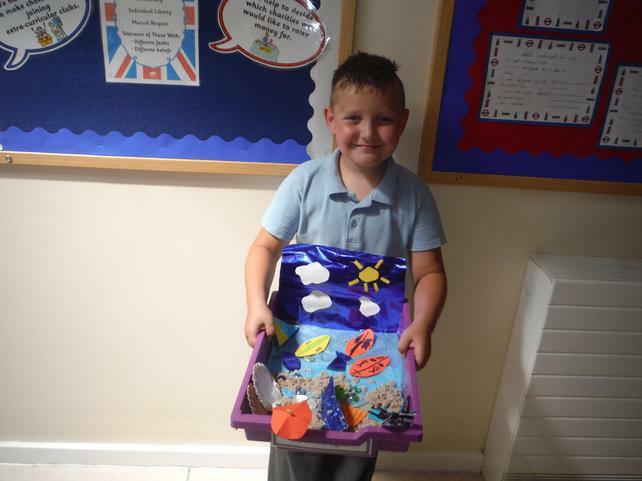 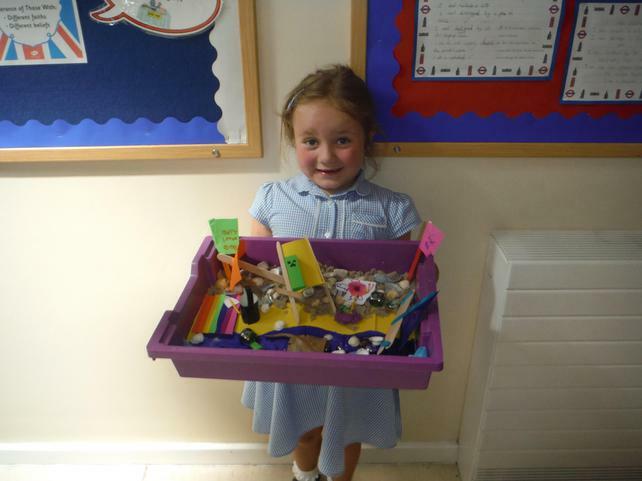 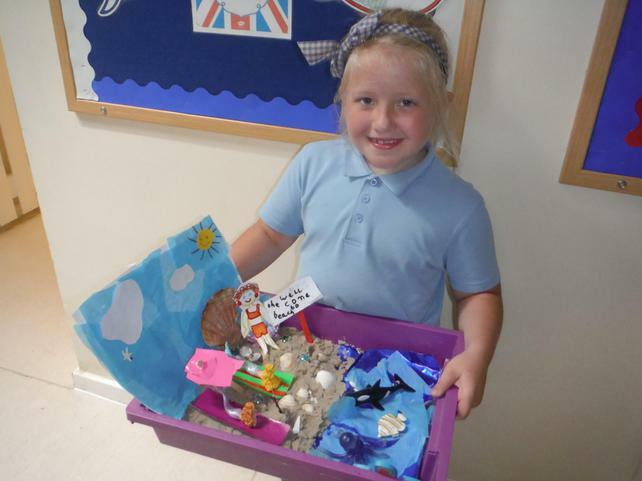 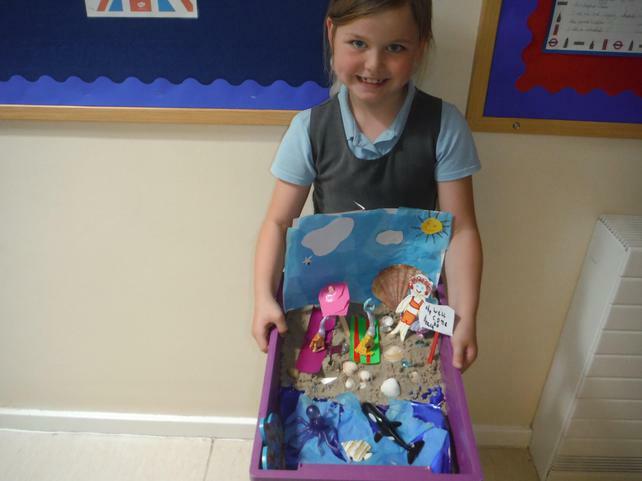 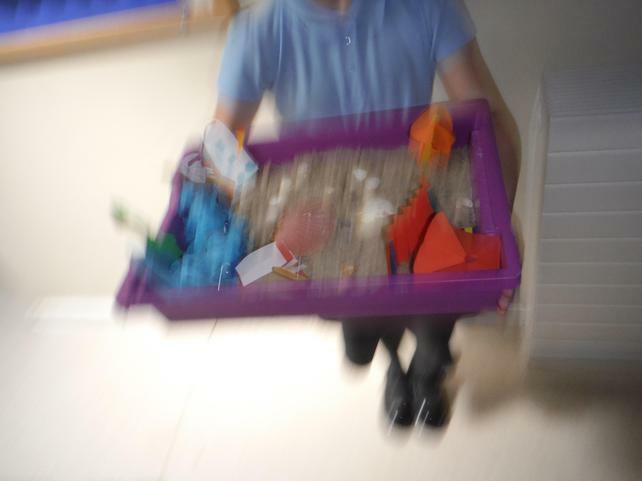 Take a look at our wonderful habitats. 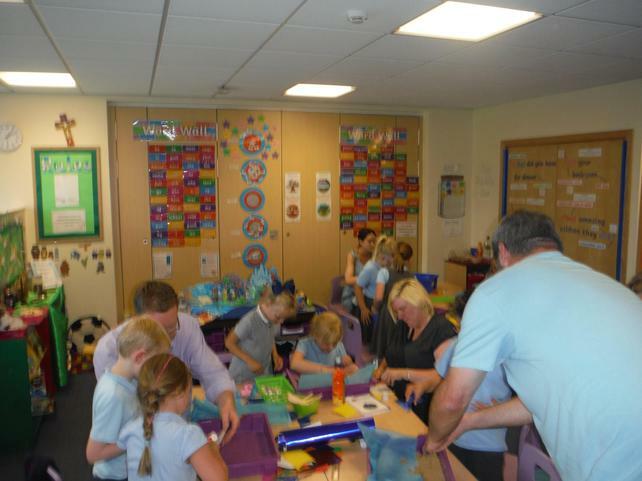 Thank you to all parents who gave up their afternoon to spend time with us in the classroom. 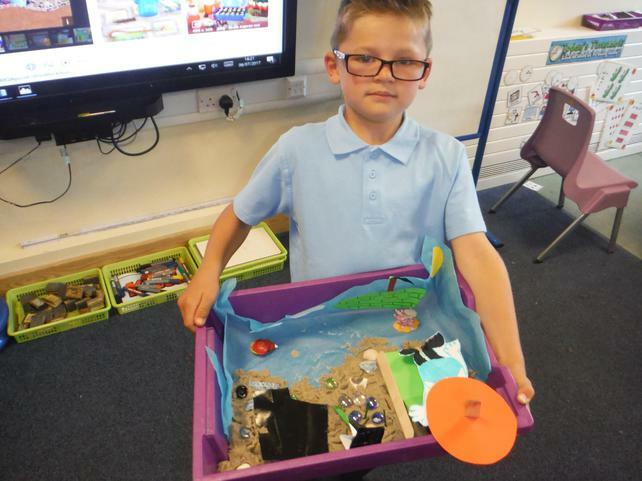 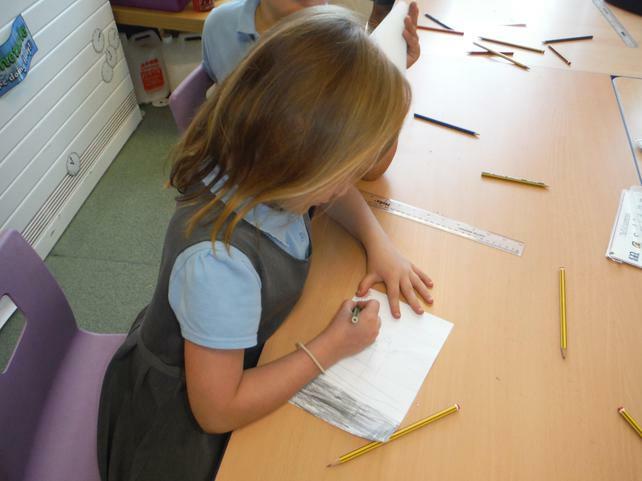 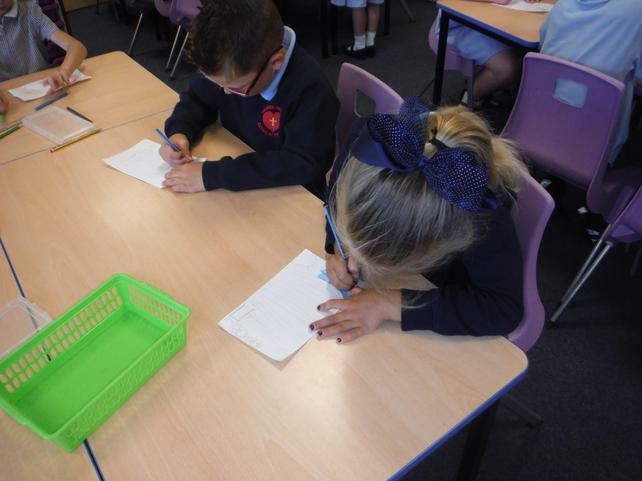 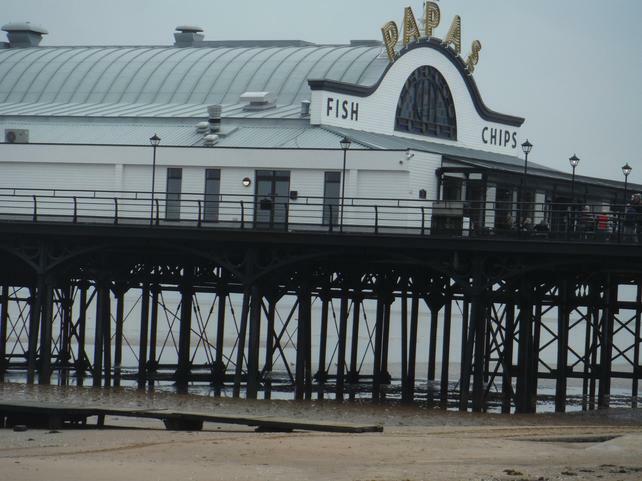 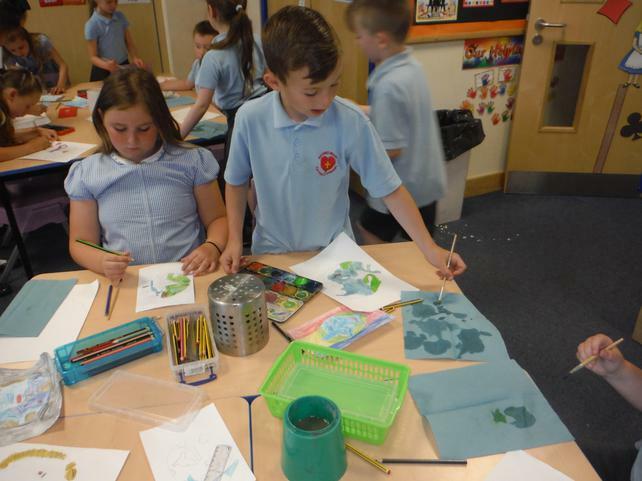 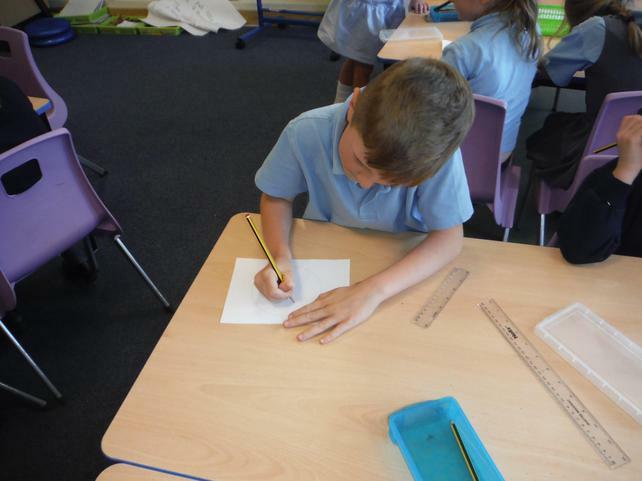 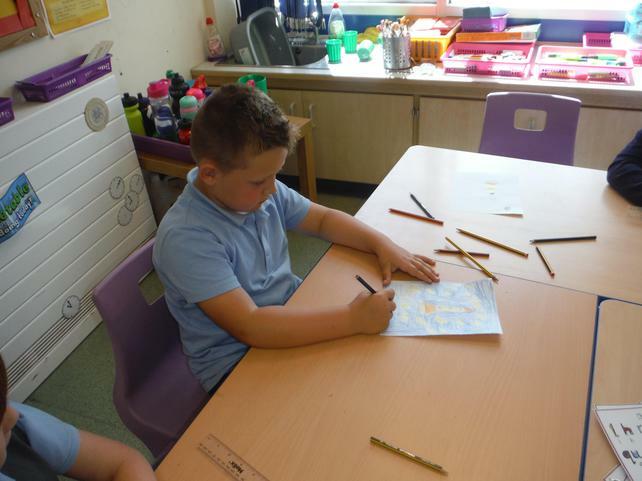 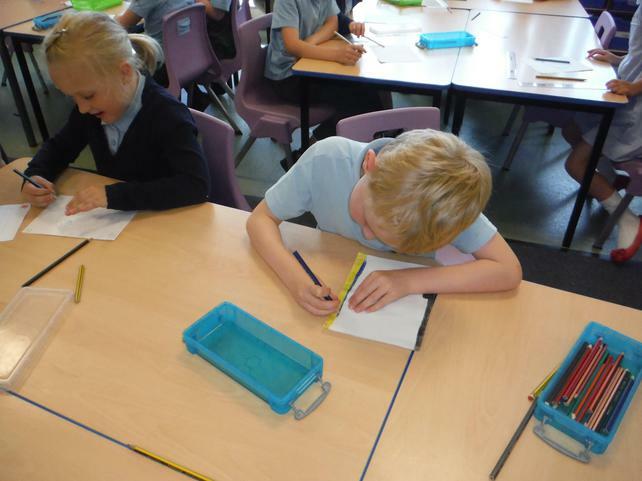 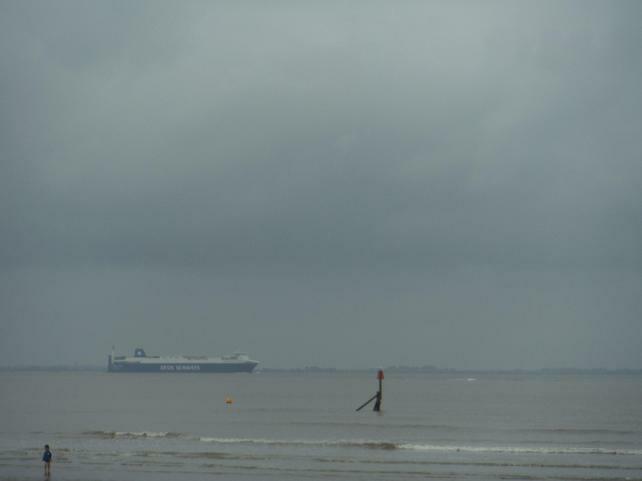 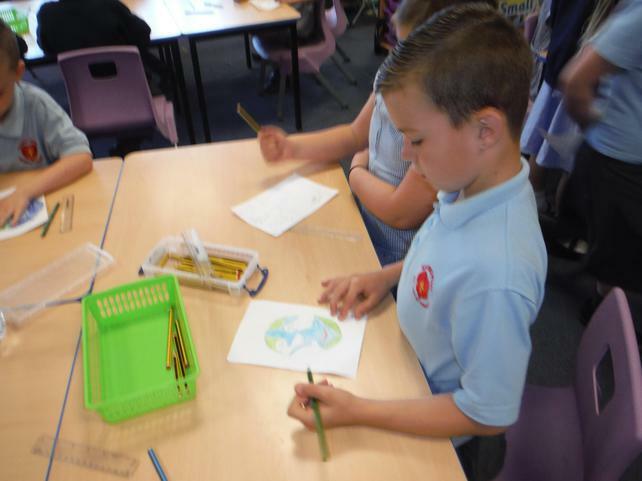 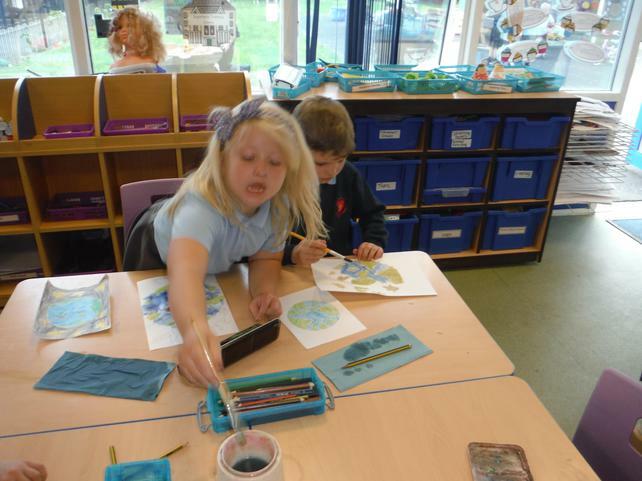 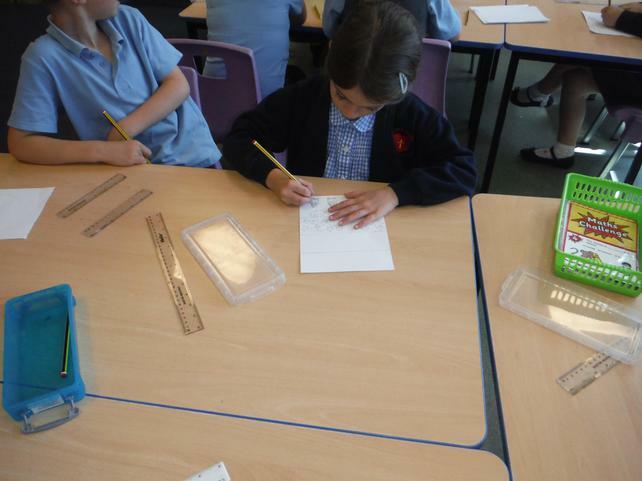 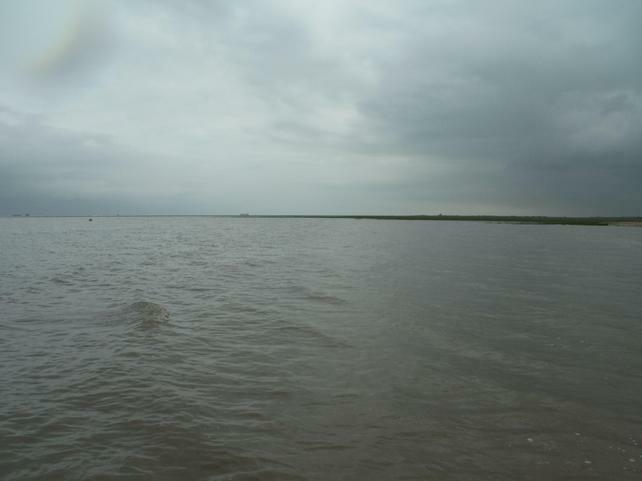 This week we have been preparing for our visit to Cleethorpes, we have looked at different features of landscapes to help us to understand the differences between where we live and what it is like to live by the sea. 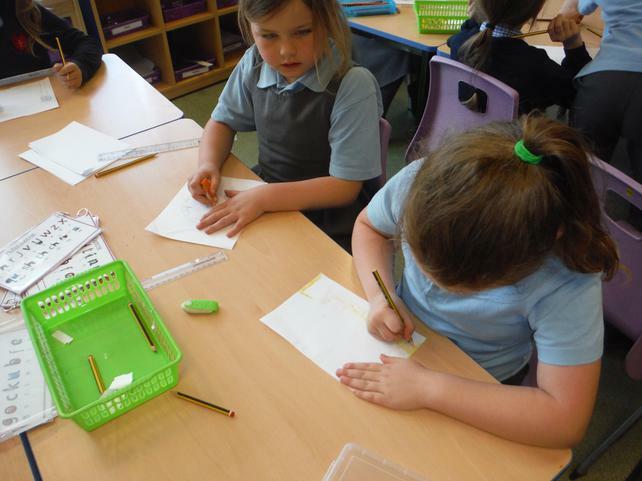 We have continued our work on Katie Morag and looked at different Tartan patterns, we have worked hard to weave paper and card to create our own Tartan pattern. 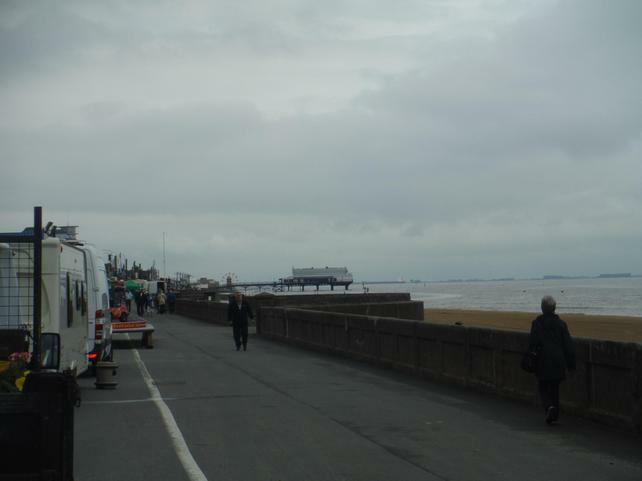 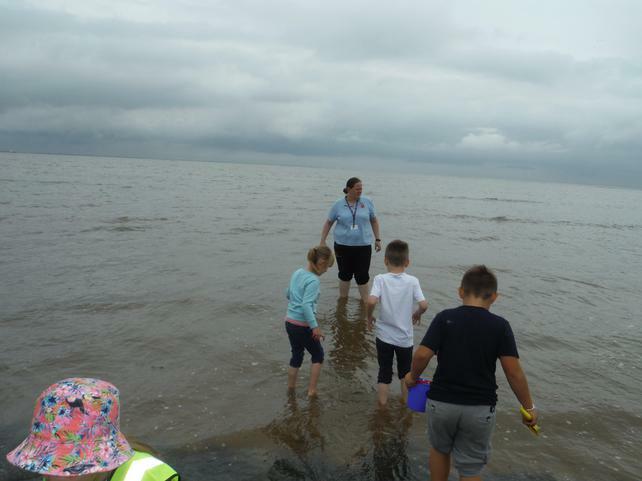 On Friday we enjoyed a day at the seaside. 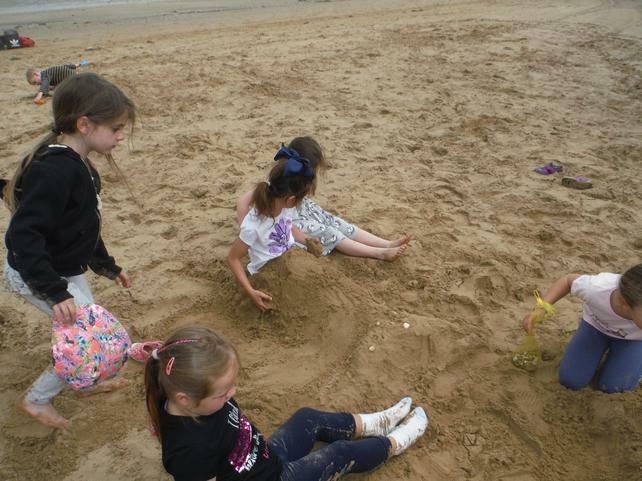 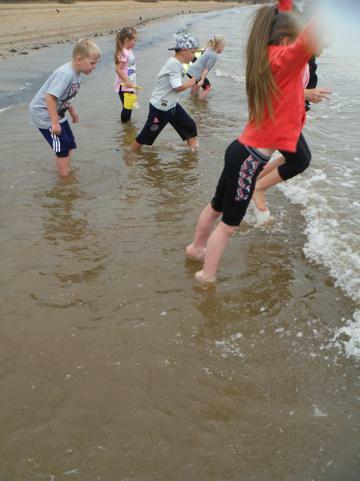 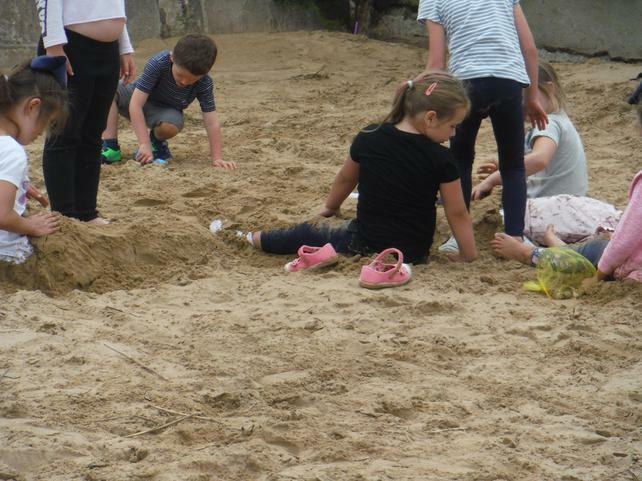 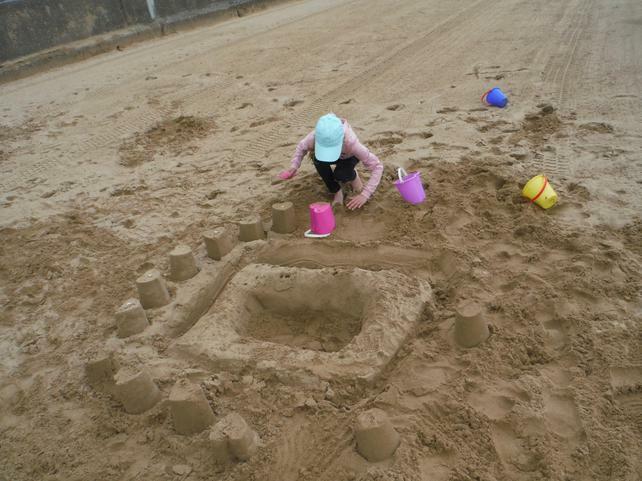 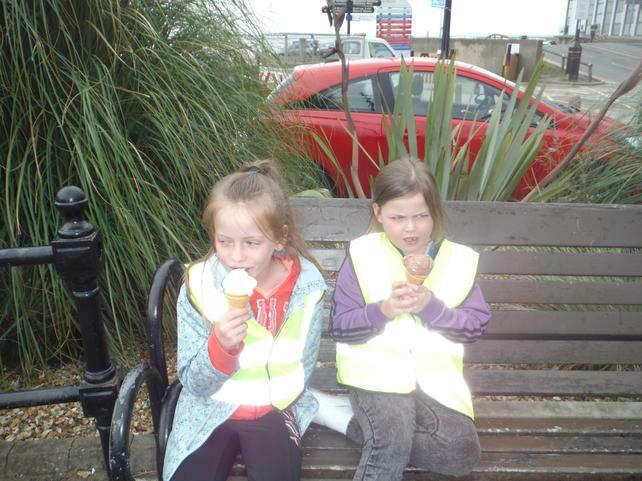 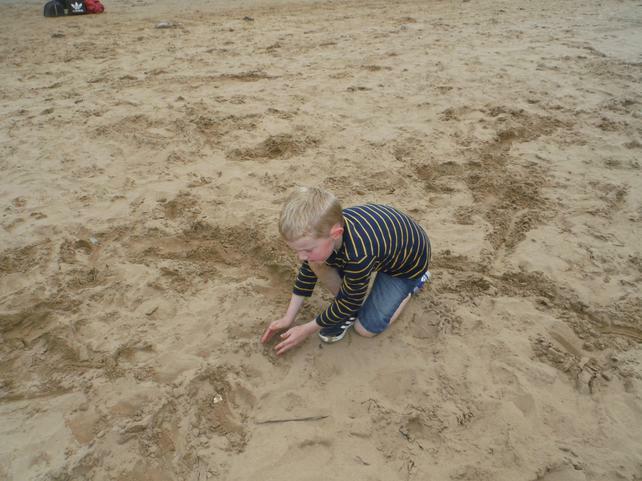 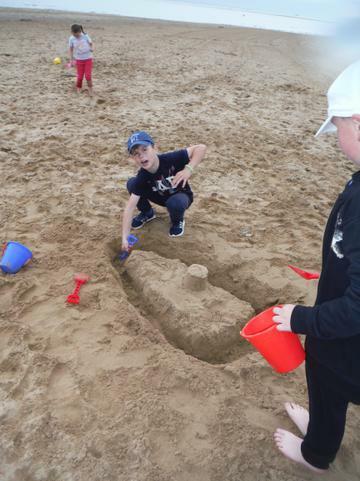 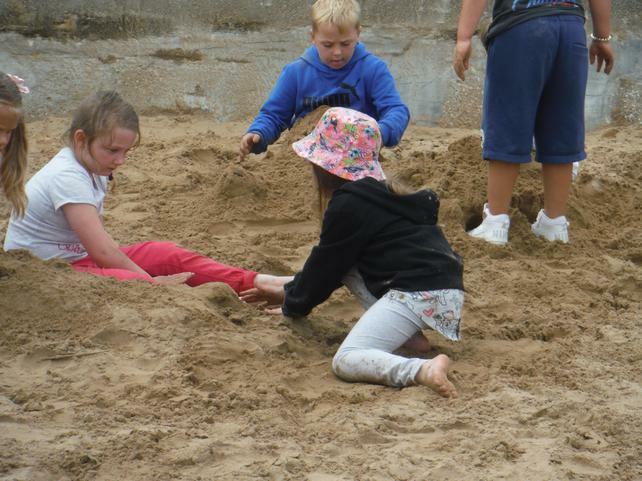 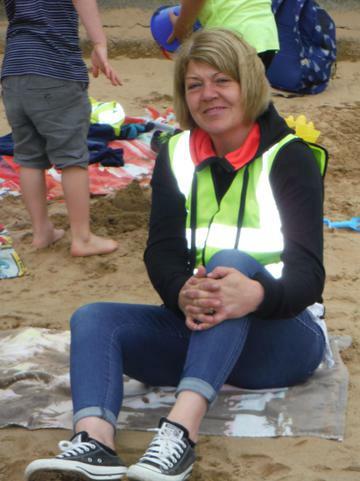 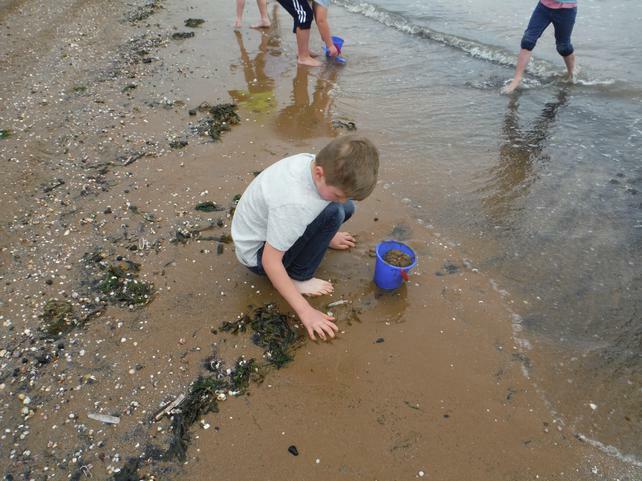 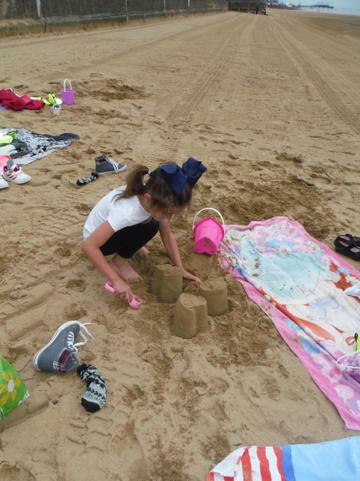 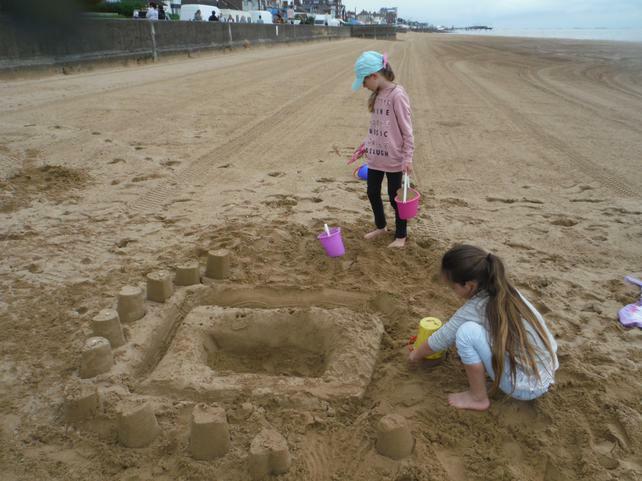 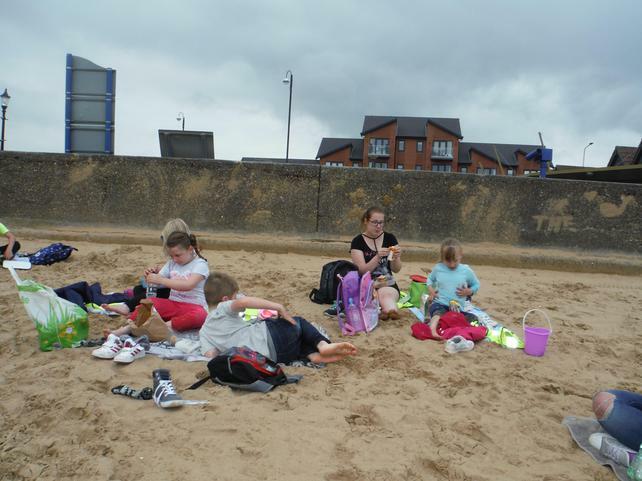 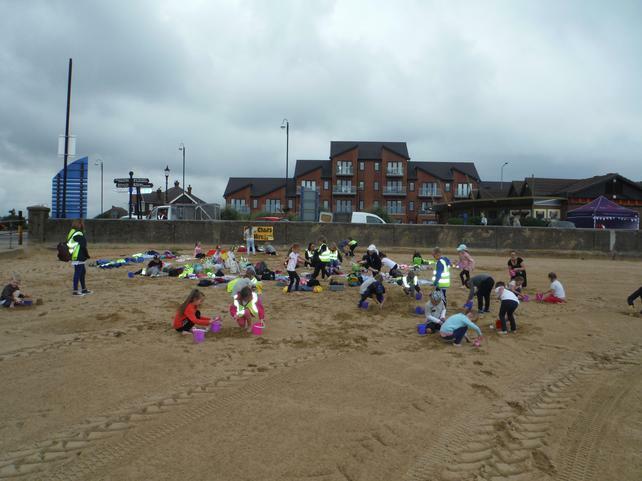 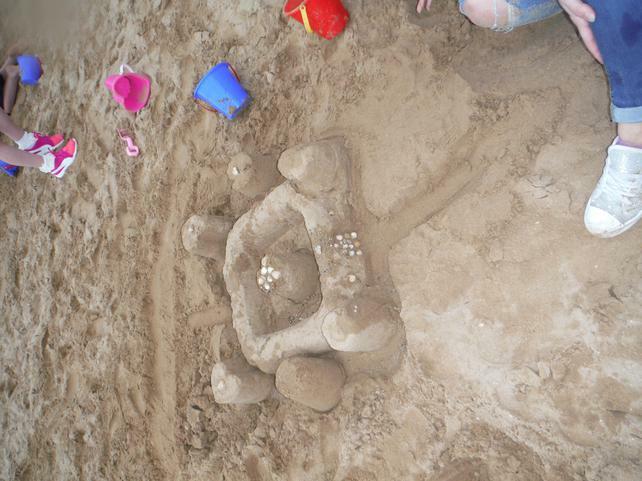 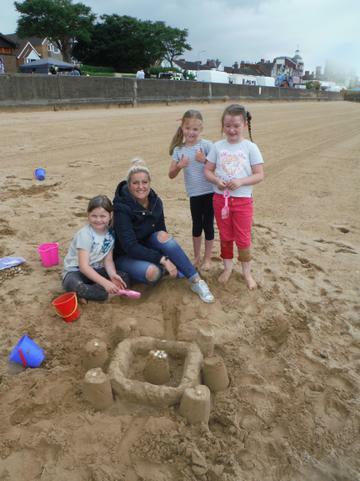 We all had an ice cream and built sandcastles before running in and out of the sea. 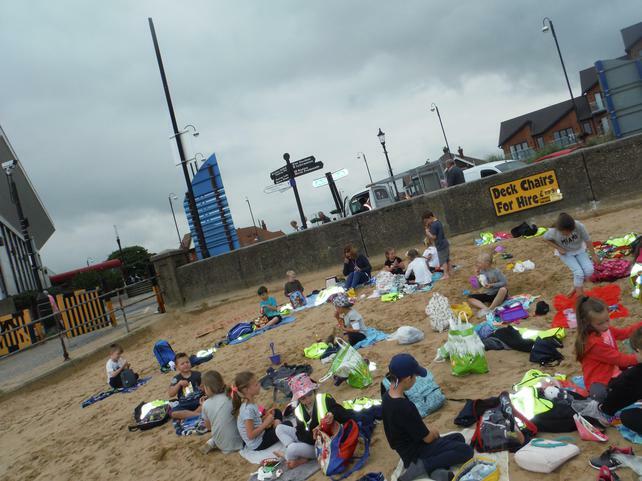 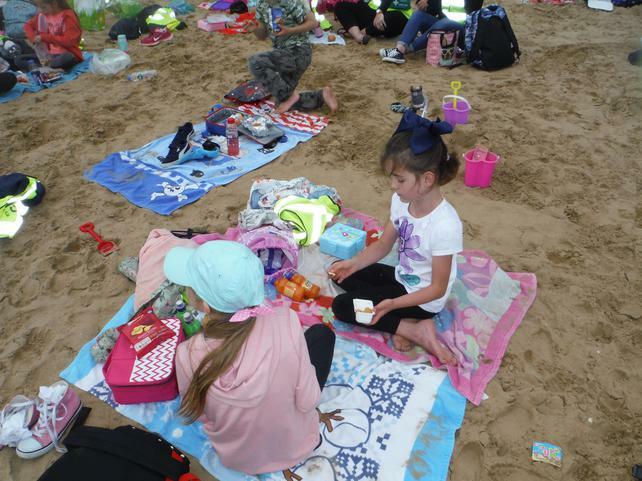 We then had a lovely beach picnic with our friends before boarding the Lollipop Train and taking a trip along the sea front. 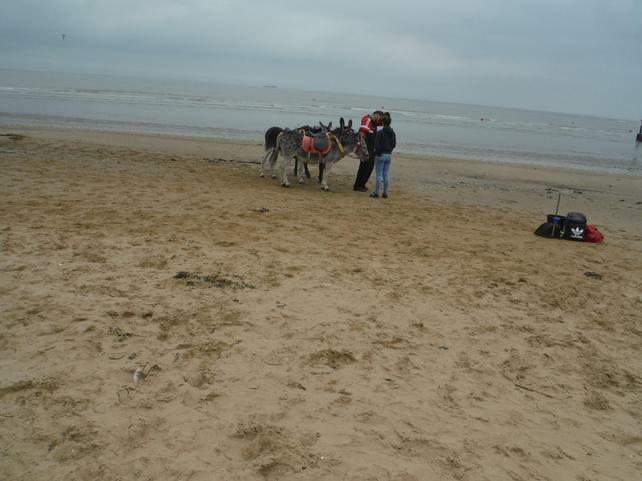 Waiting at the end of the ride were 3 little donkeys waiting to take us on a ride across the beach between the 2 piers. 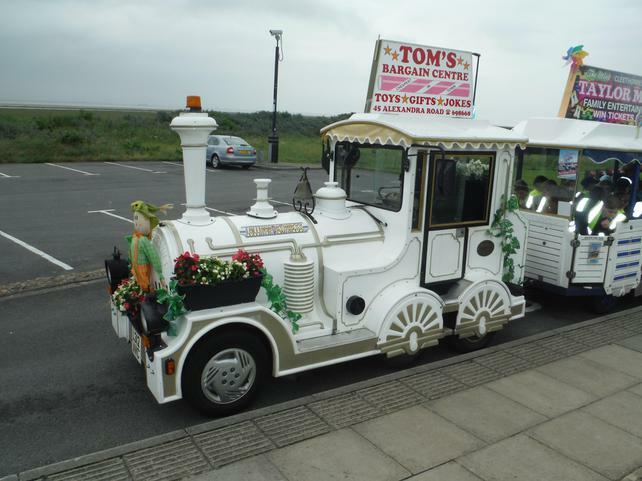 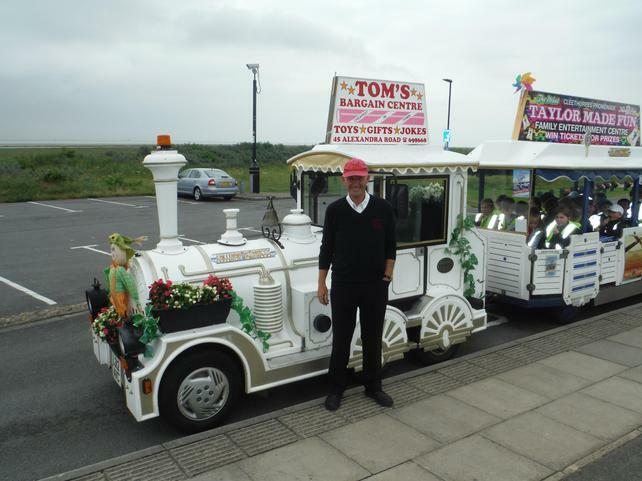 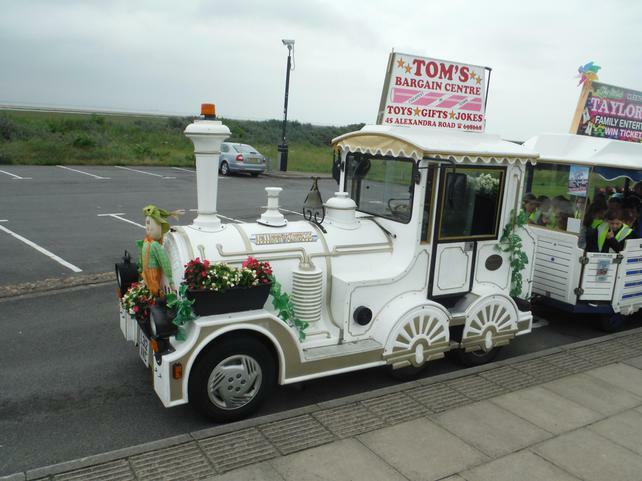 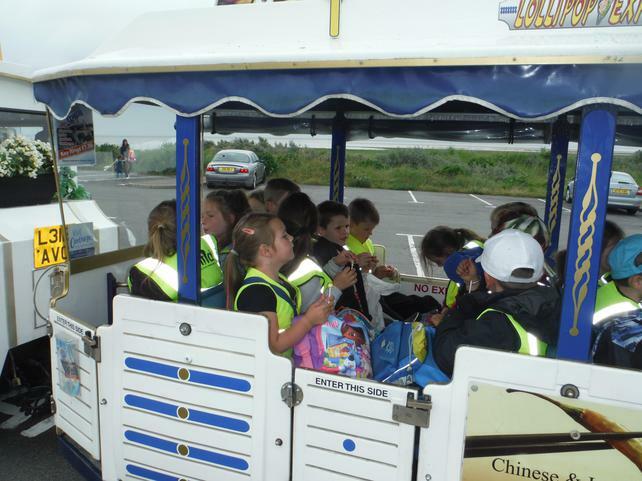 We then hopped back on the train to take us back to the coach. 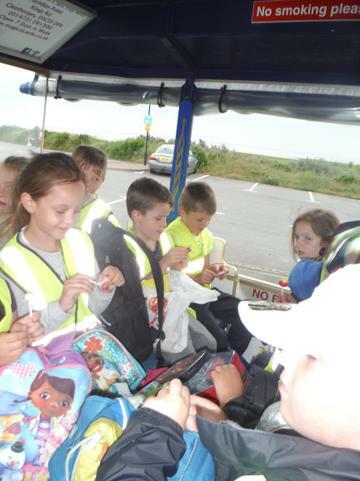 What a wonderful day we all had. 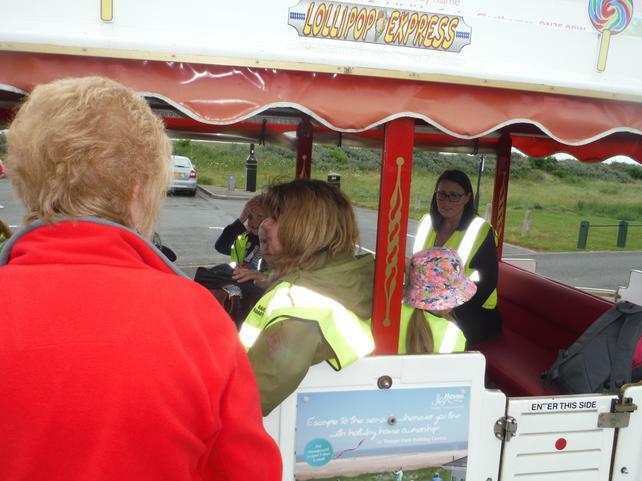 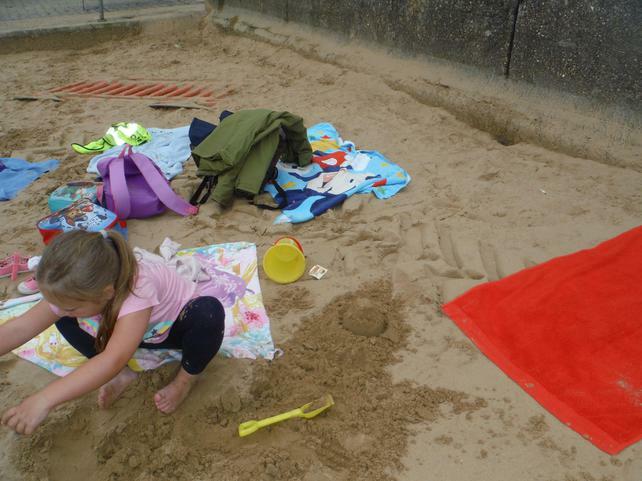 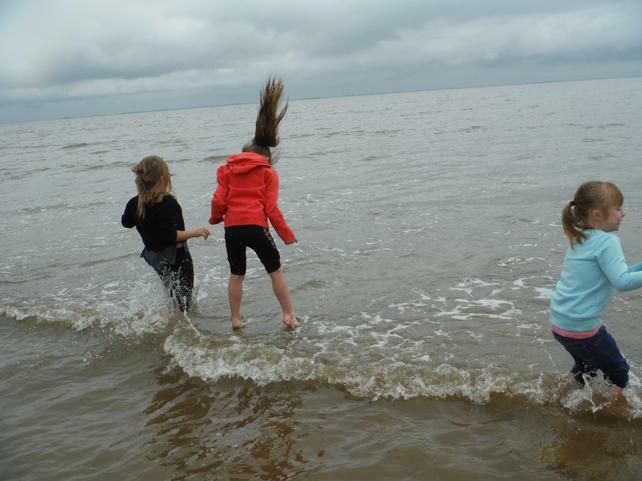 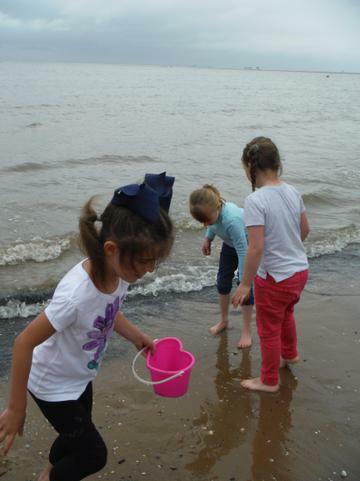 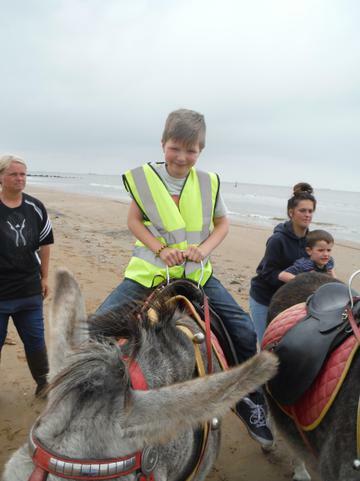 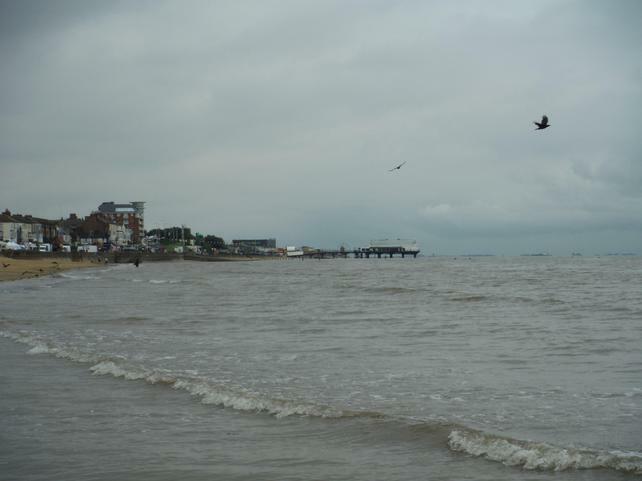 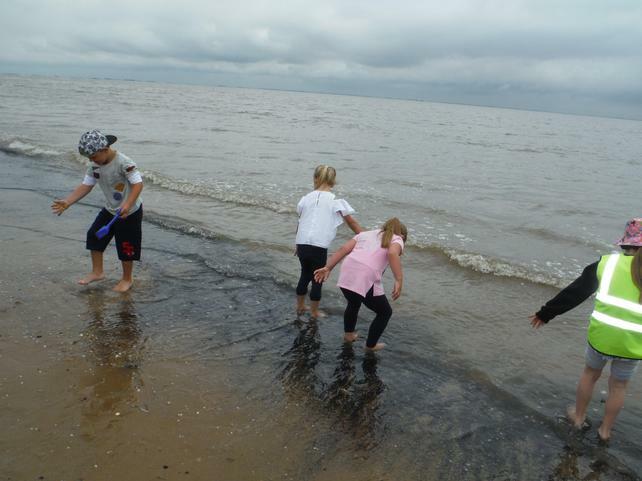 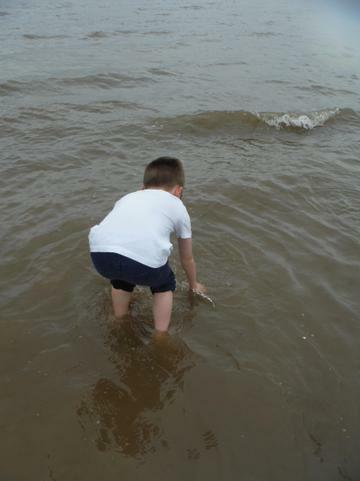 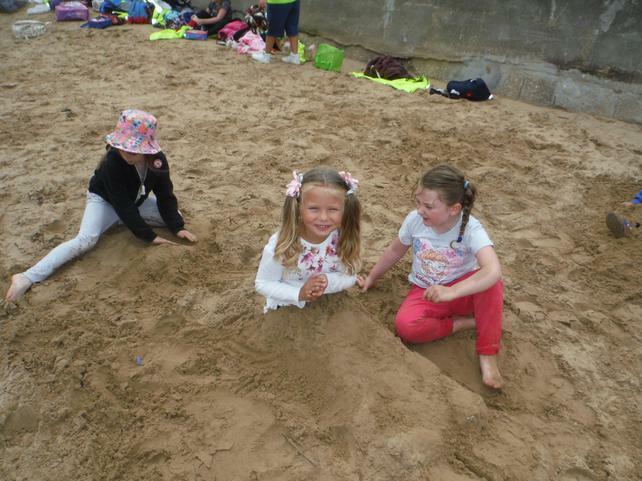 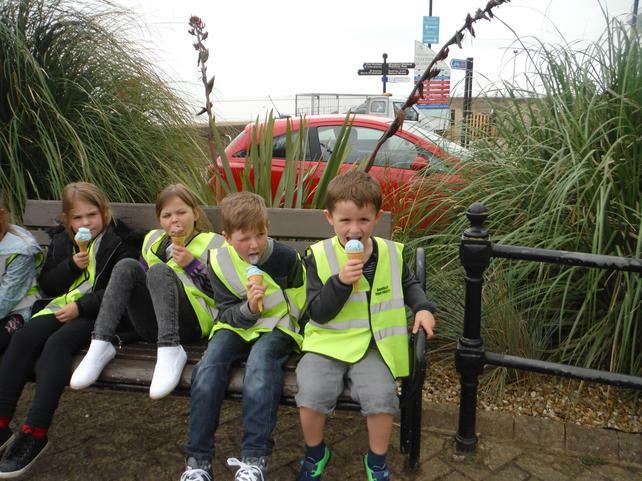 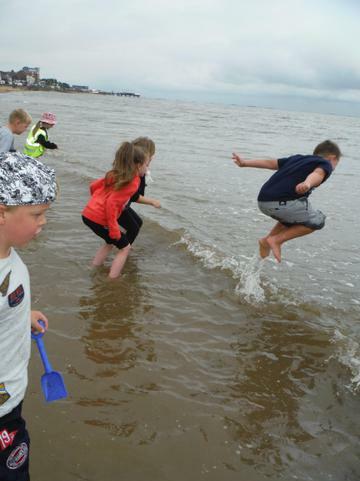 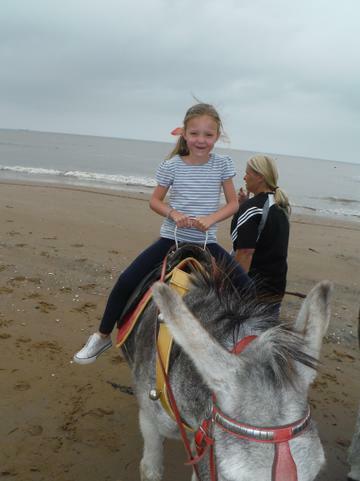 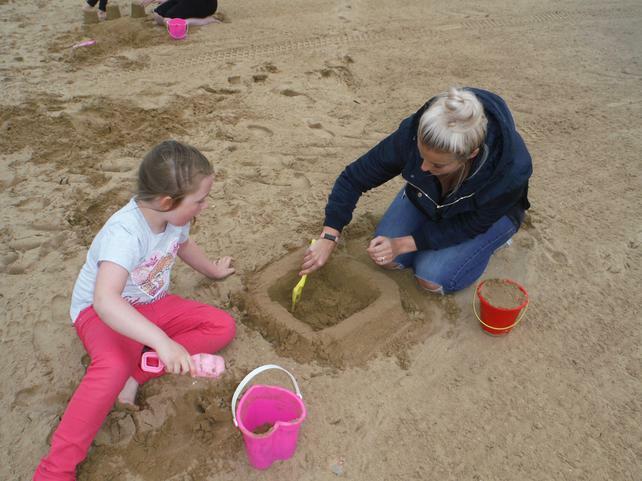 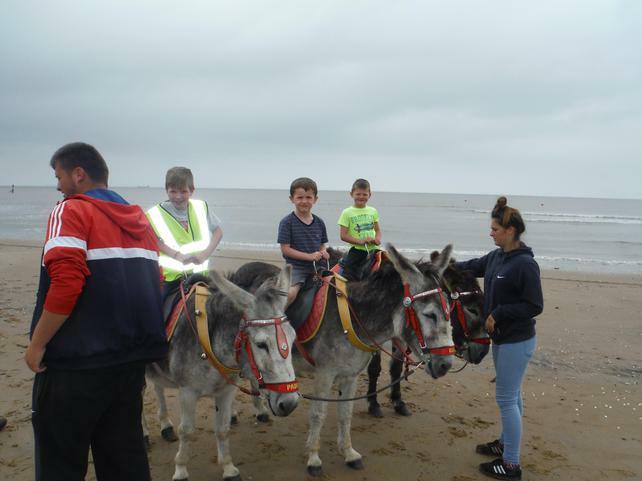 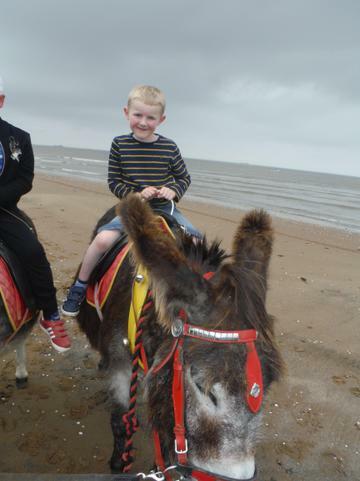 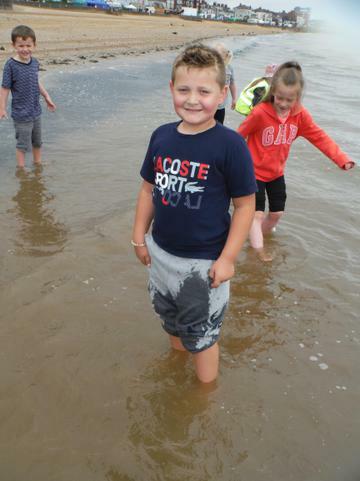 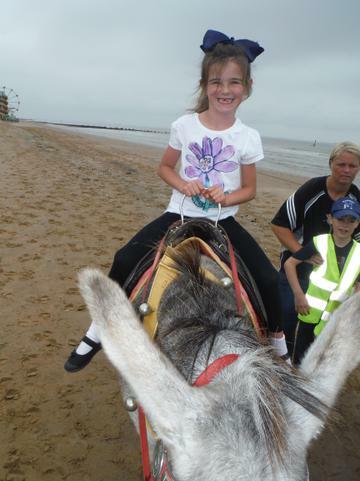 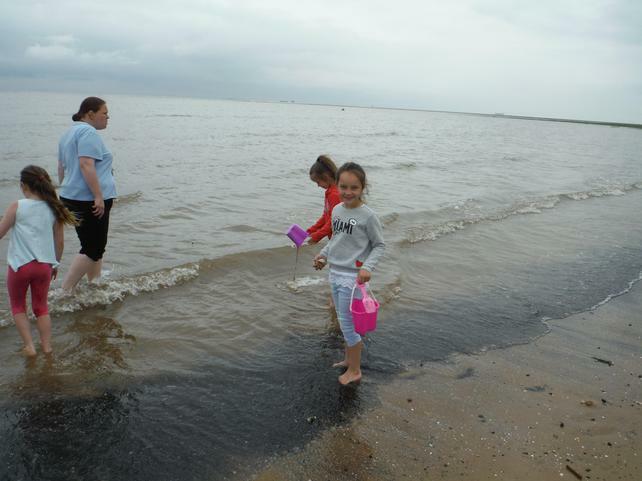 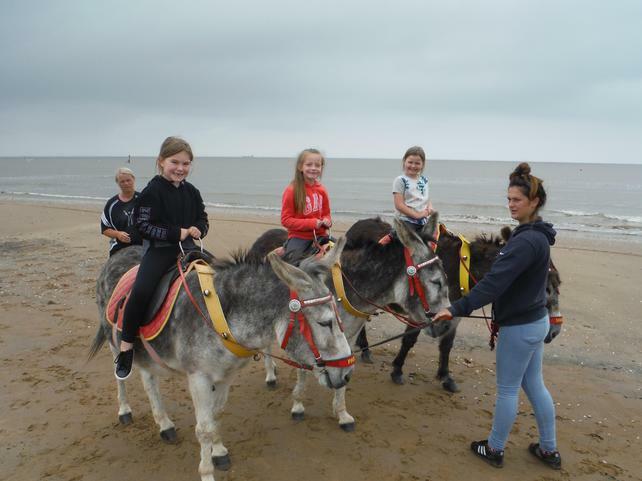 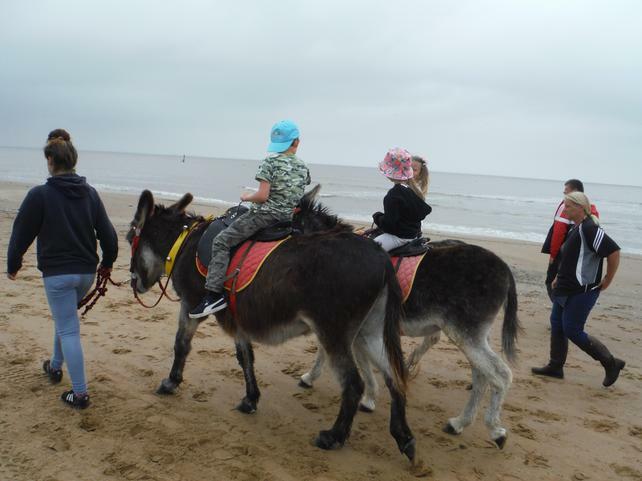 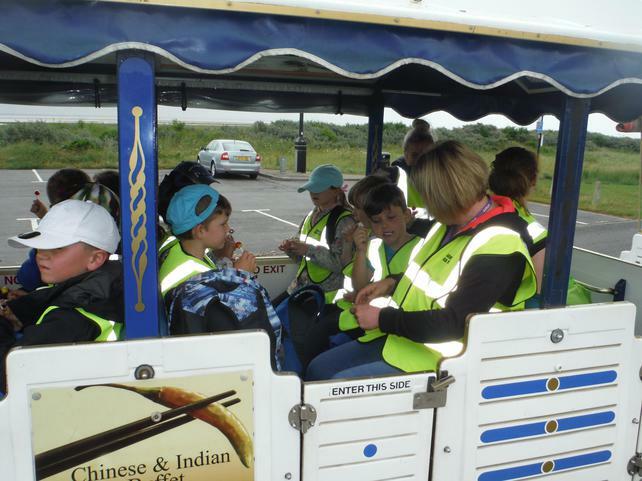 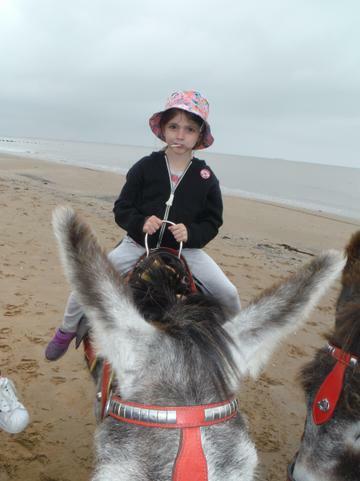 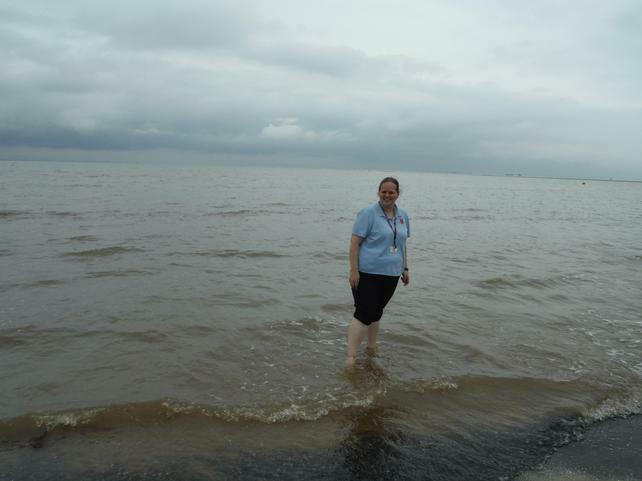 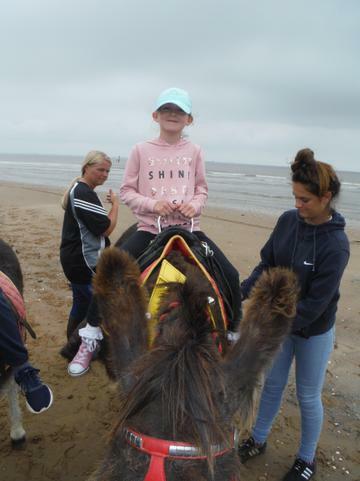 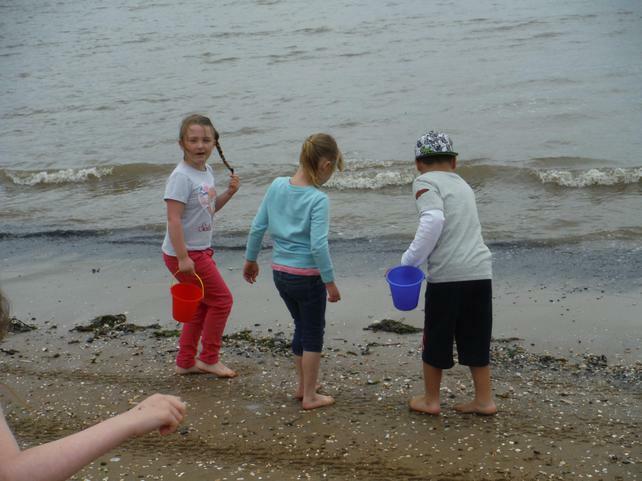 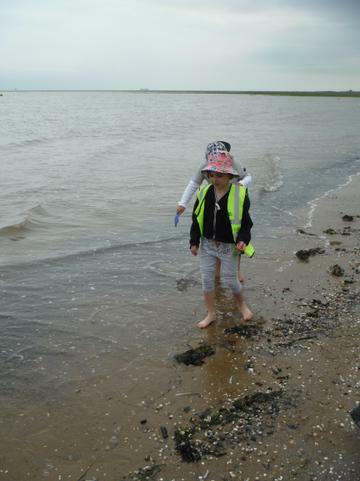 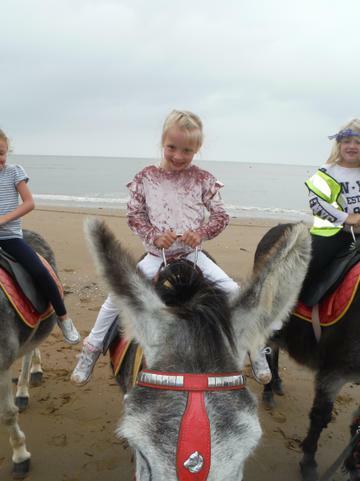 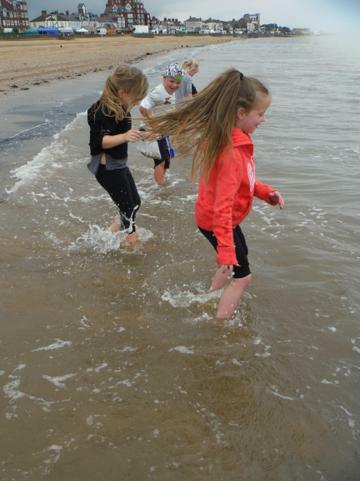 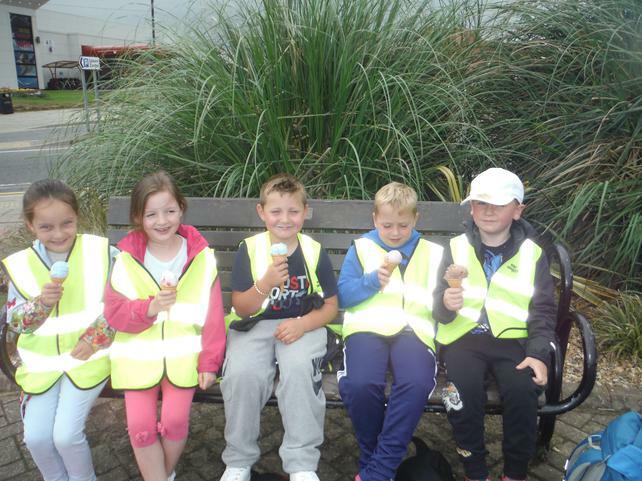 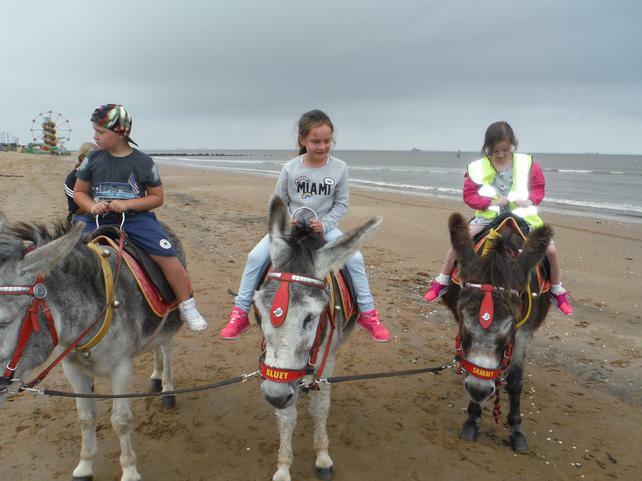 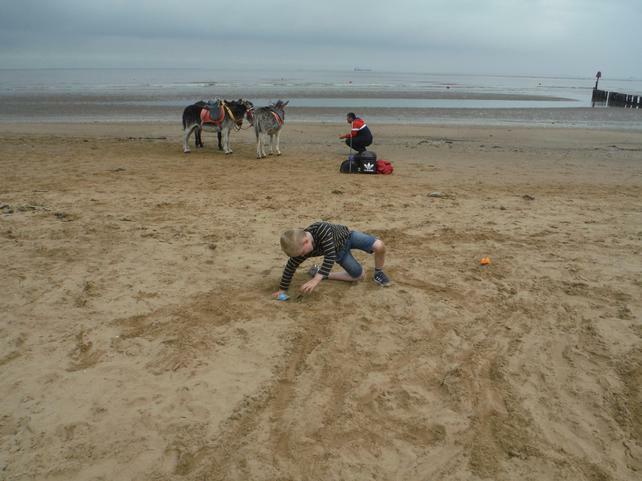 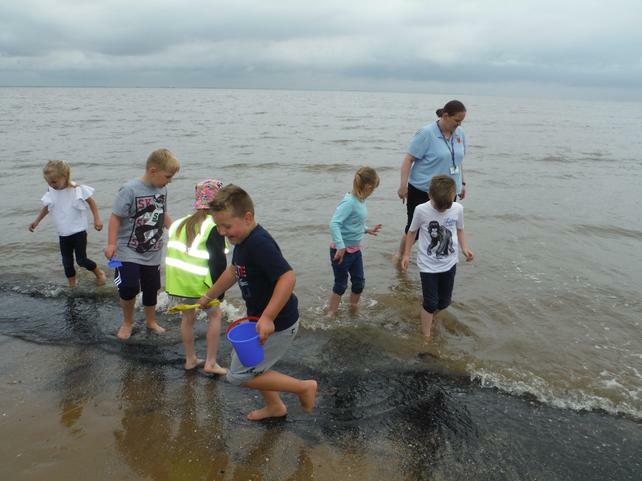 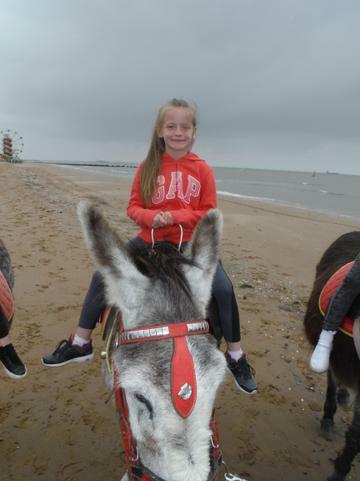 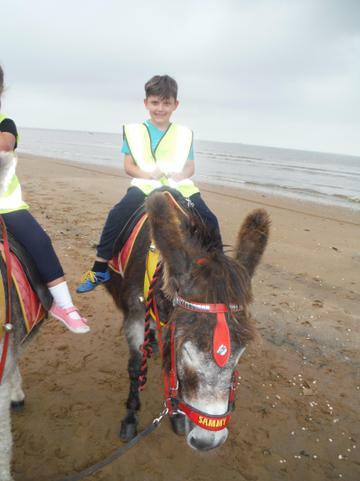 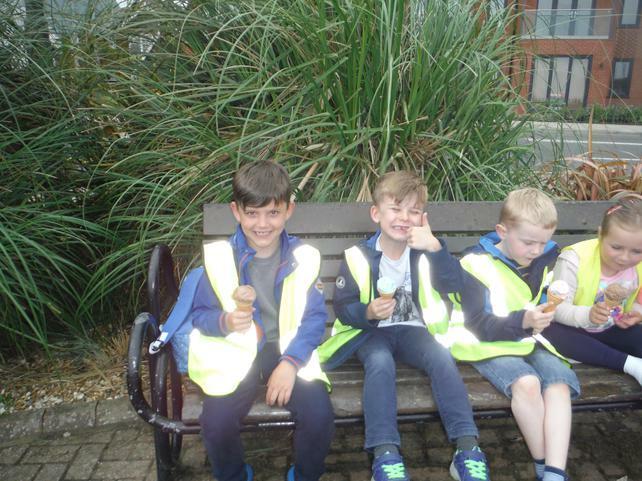 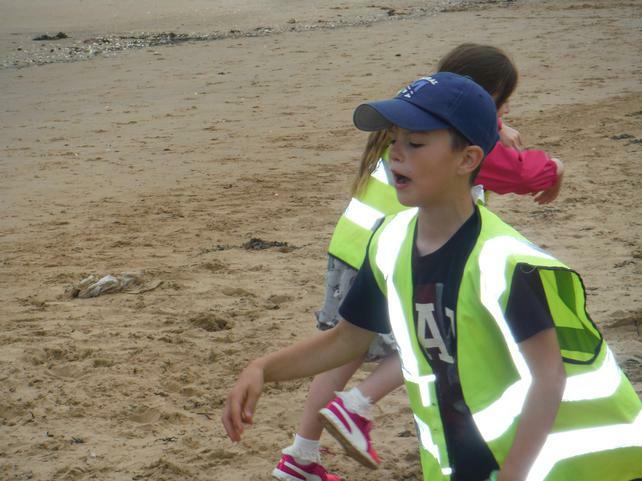 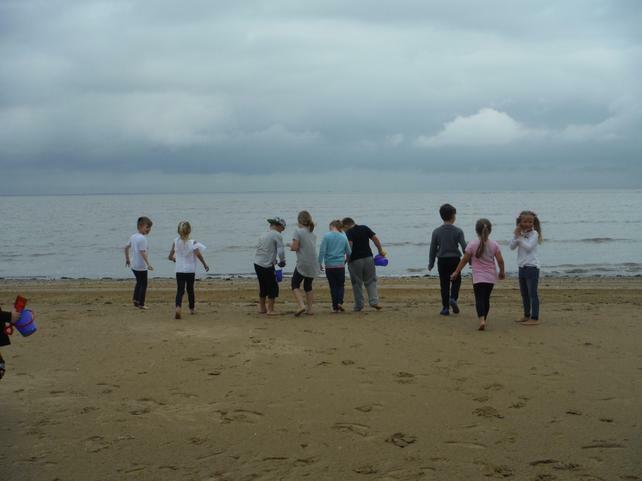 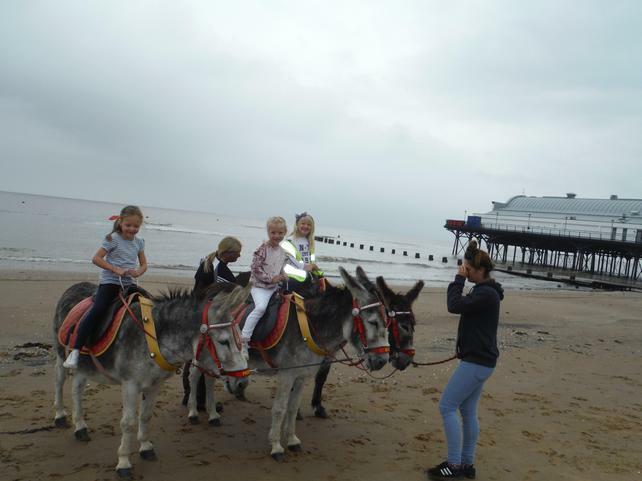 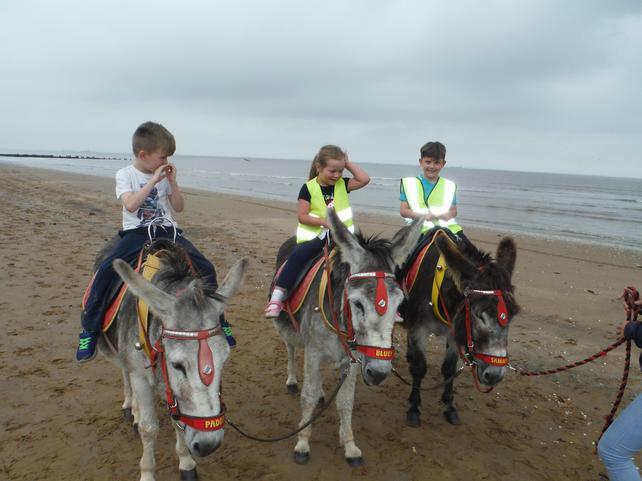 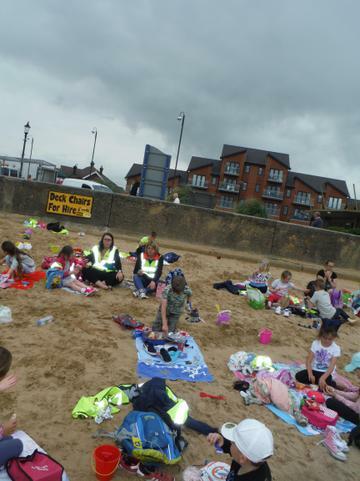 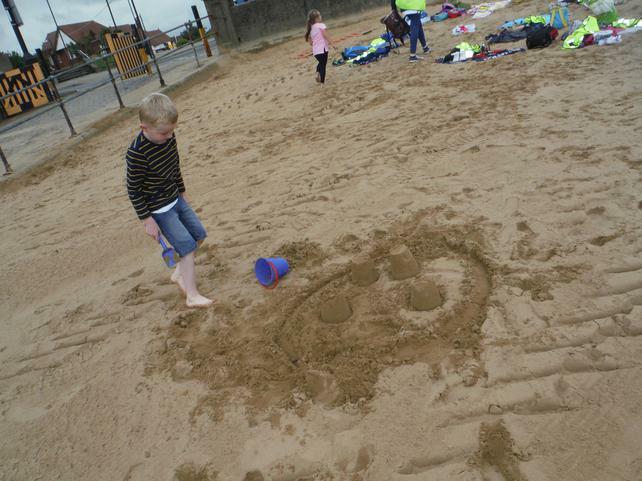 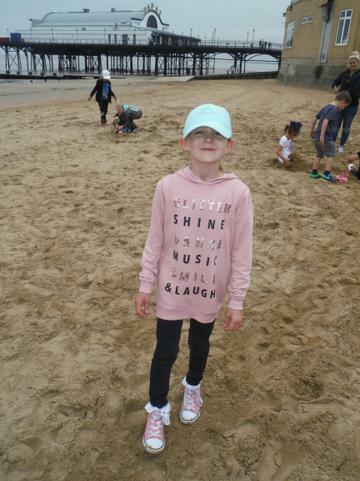 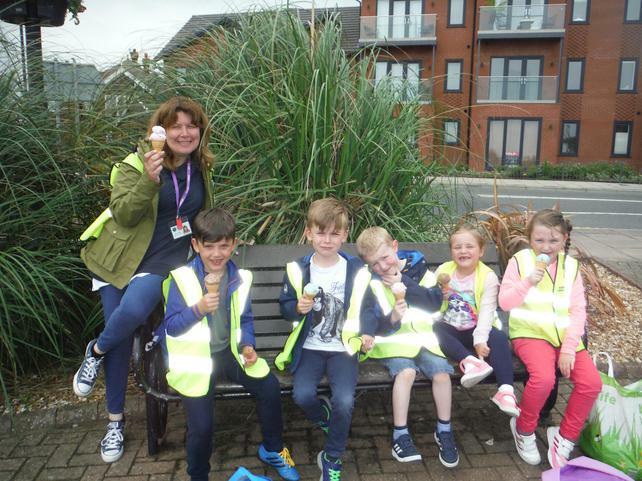 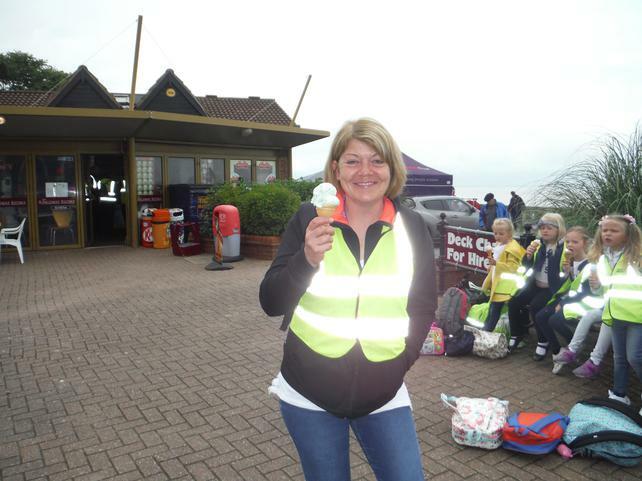 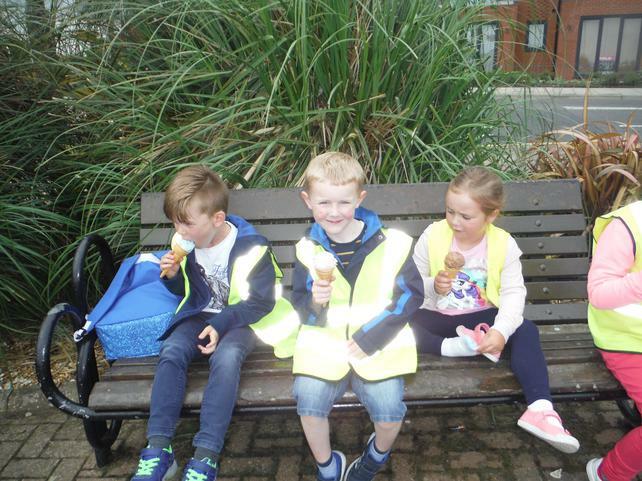 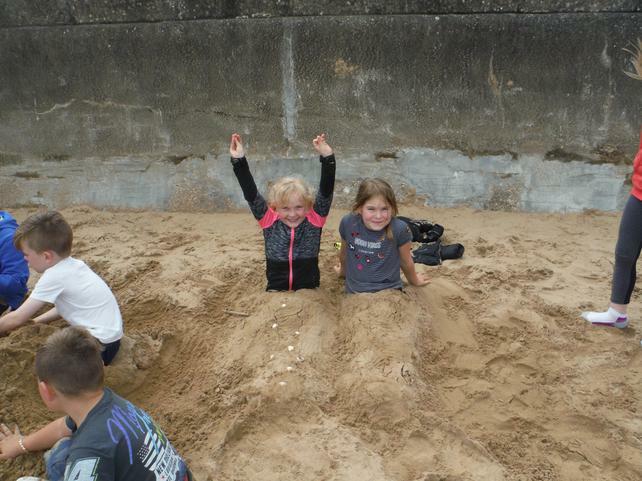 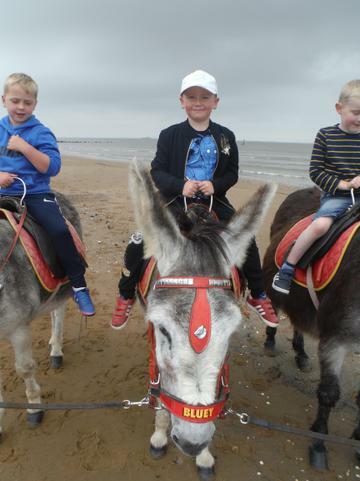 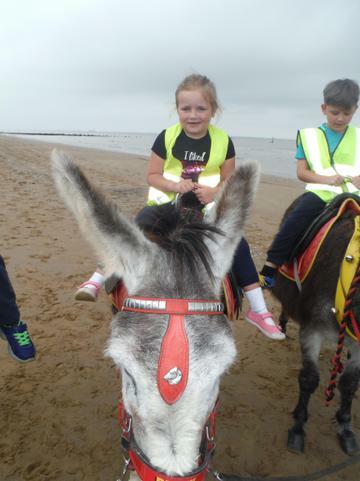 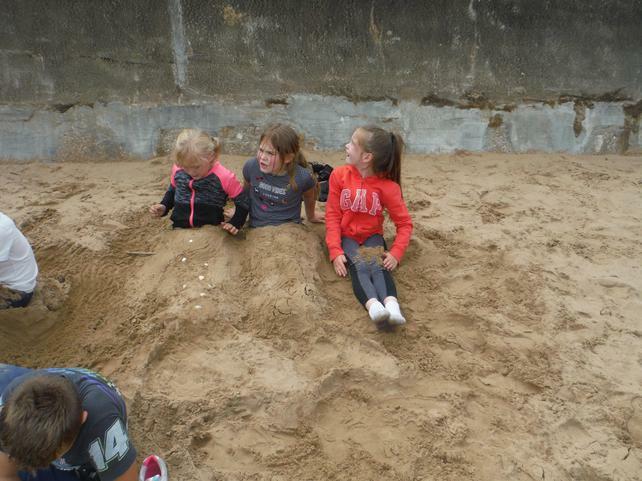 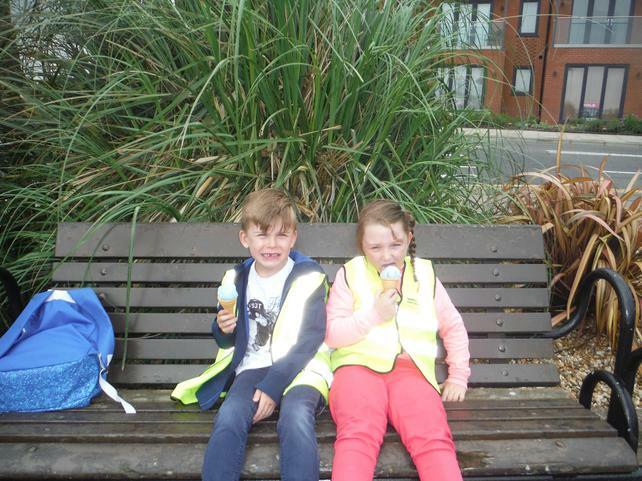 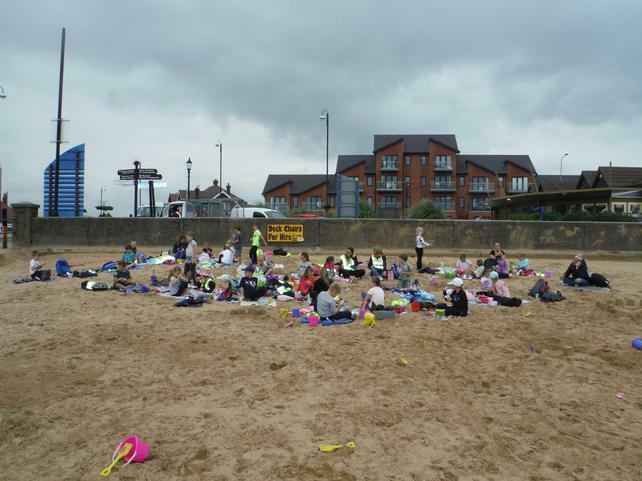 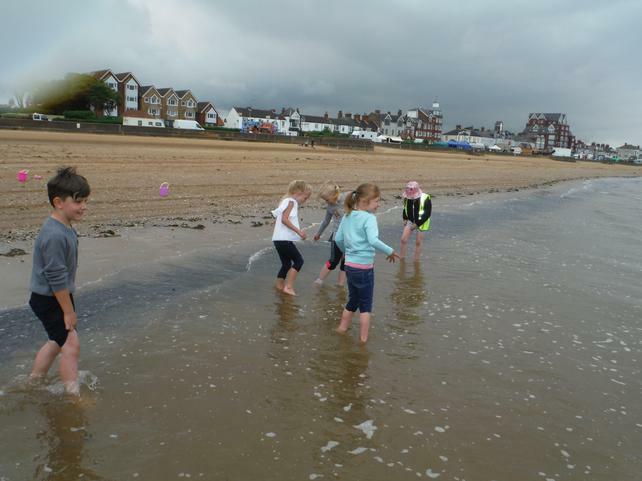 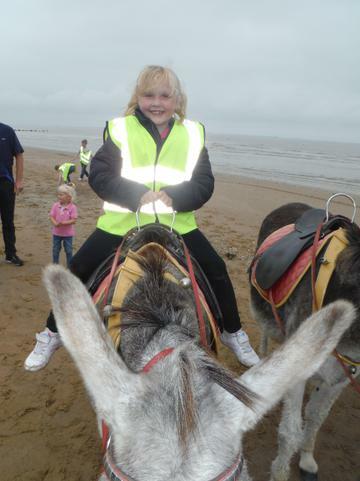 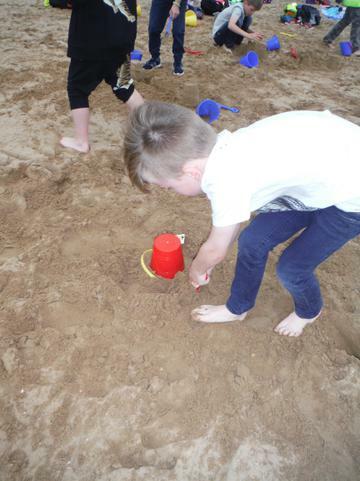 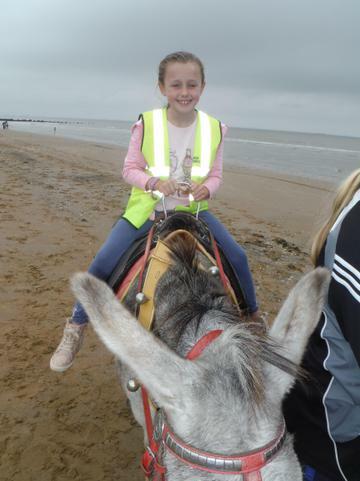 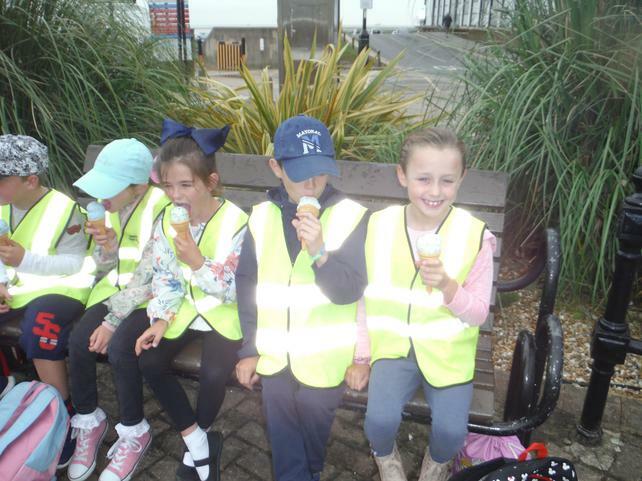 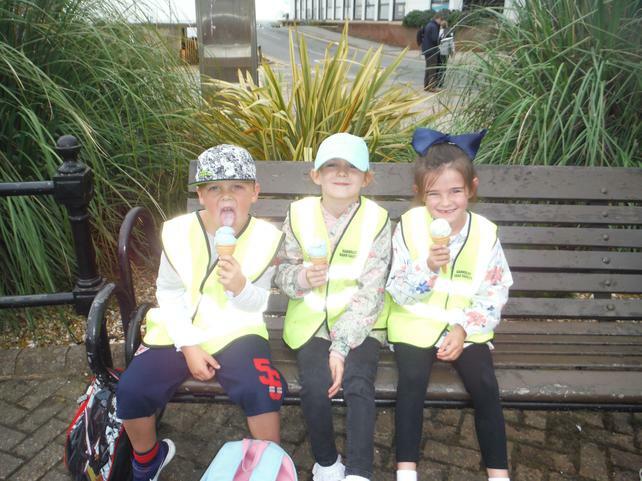 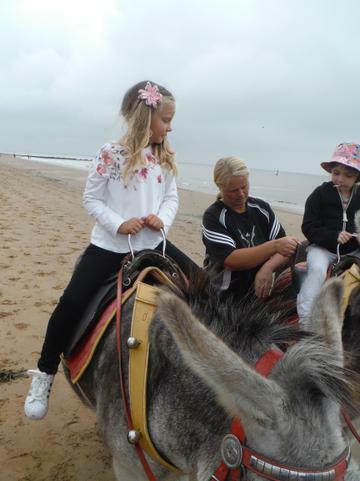 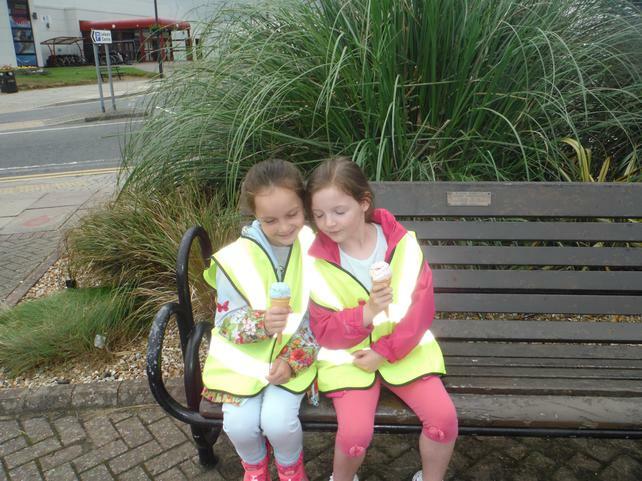 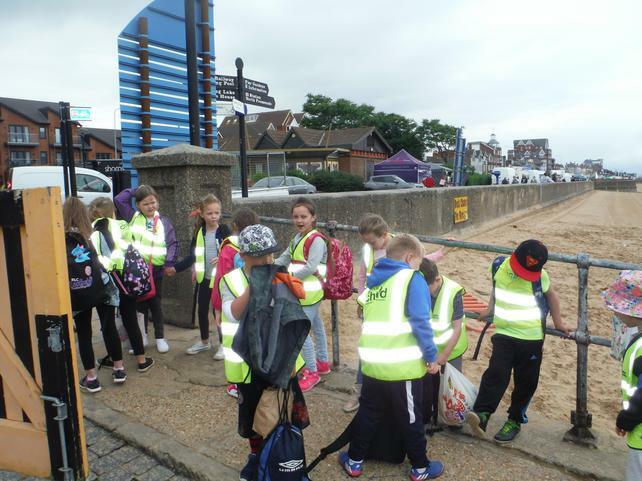 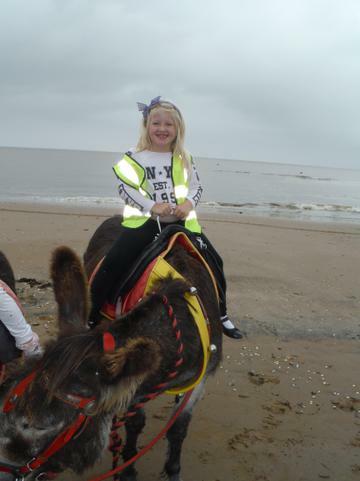 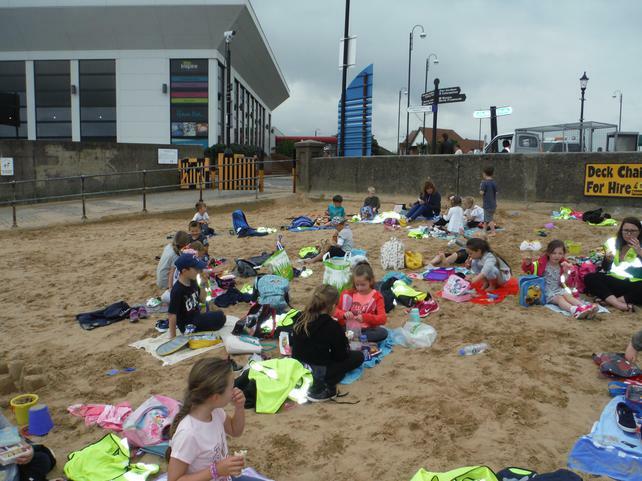 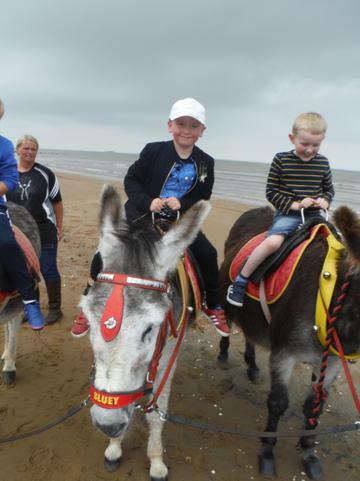 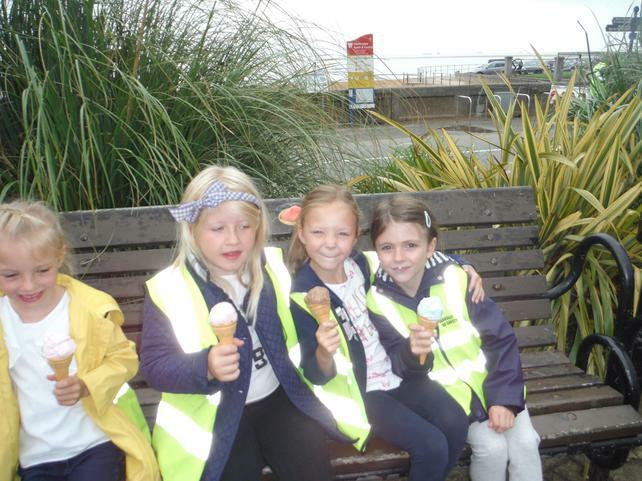 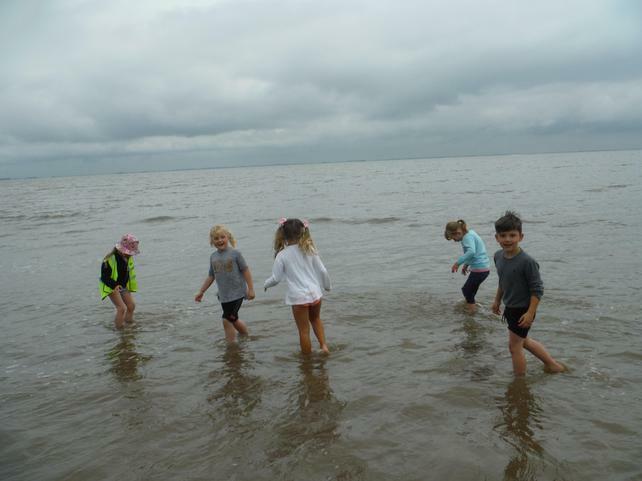 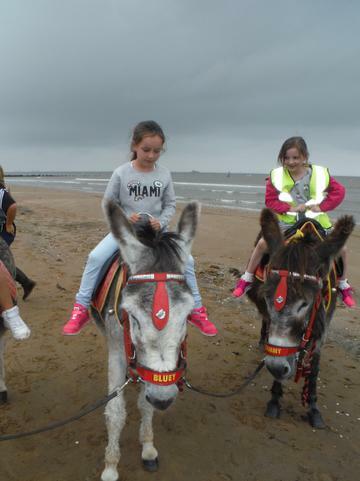 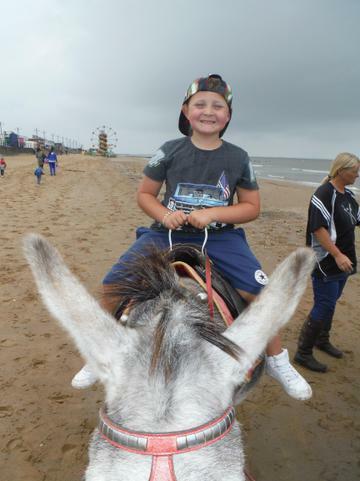 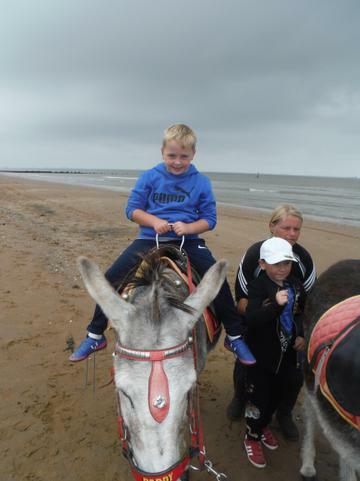 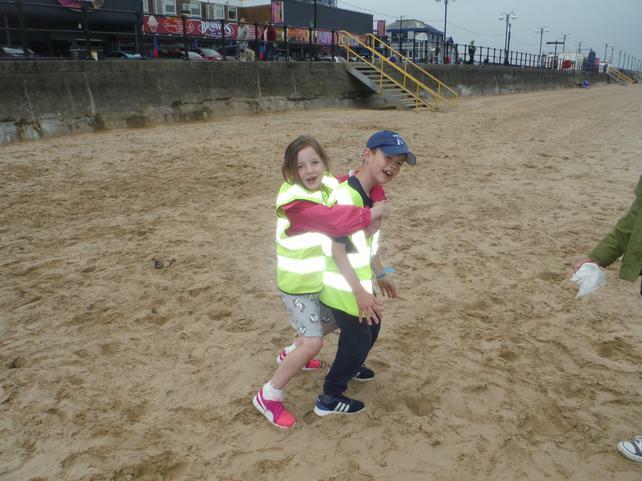 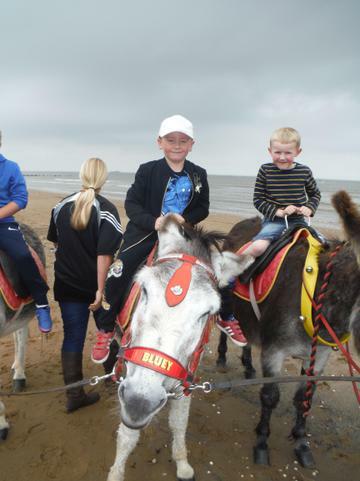 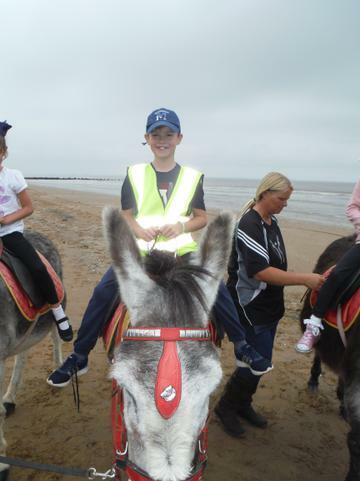 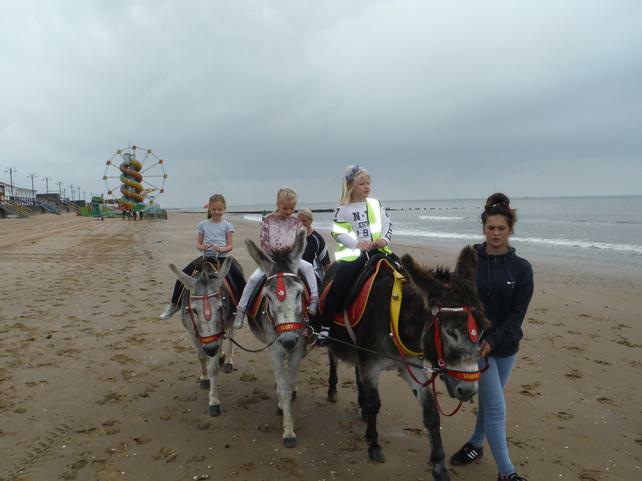 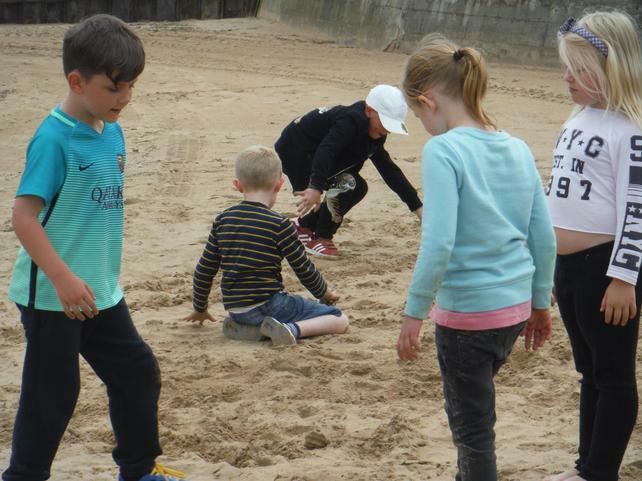 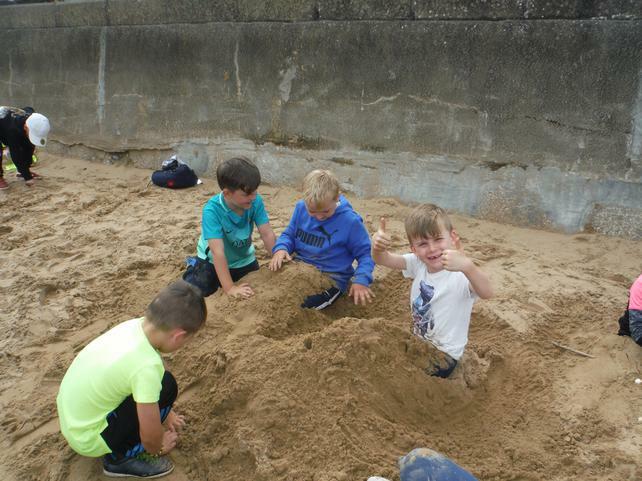 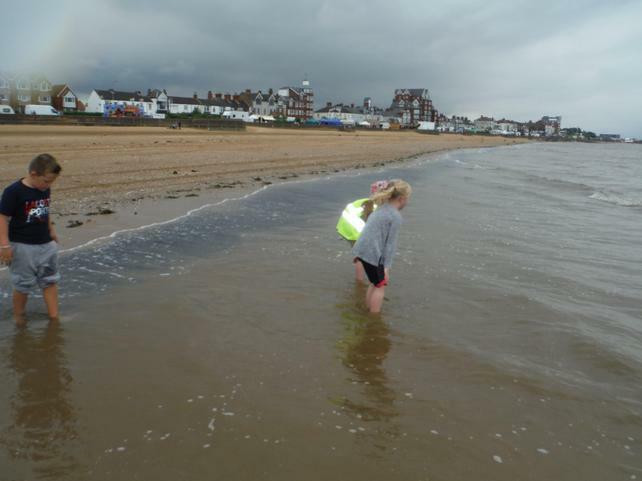 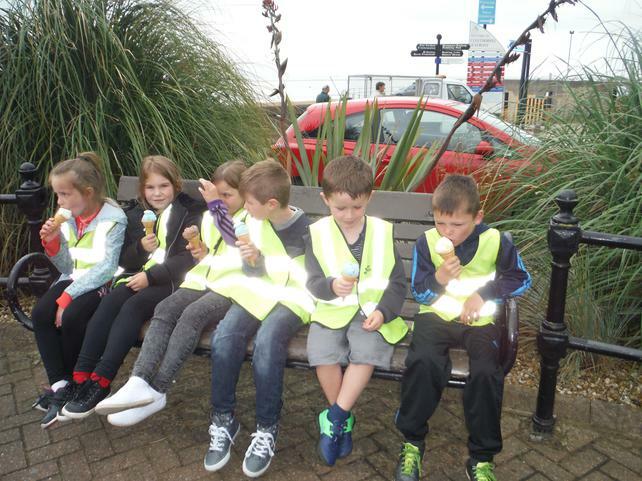 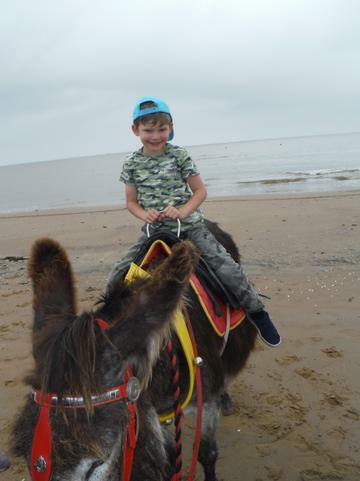 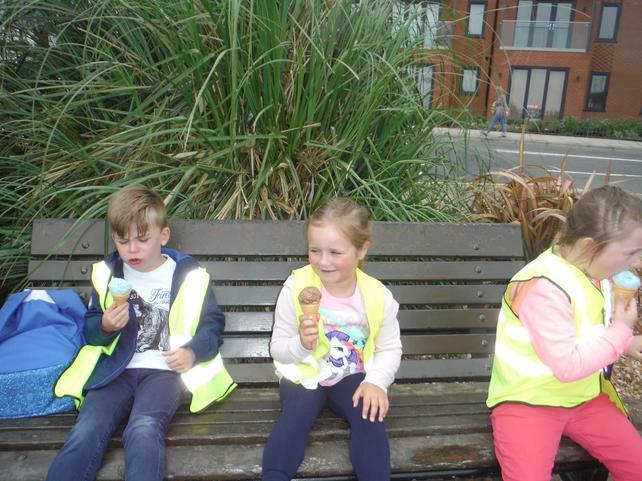 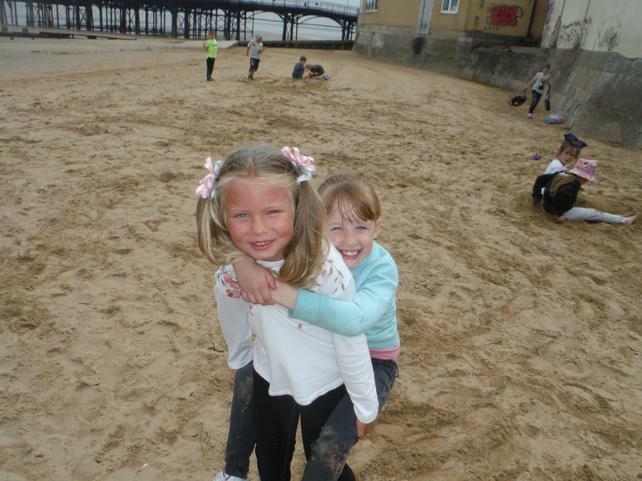 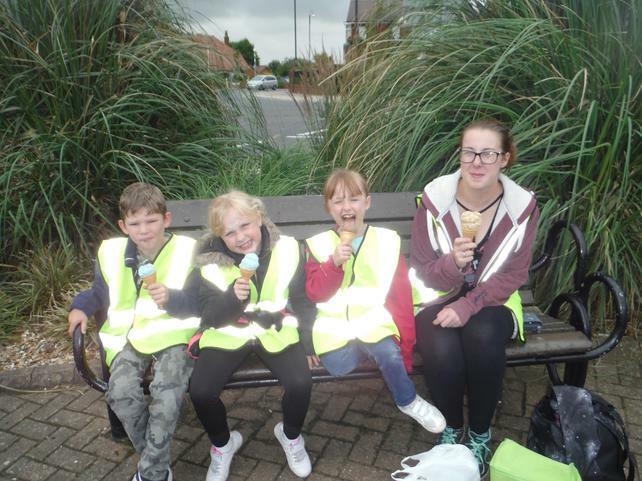 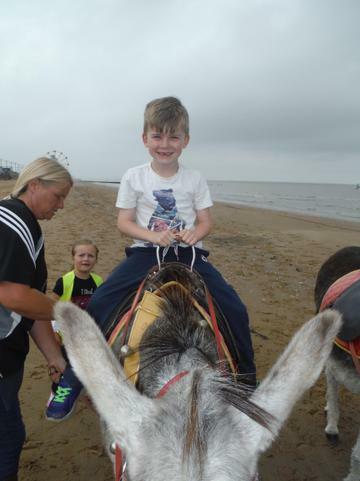 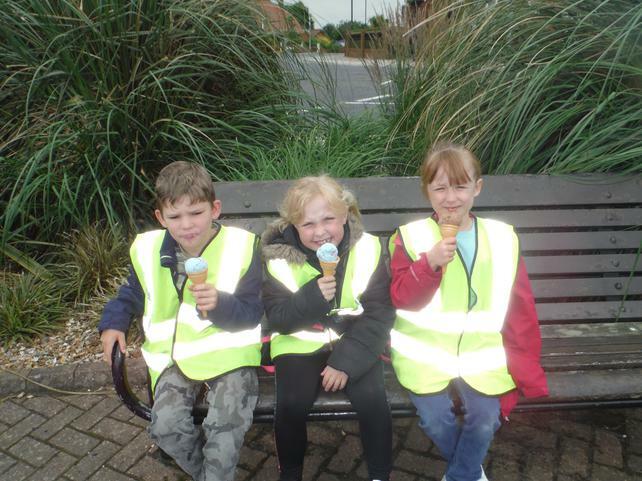 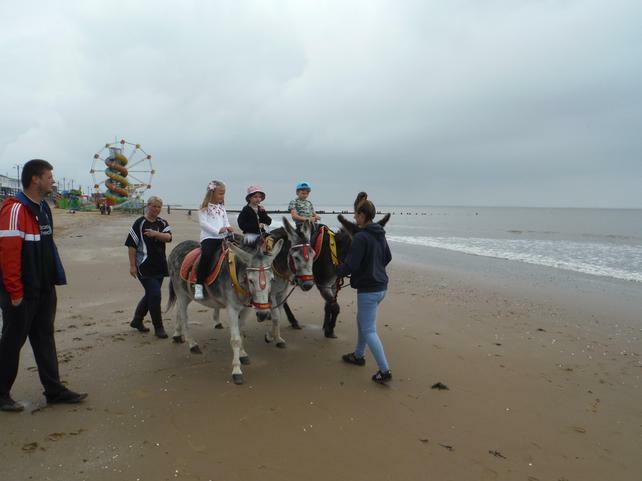 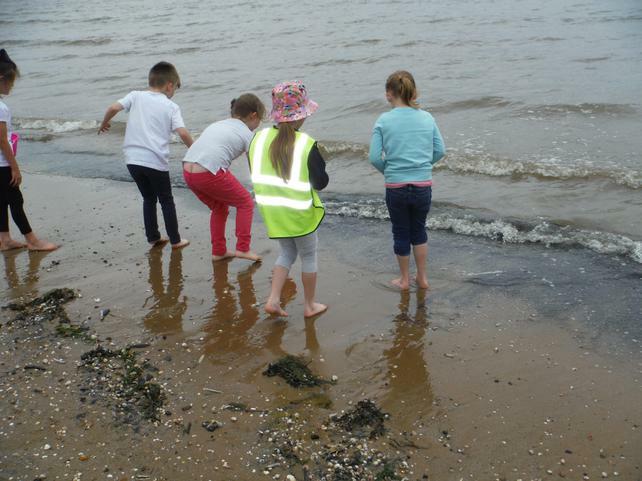 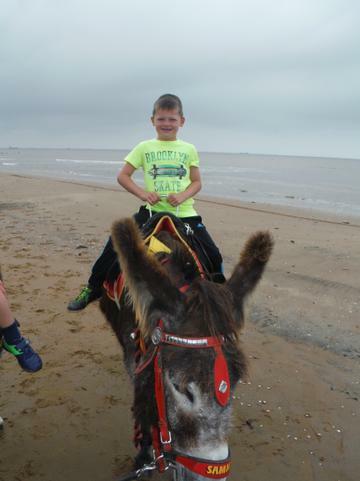 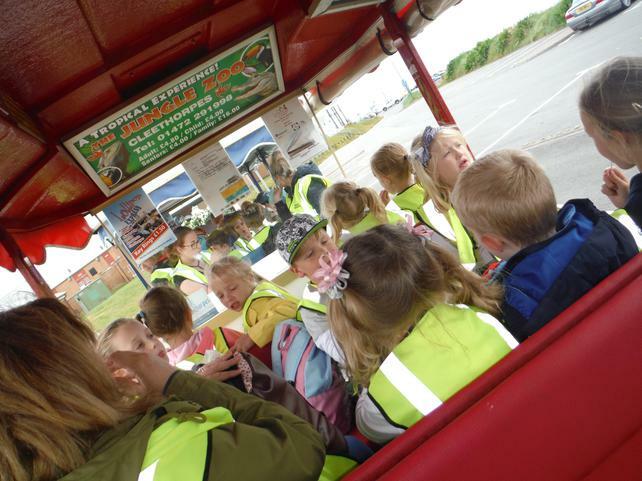 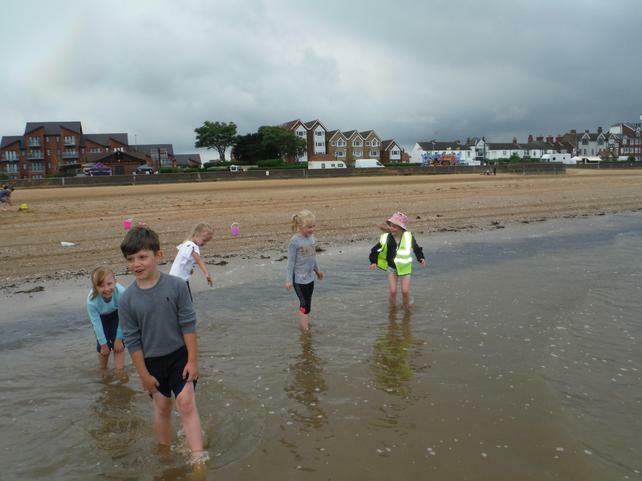 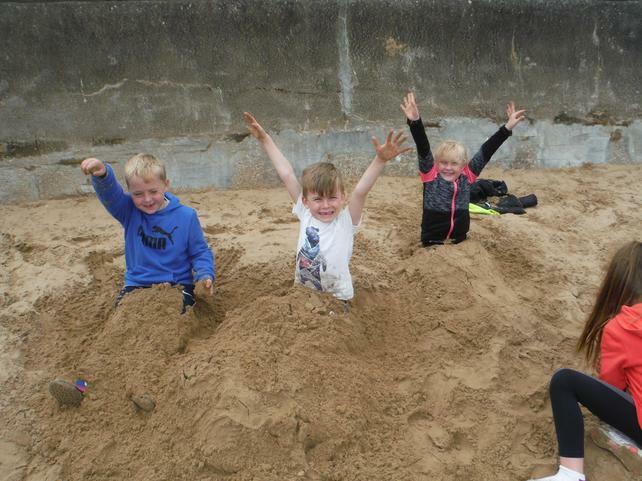 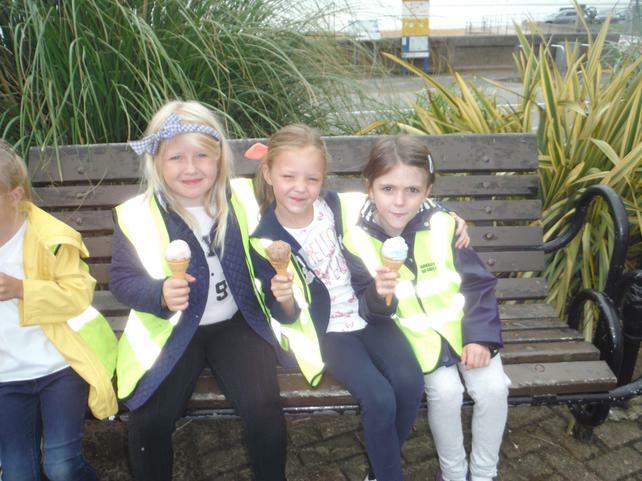 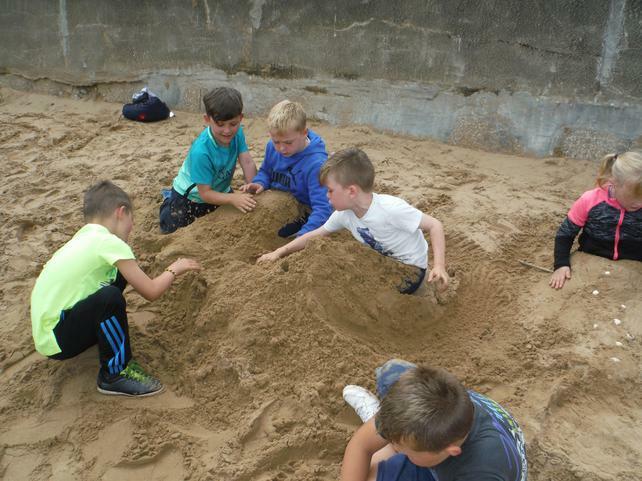 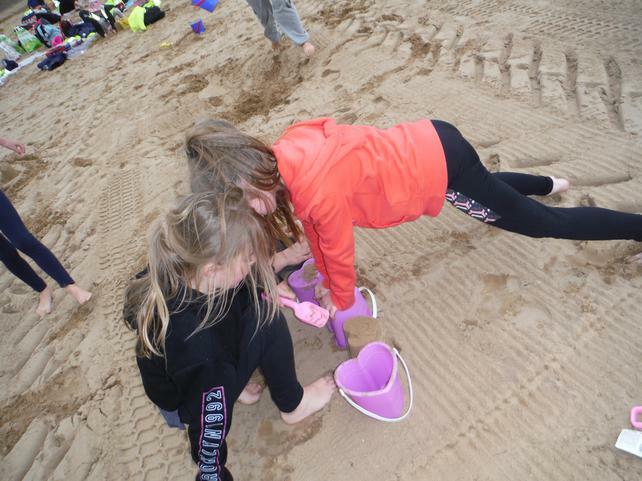 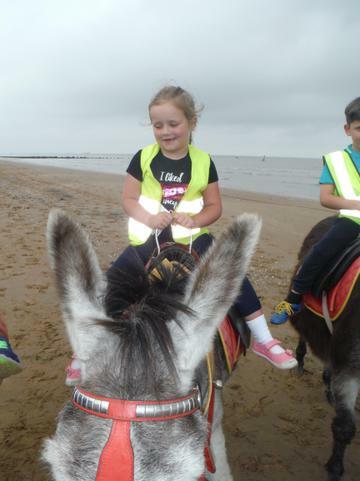 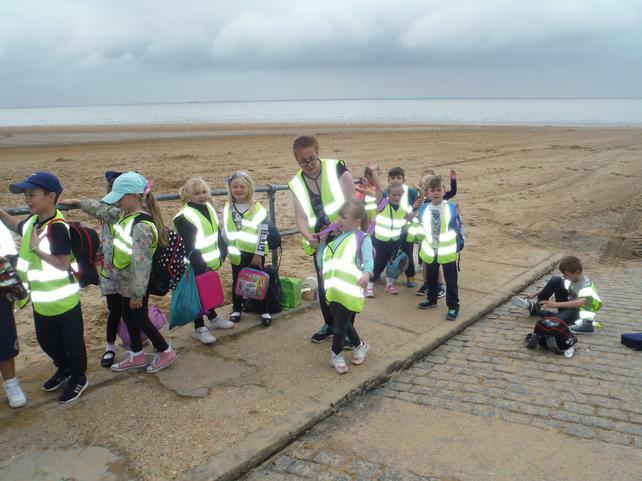 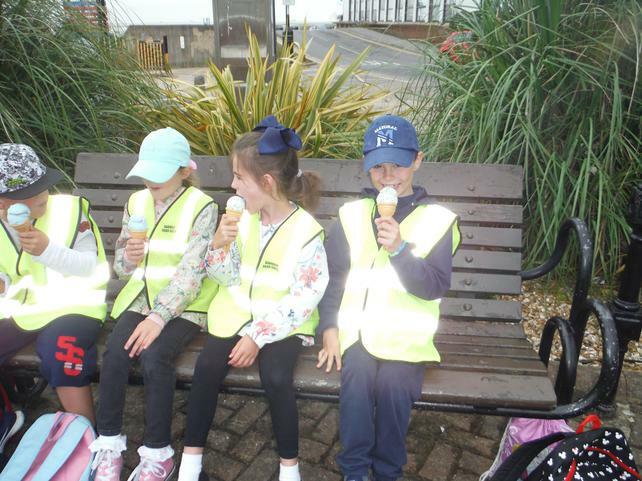 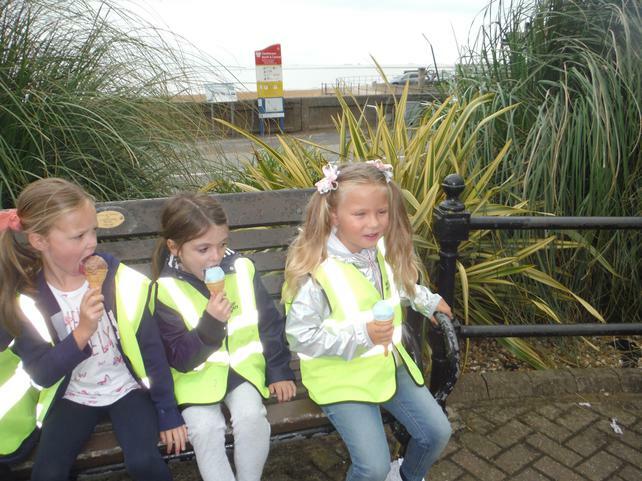 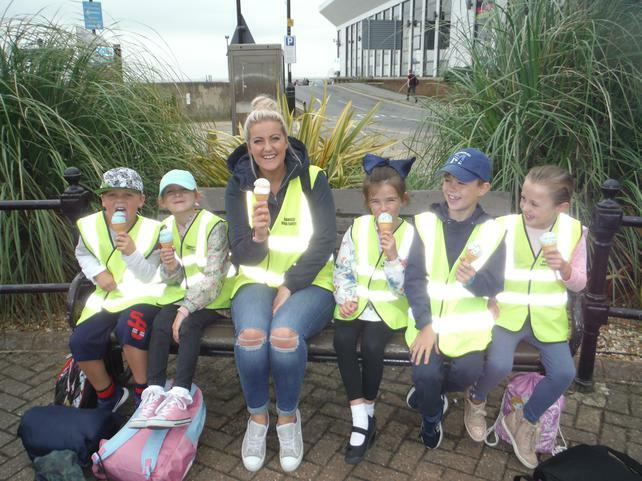 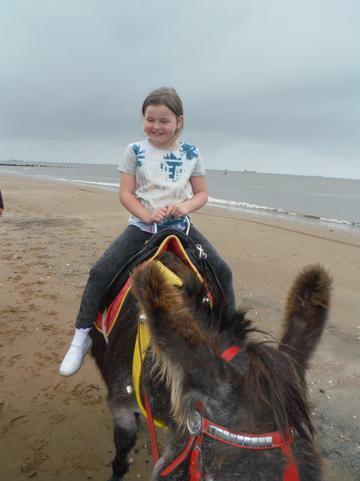 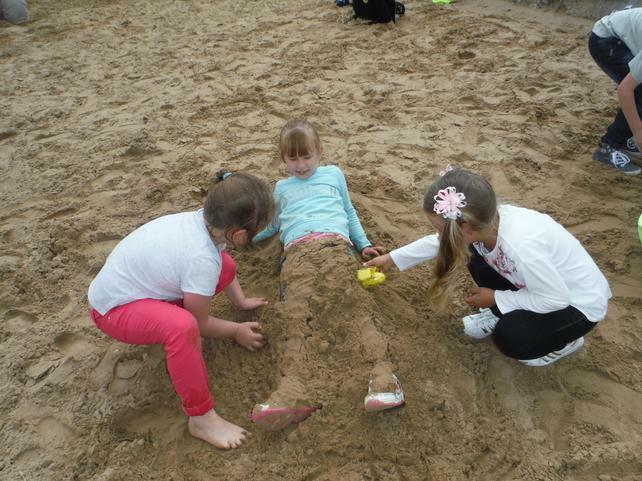 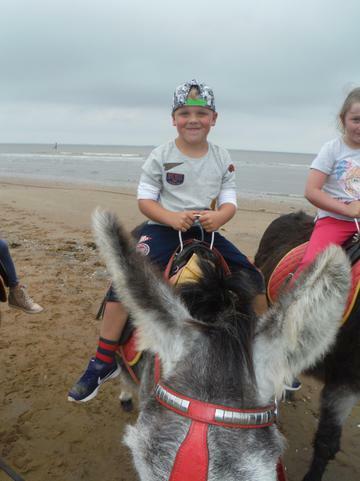 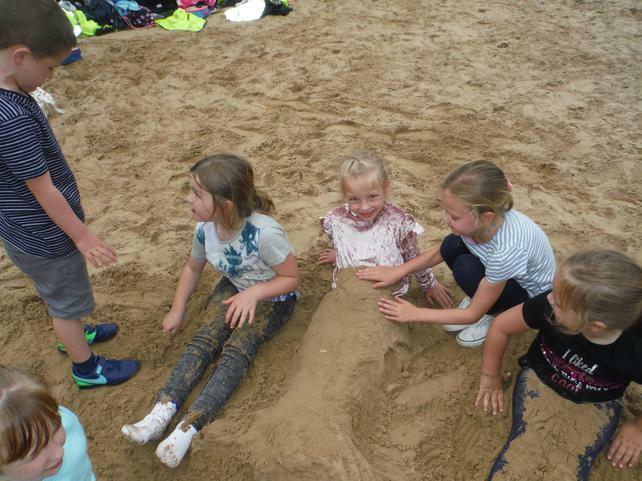 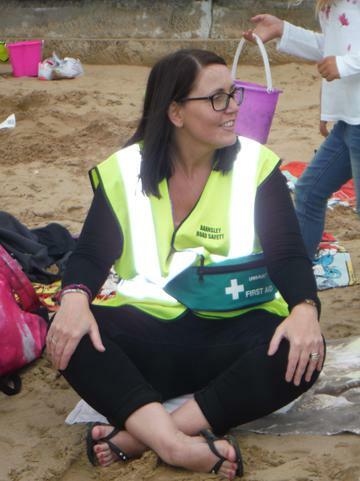 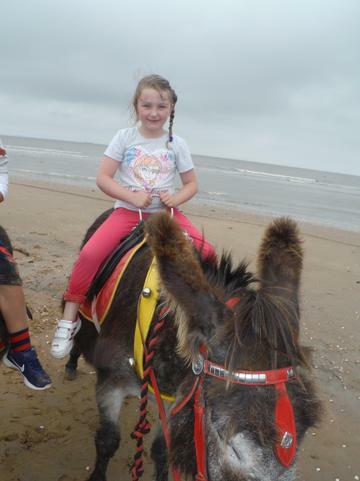 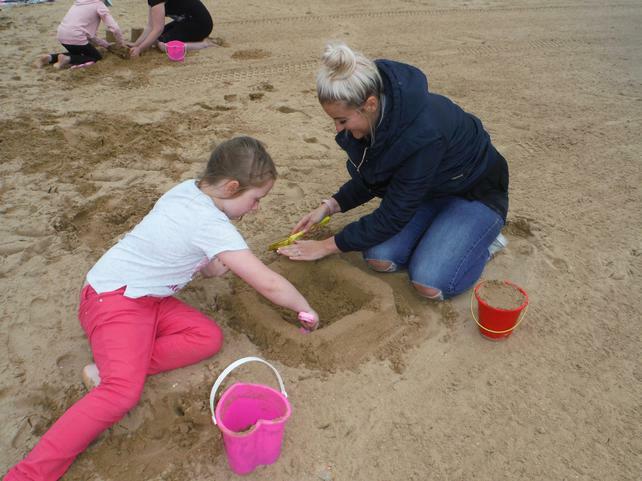 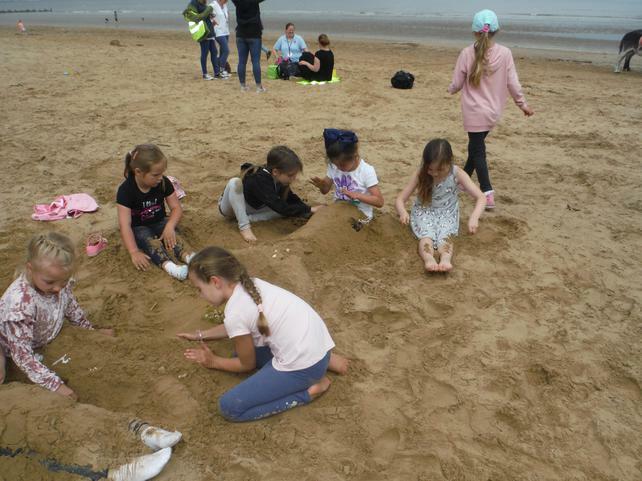 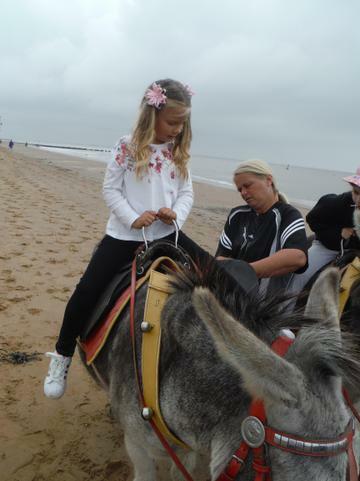 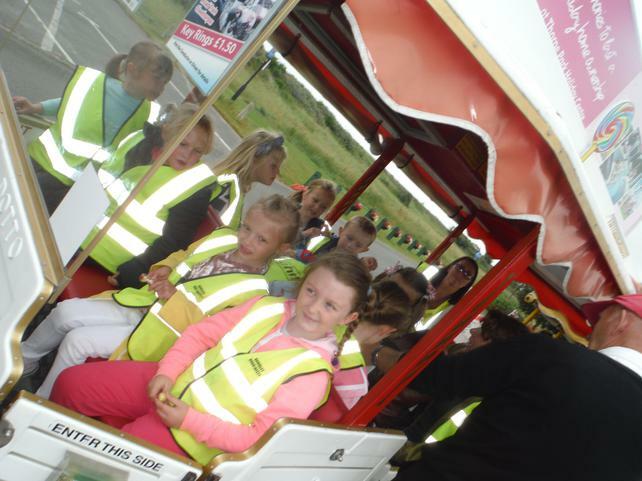 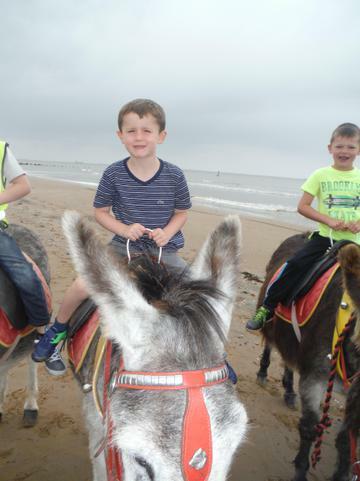 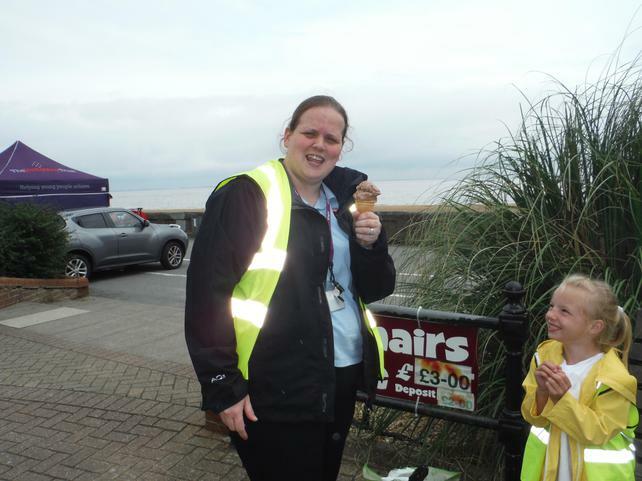 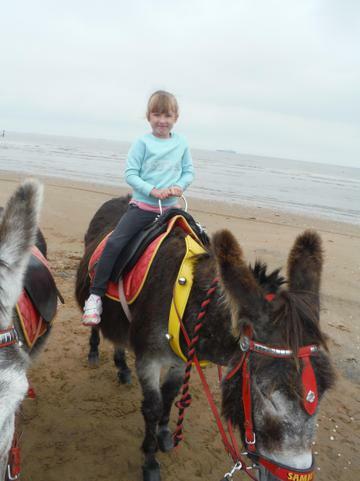 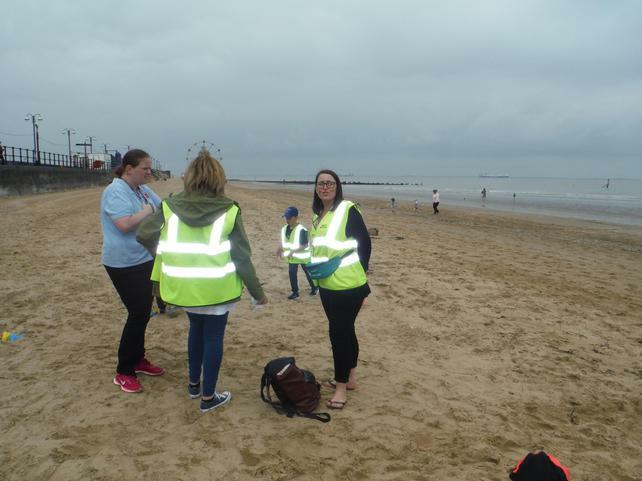 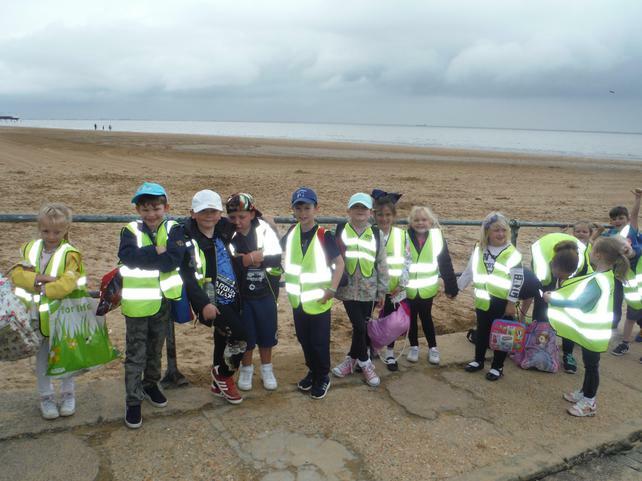 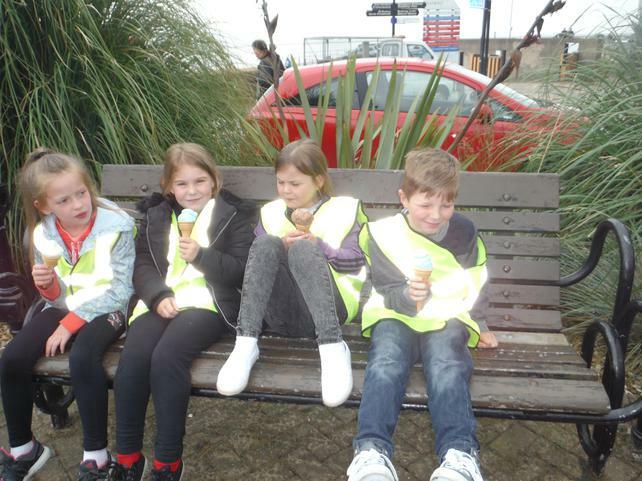 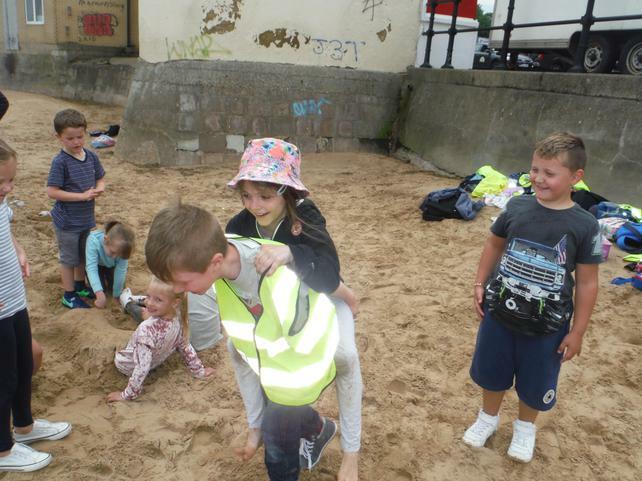 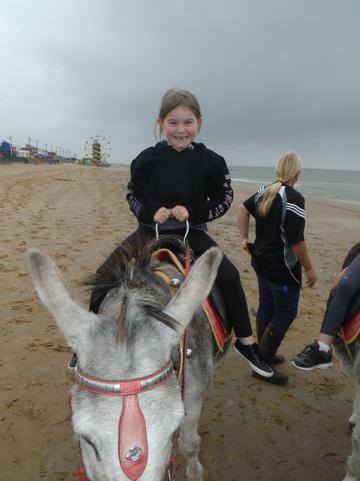 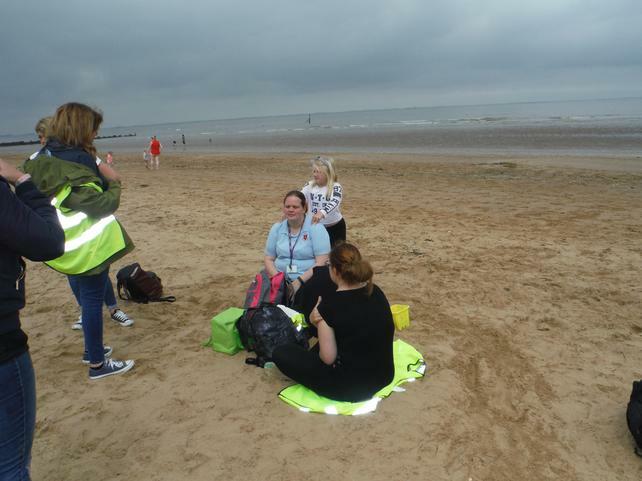 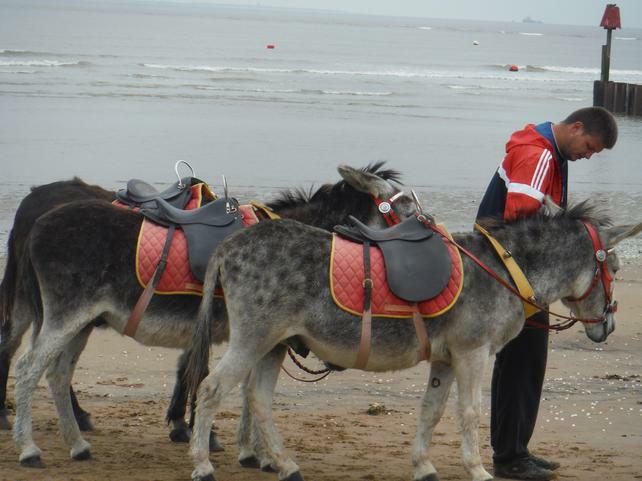 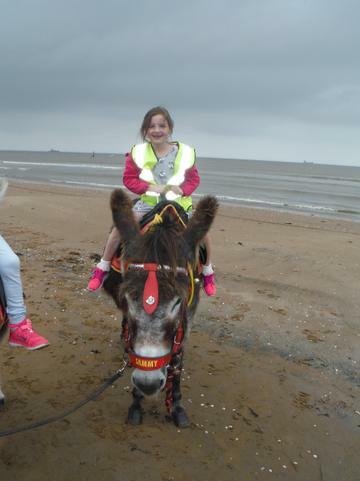 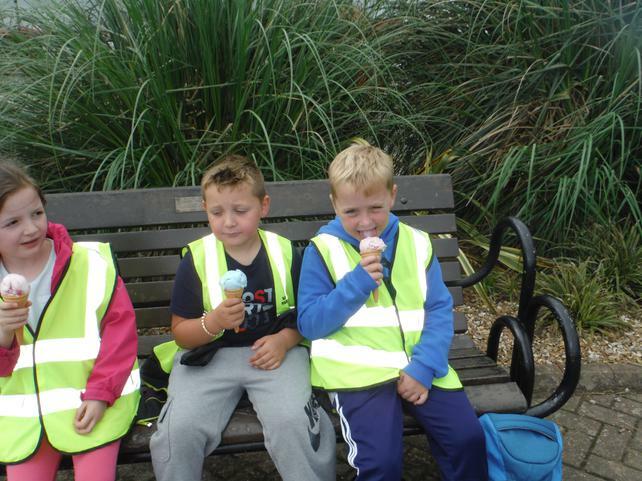 Take a look at our pictures to see all the exciting things that we got up to on our day at the seaside! 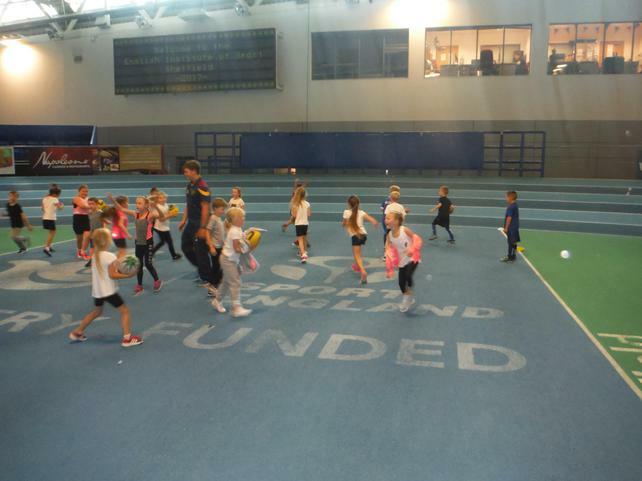 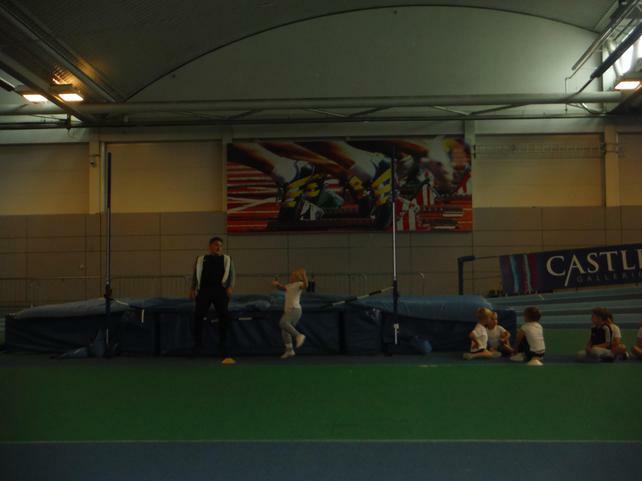 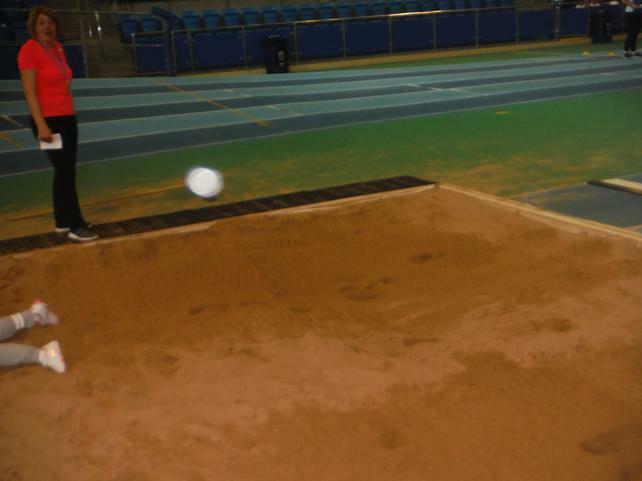 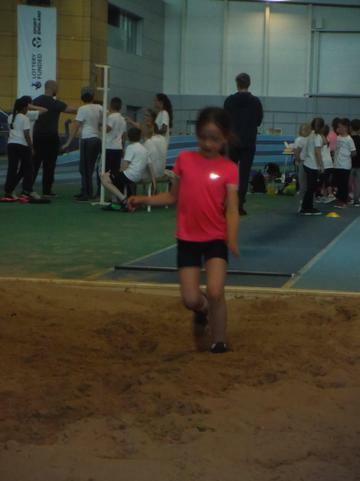 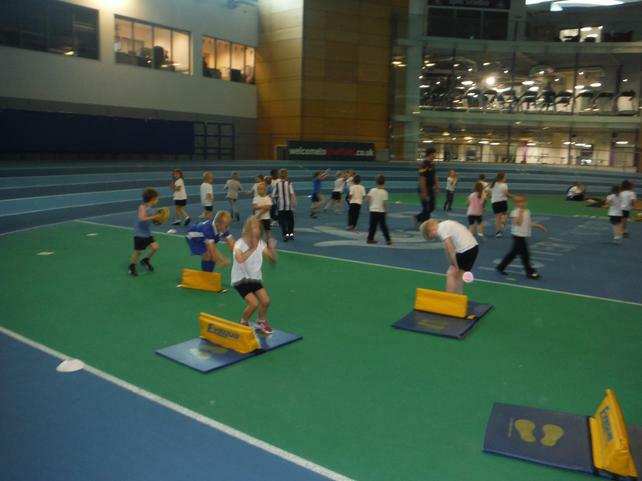 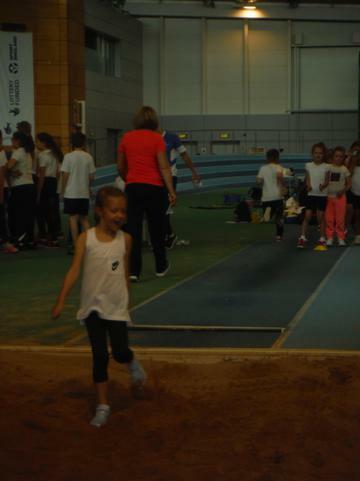 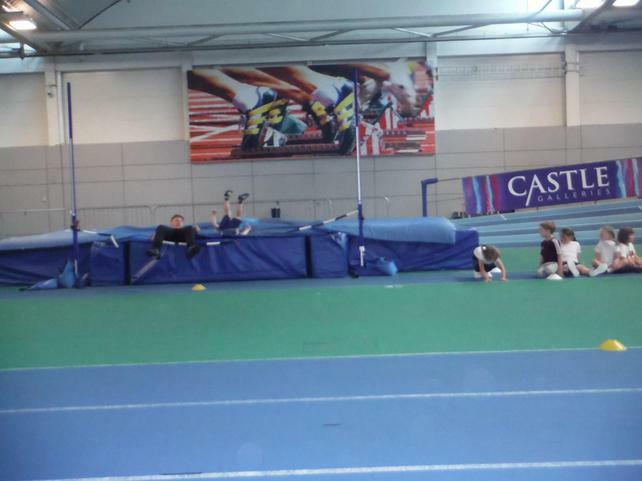 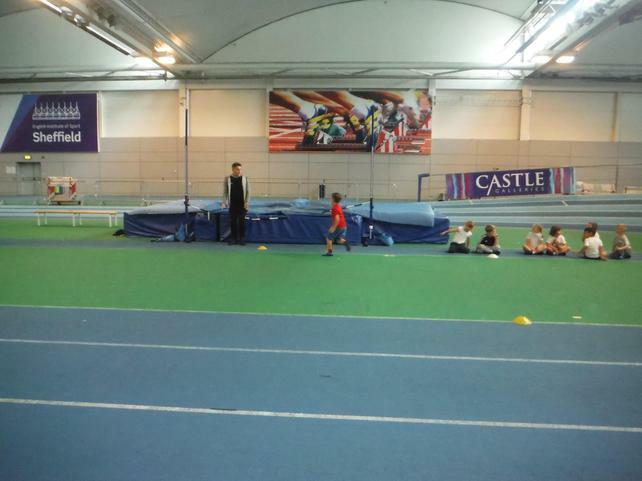 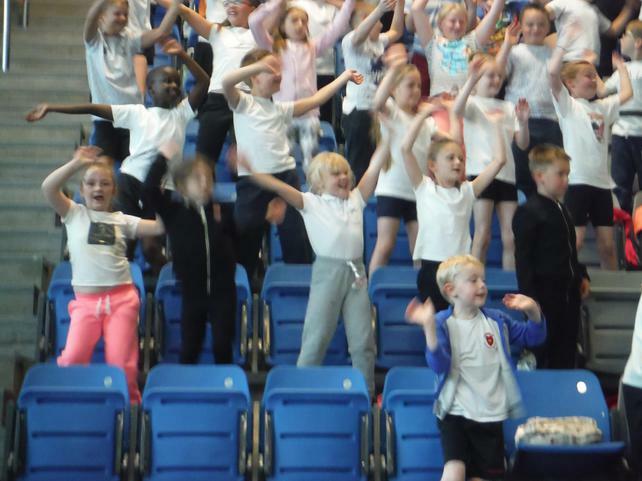 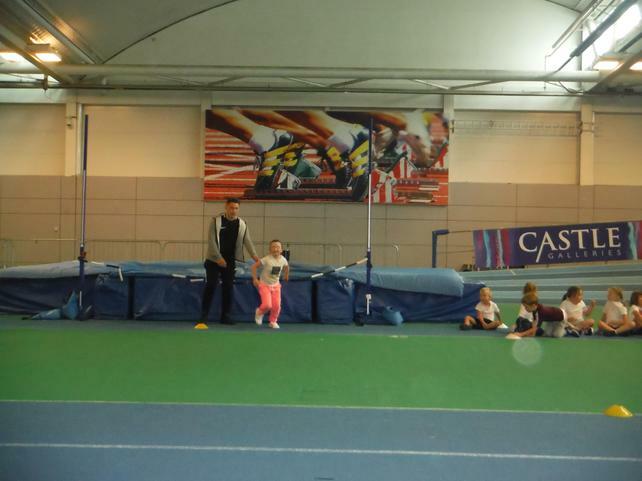 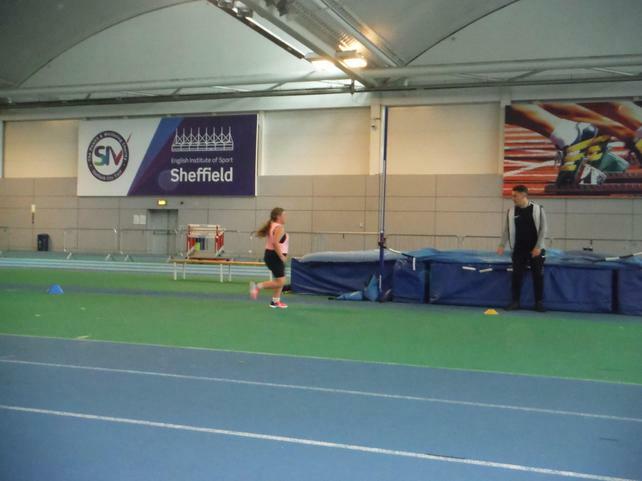 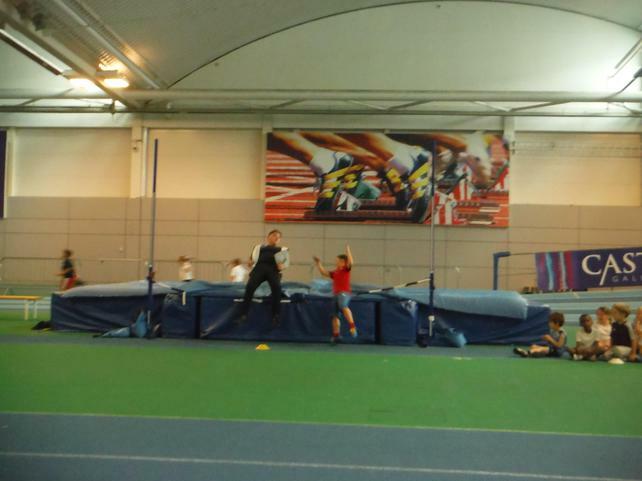 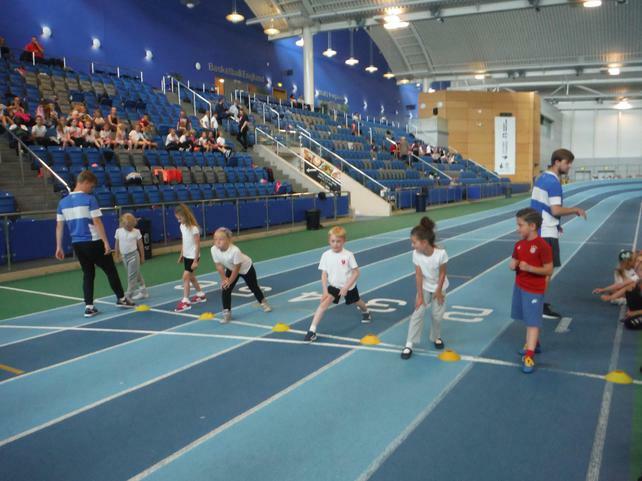 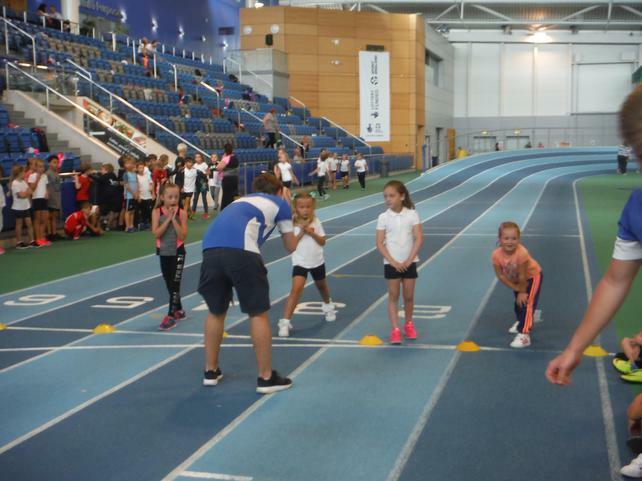 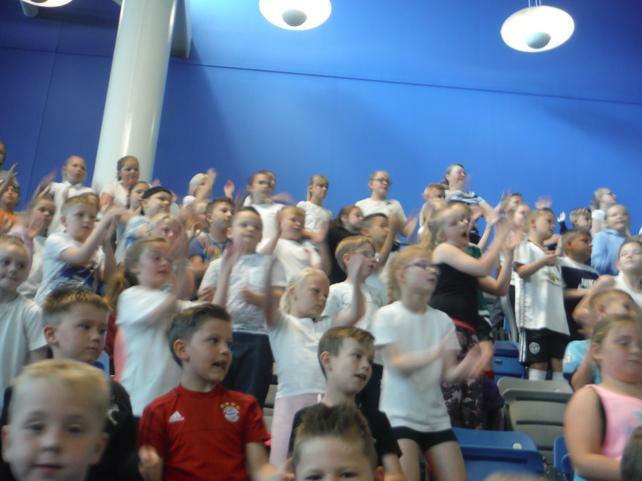 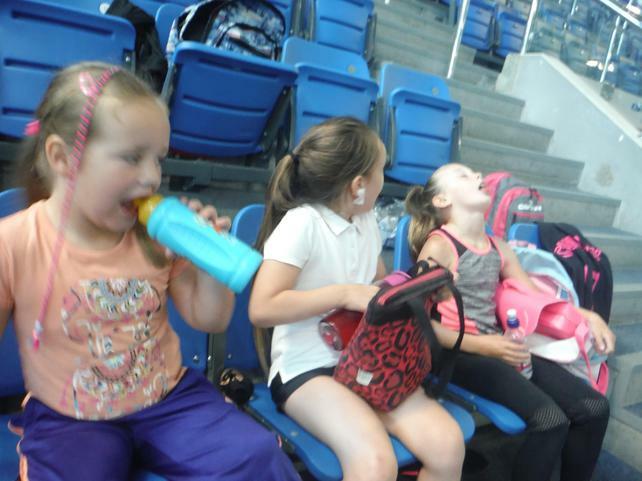 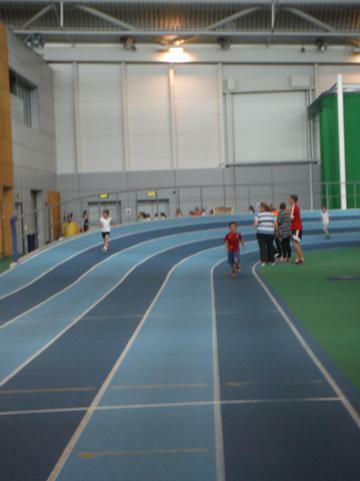 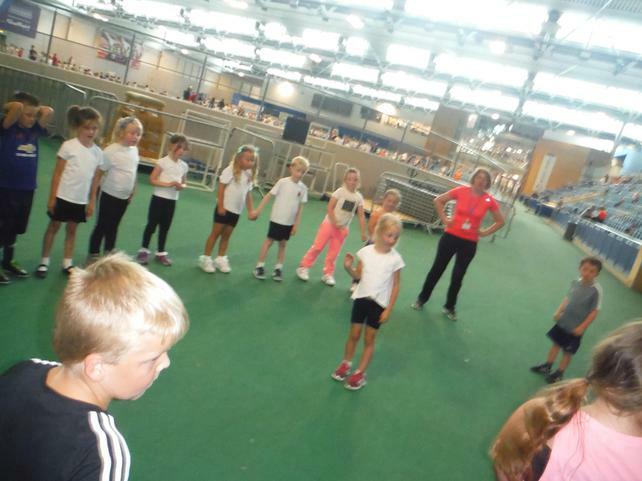 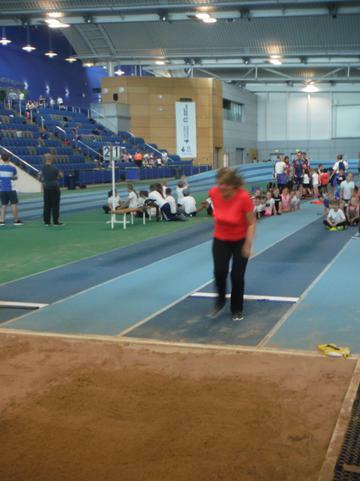 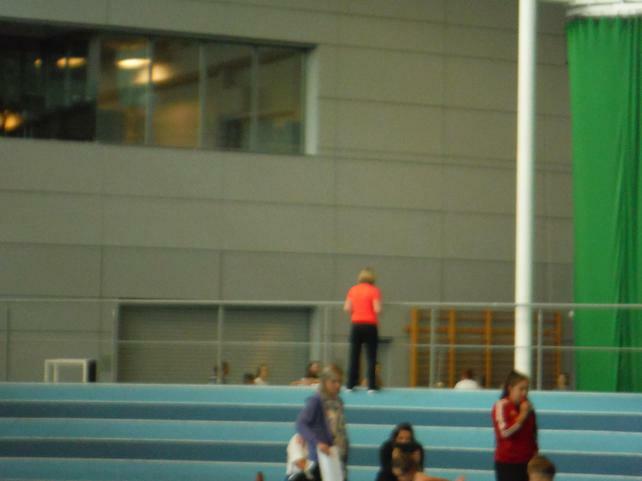 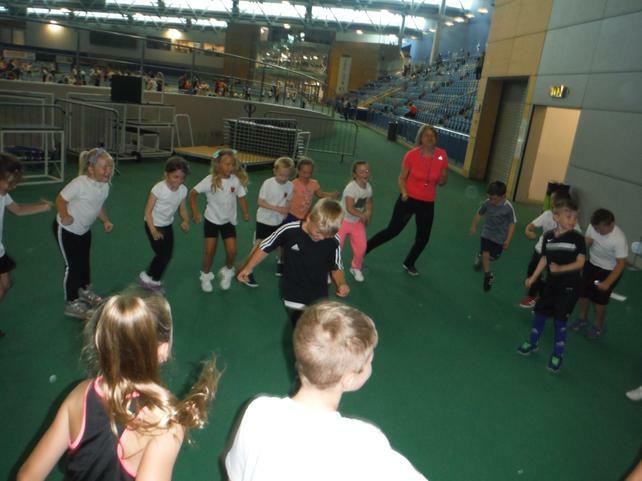 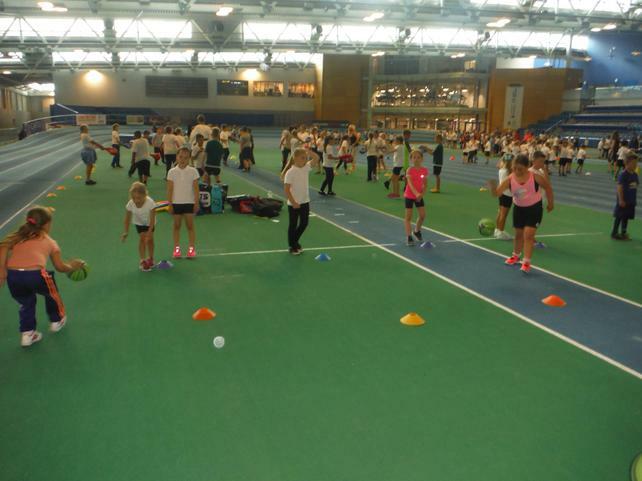 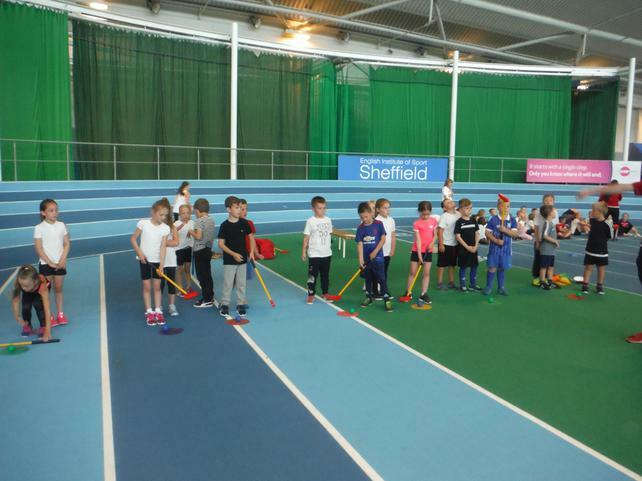 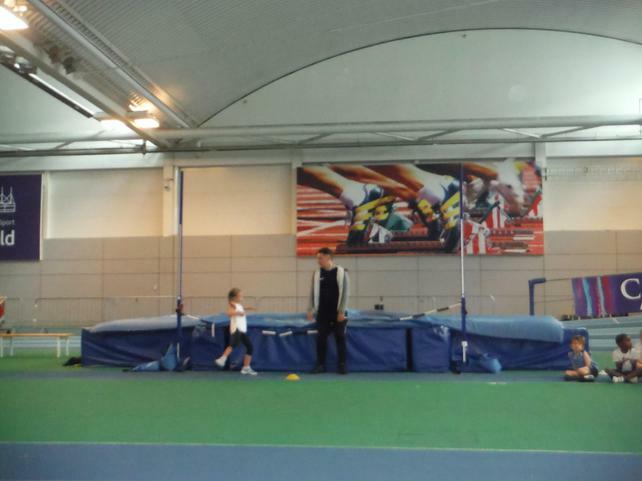 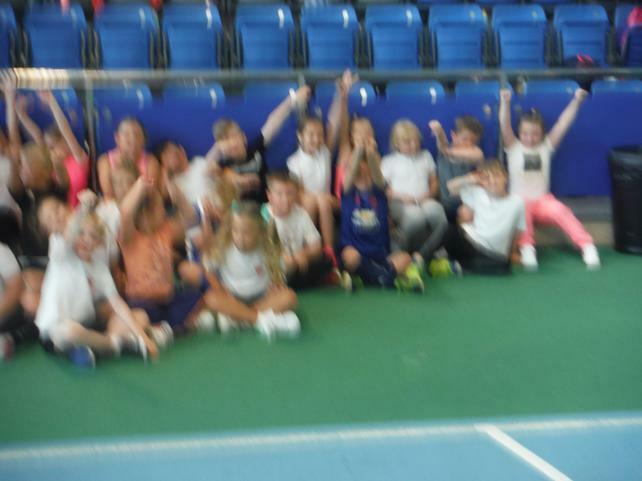 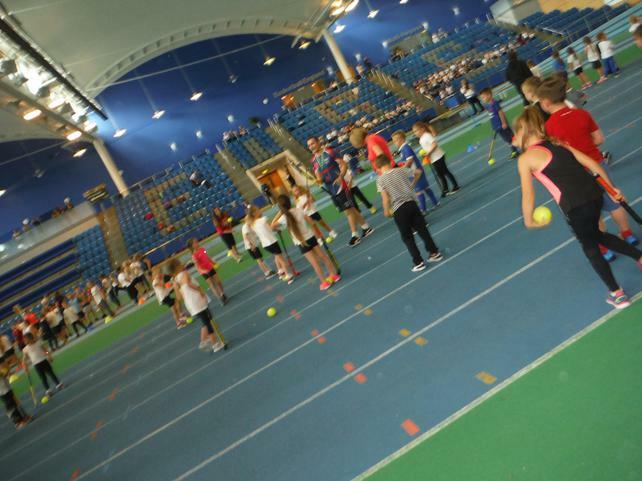 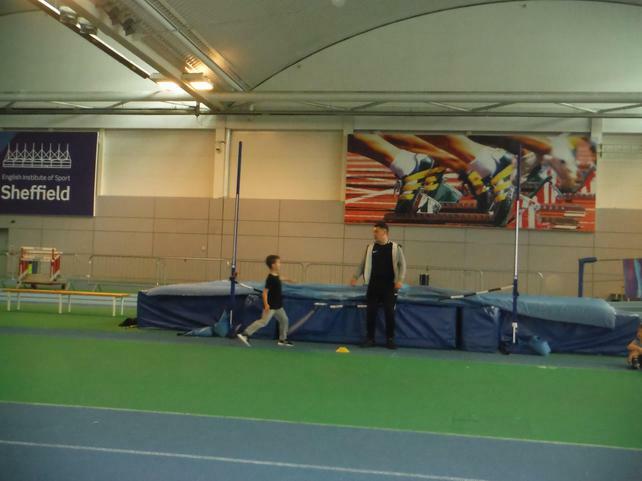 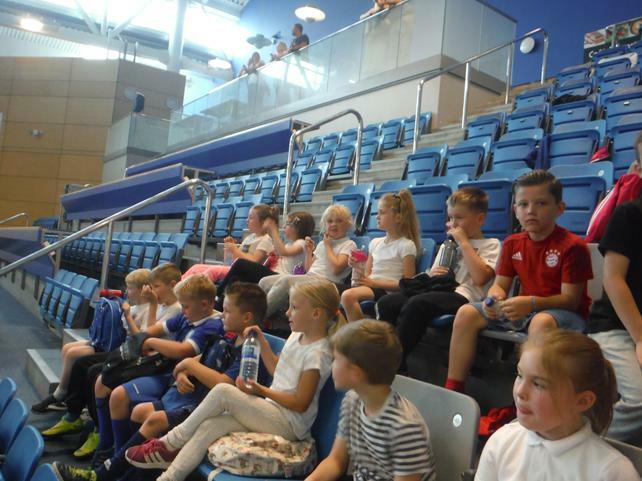 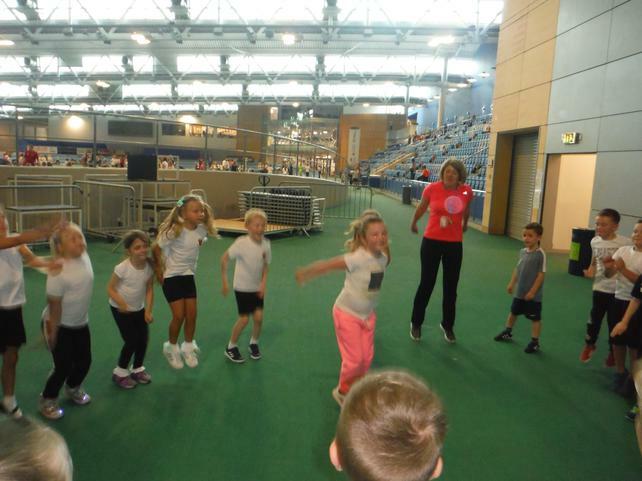 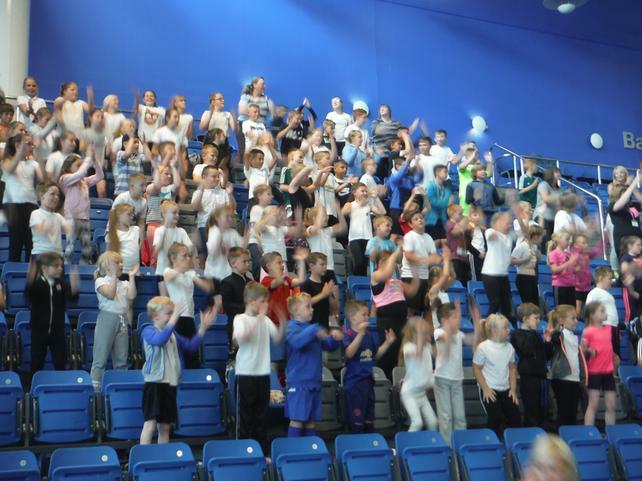 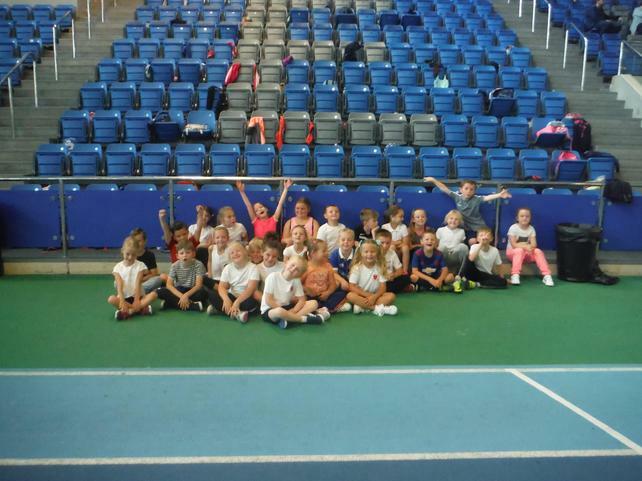 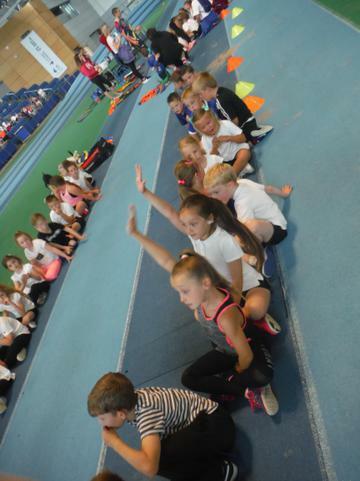 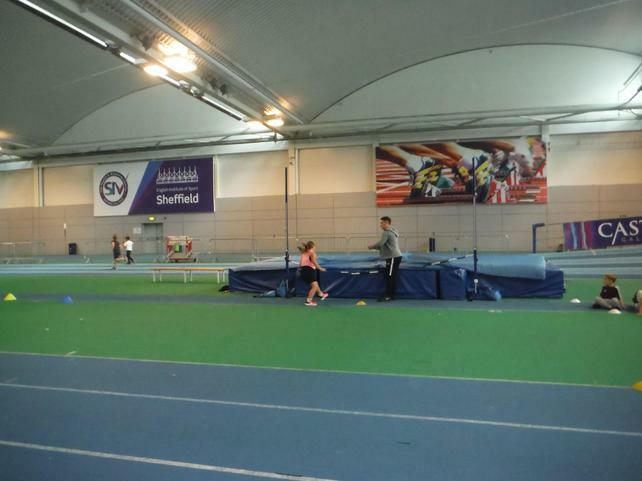 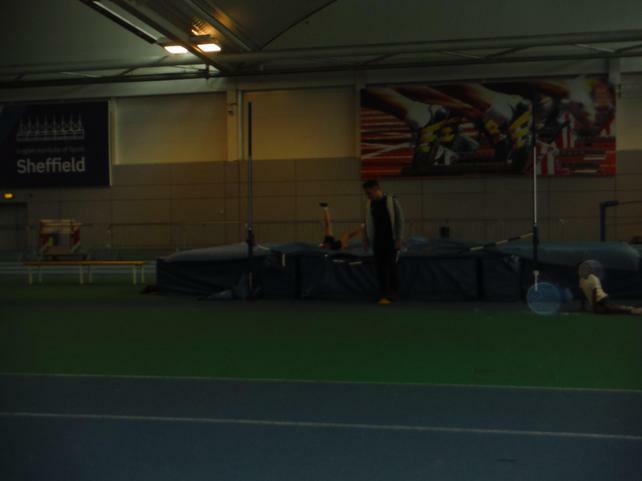 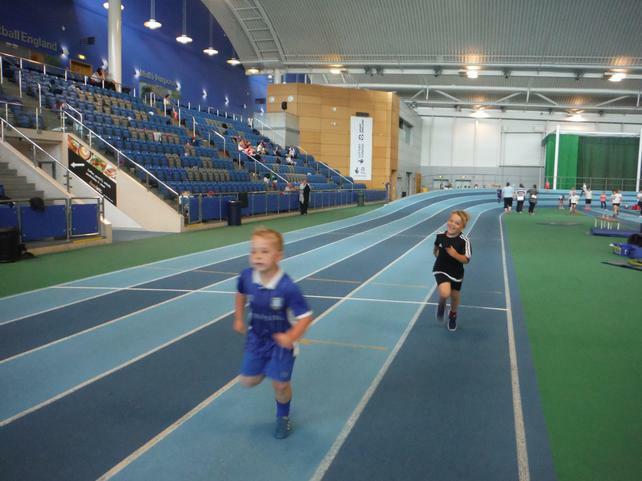 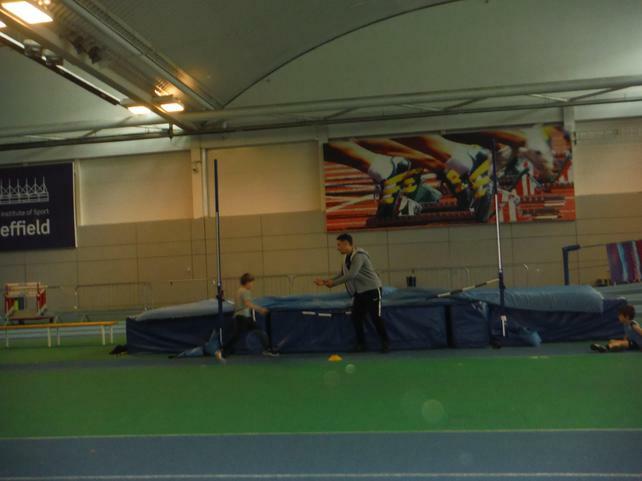 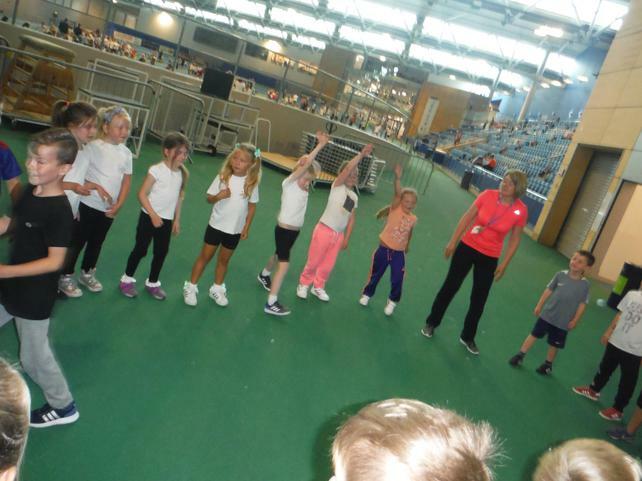 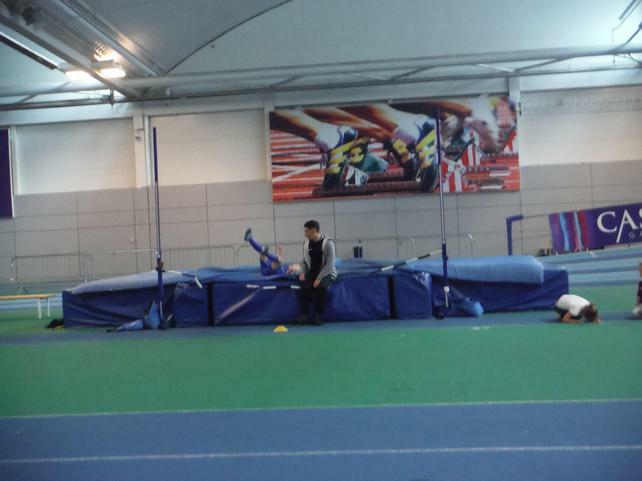 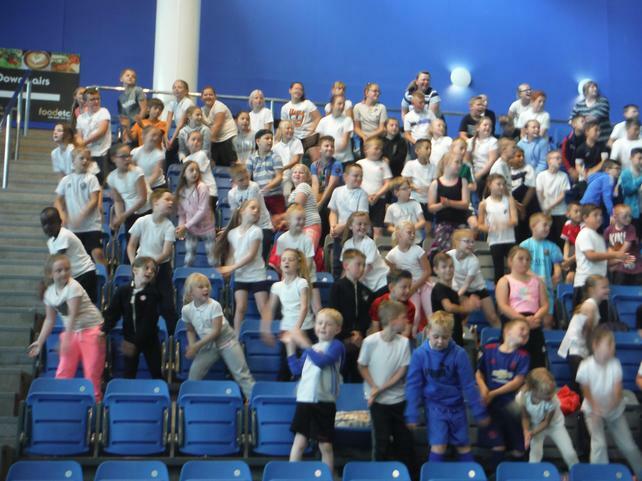 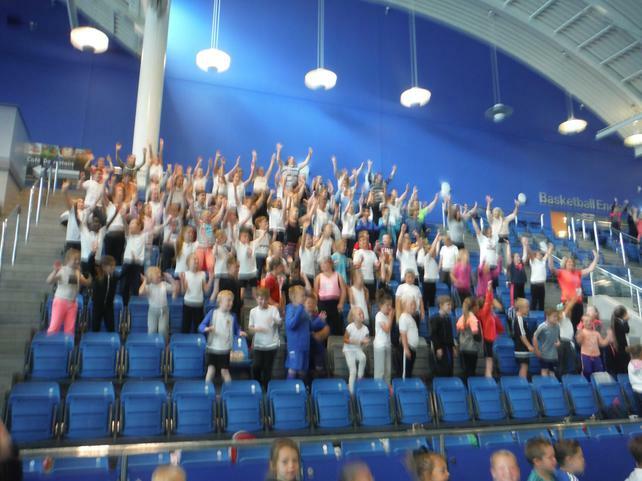 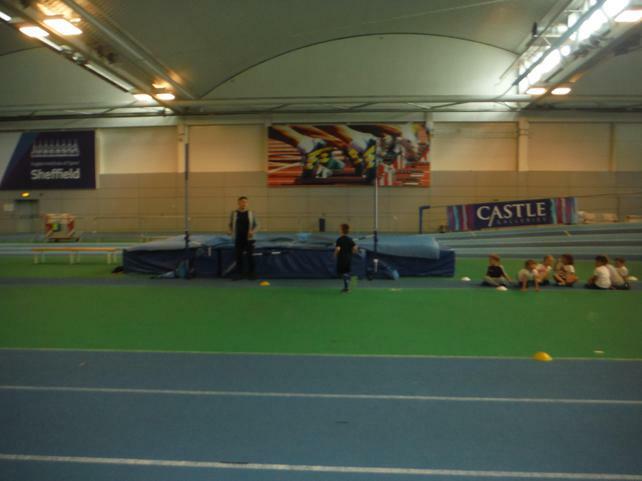 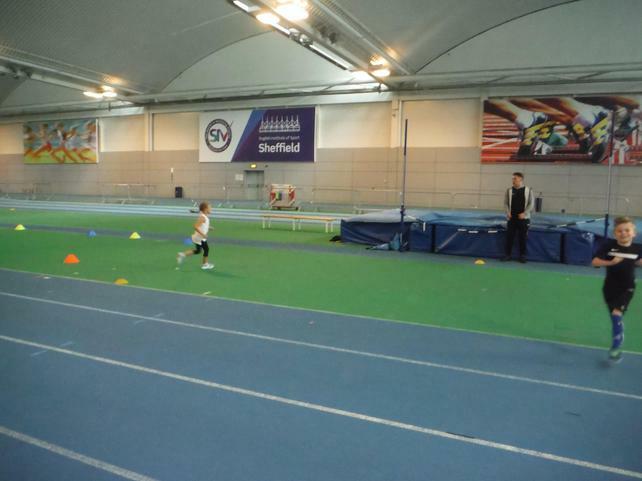 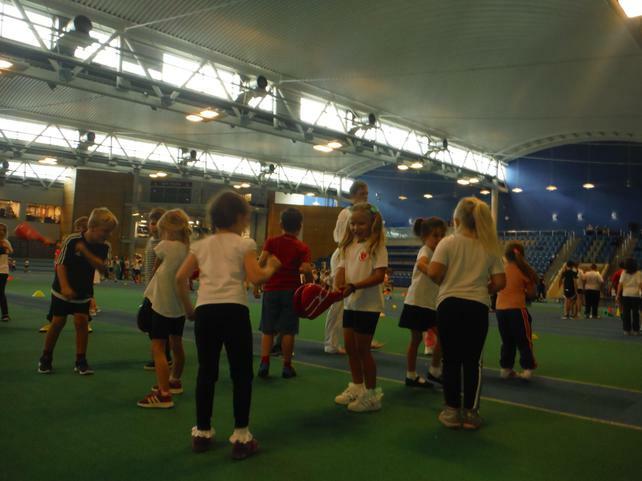 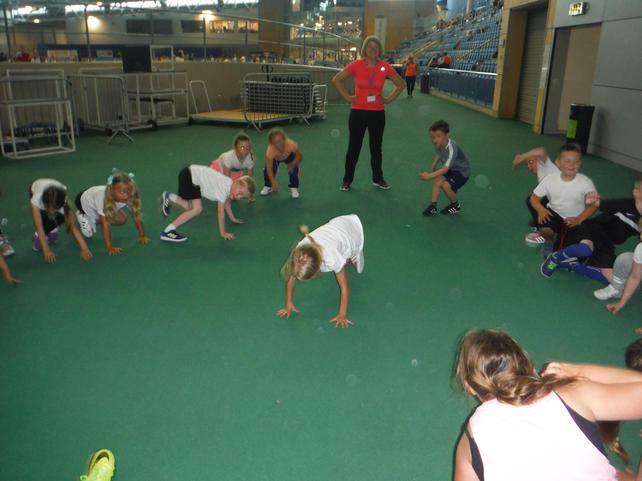 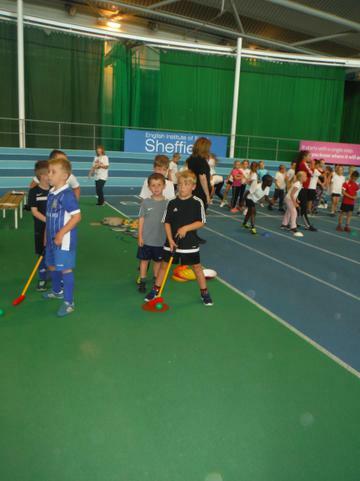 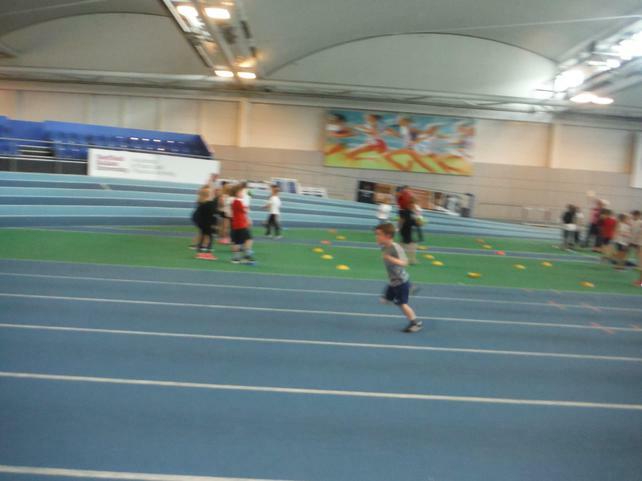 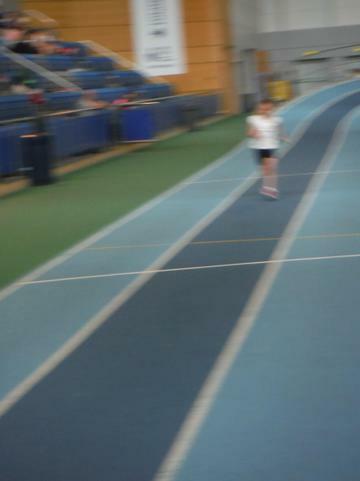 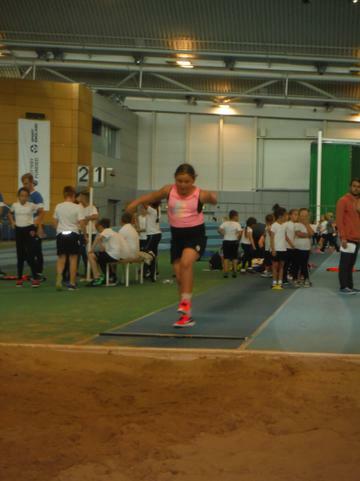 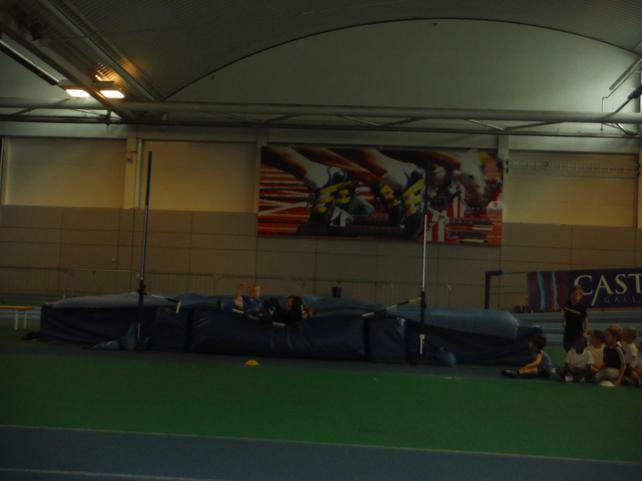 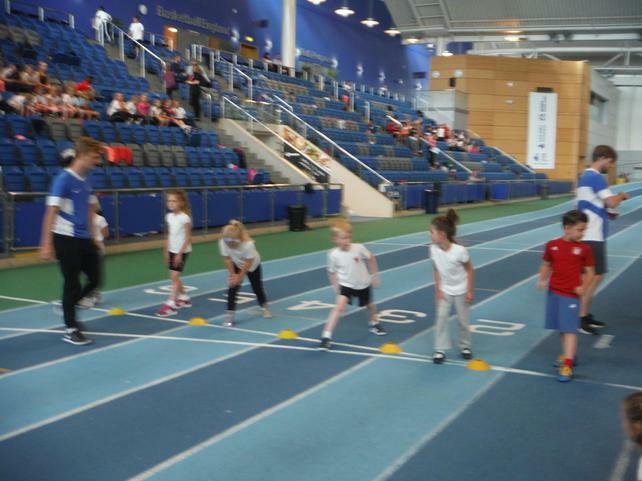 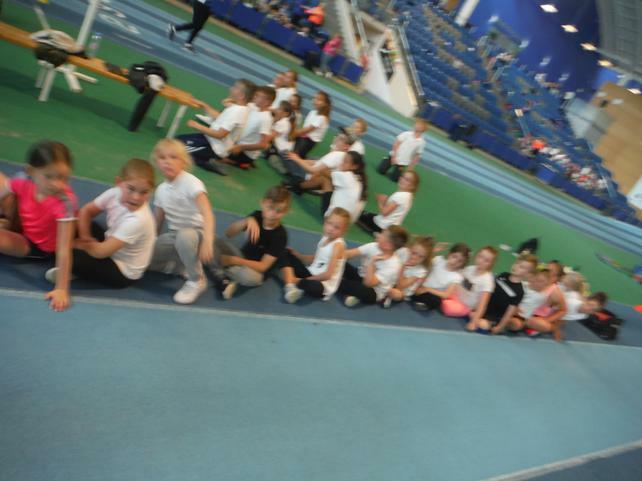 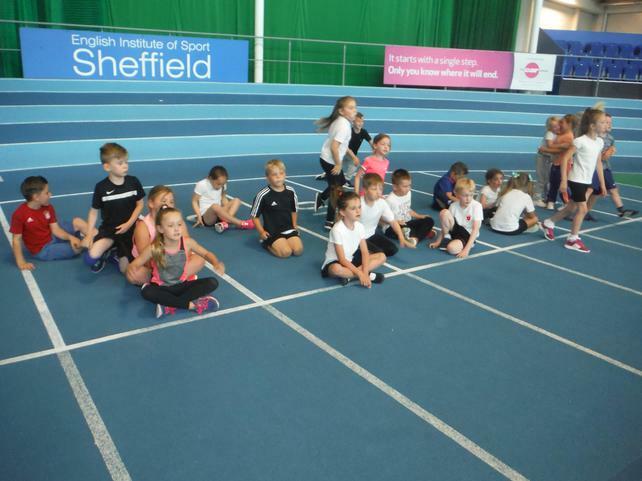 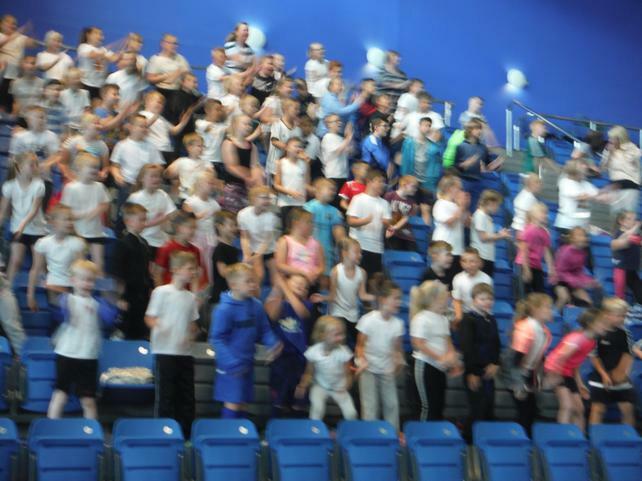 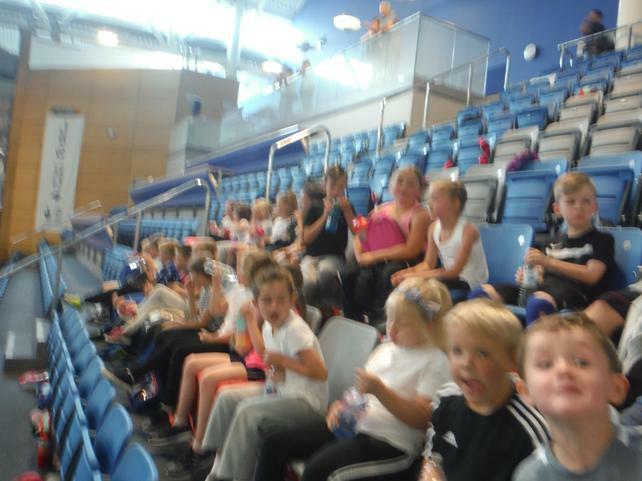 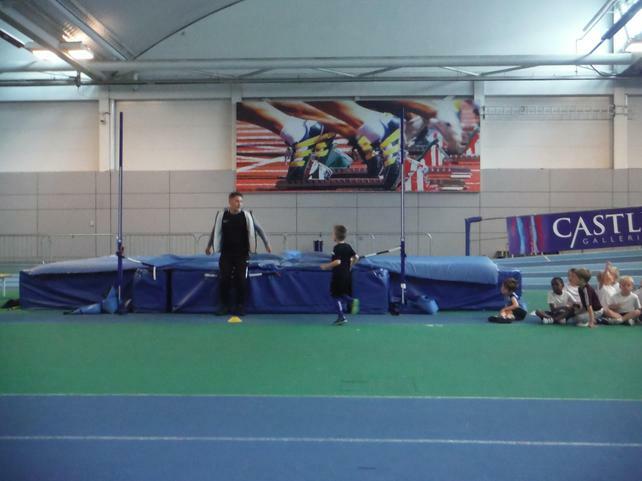 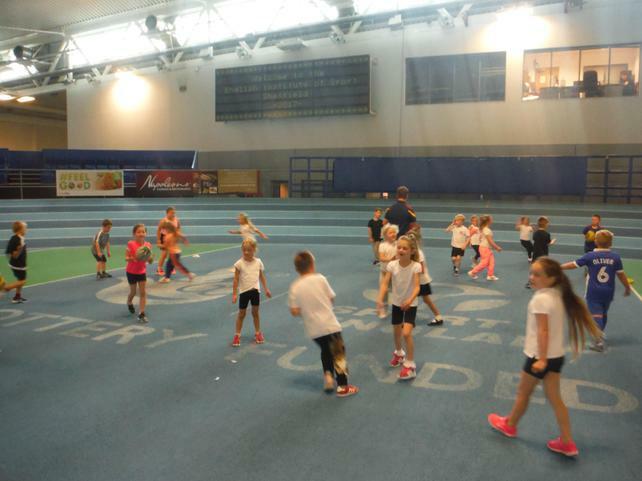 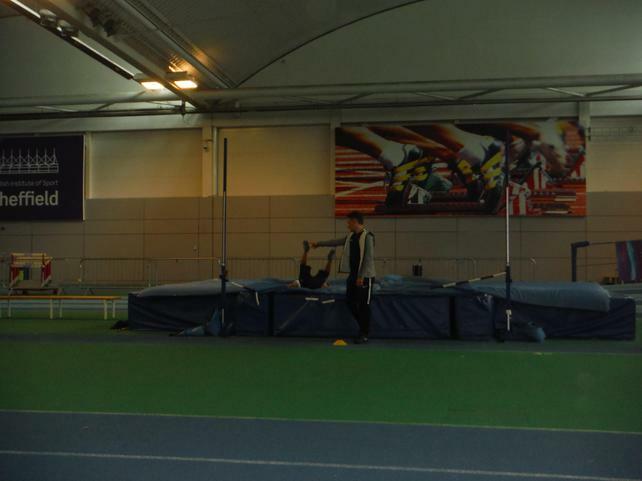 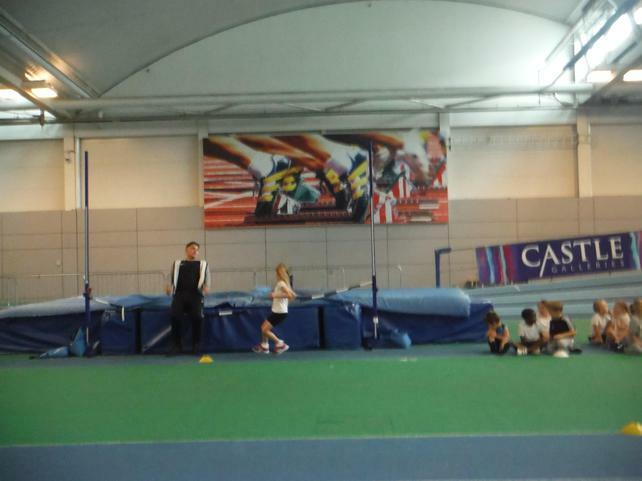 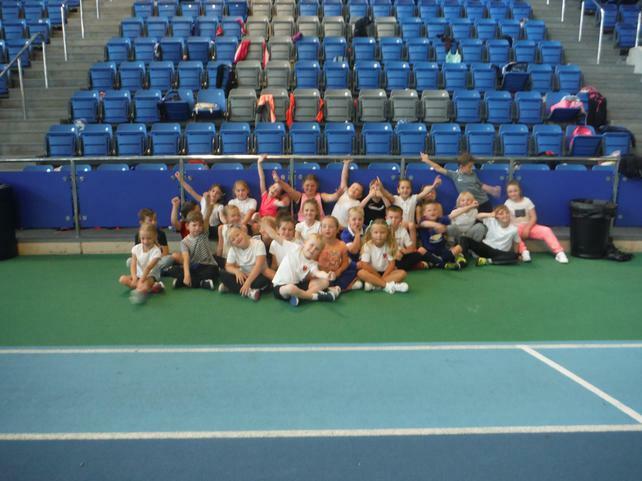 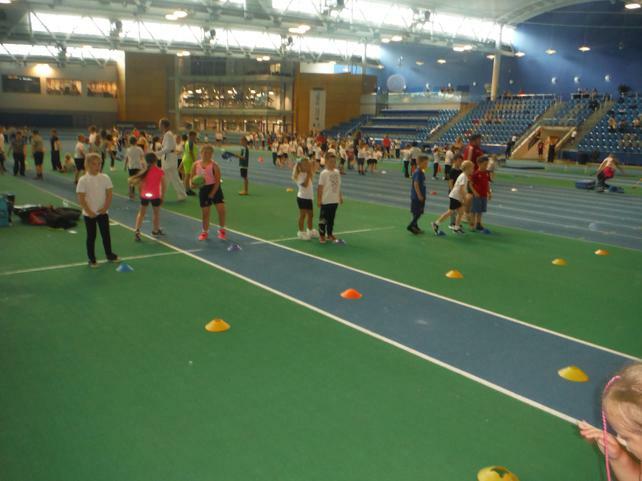 We have had a very busy week this week completing it with a wonderful day at the EIS arena. 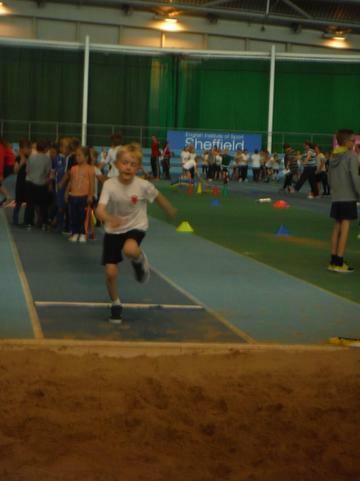 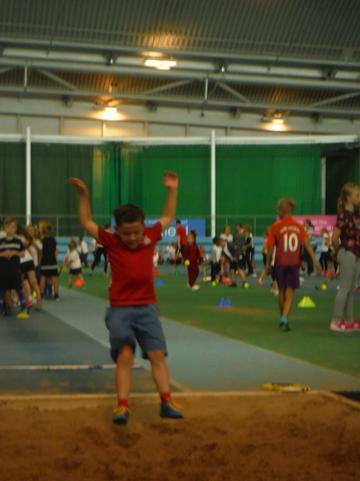 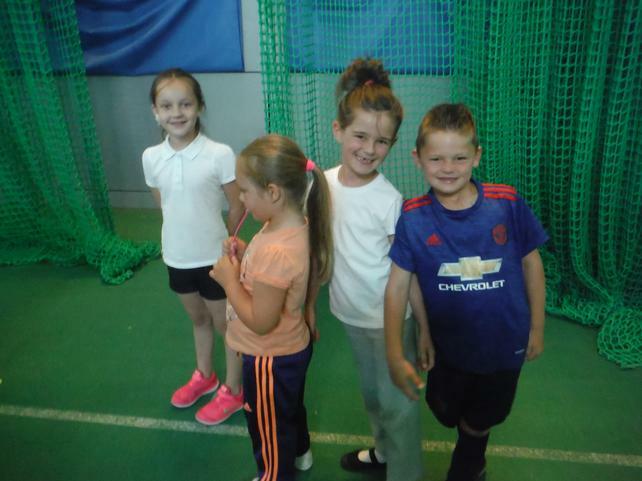 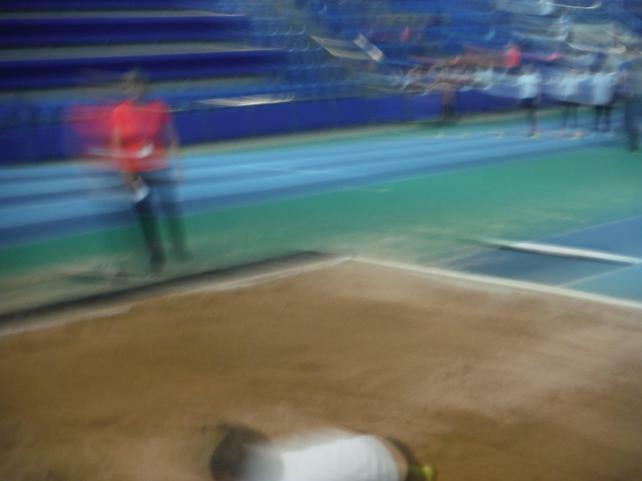 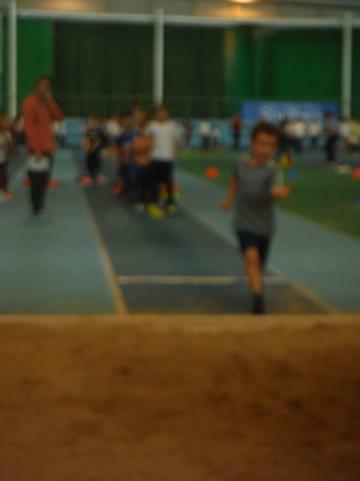 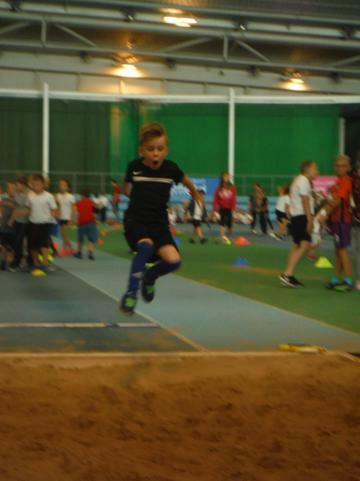 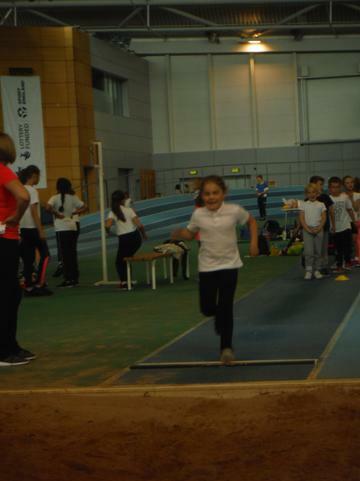 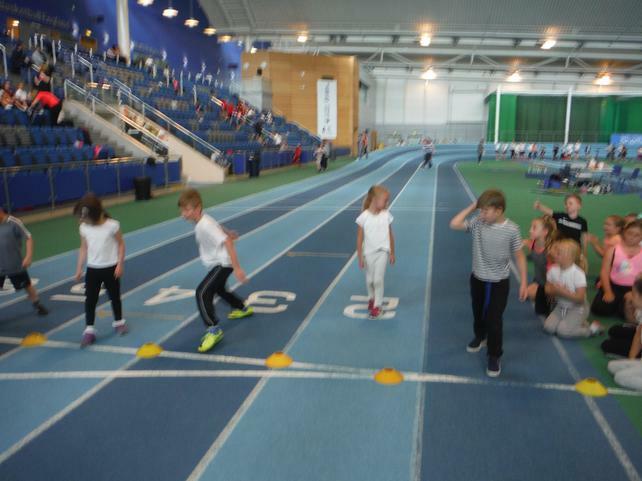 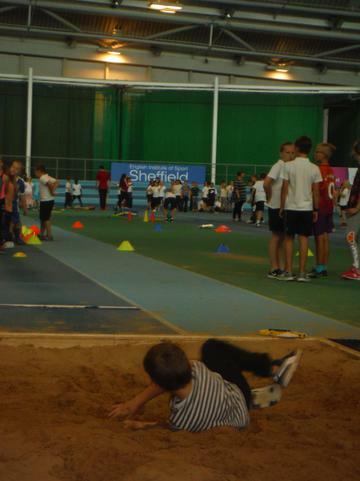 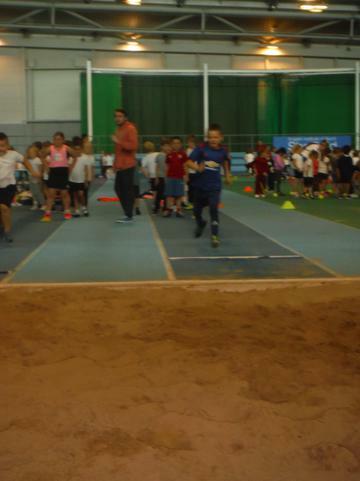 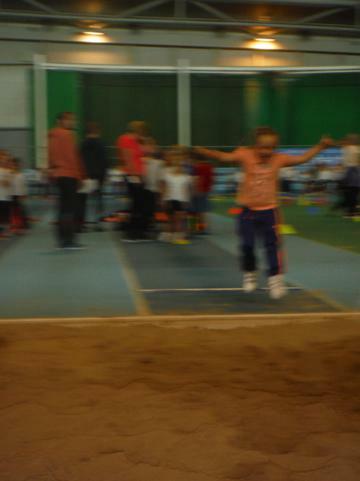 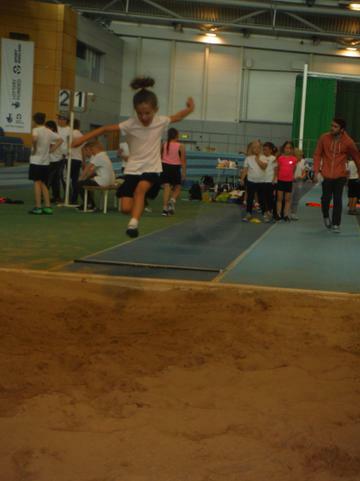 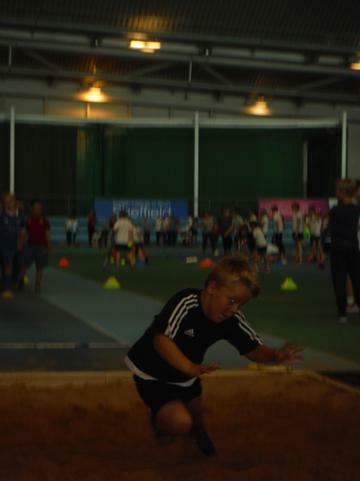 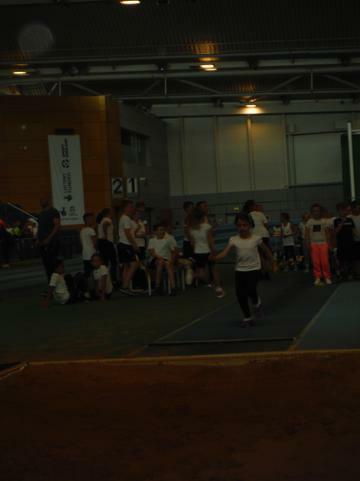 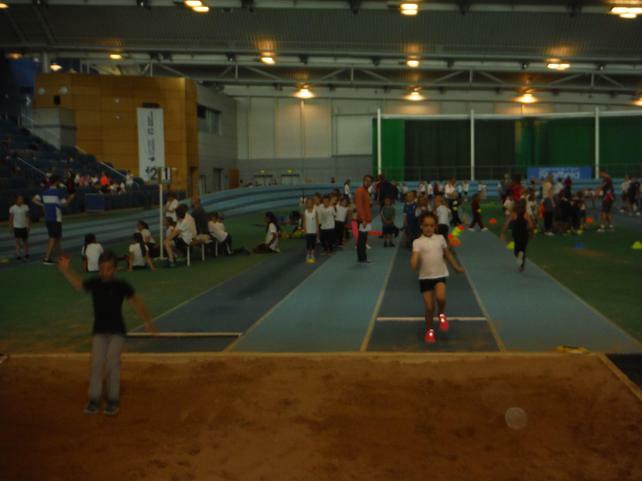 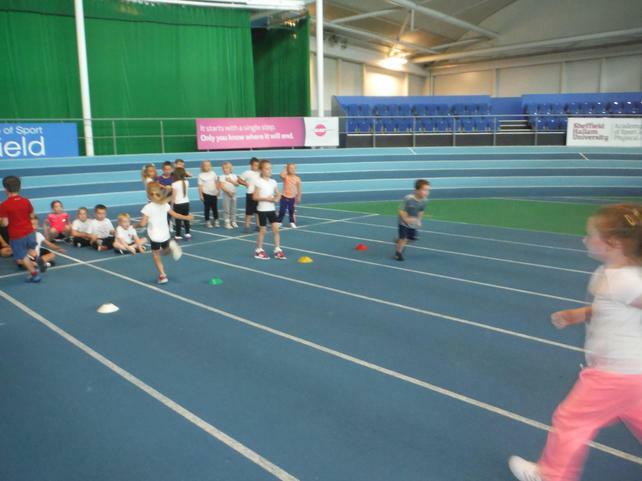 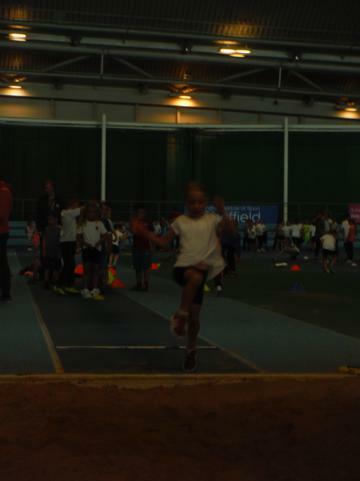 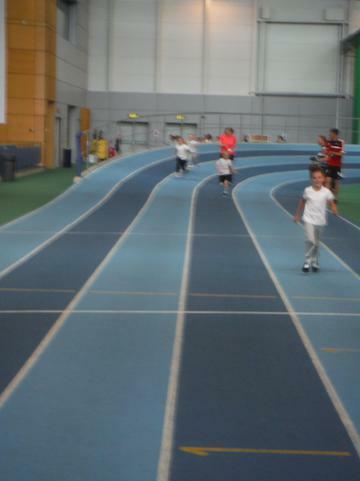 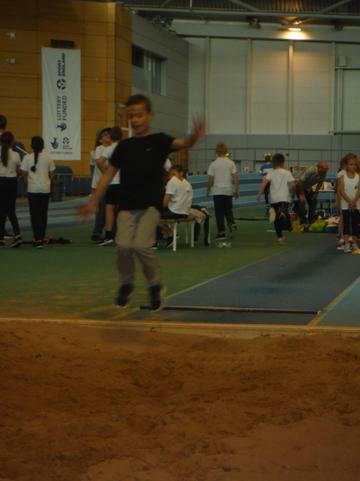 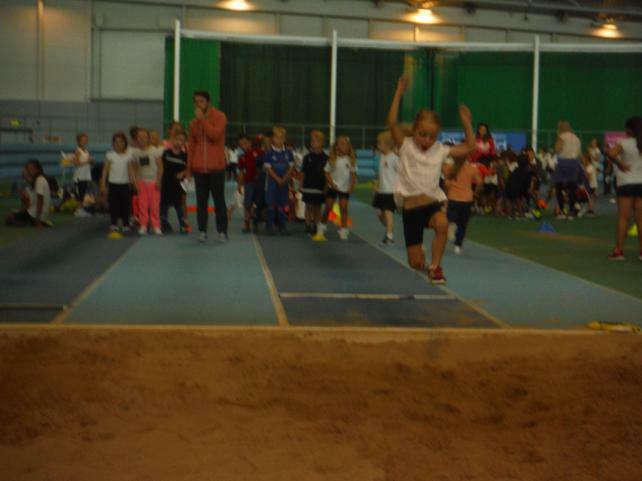 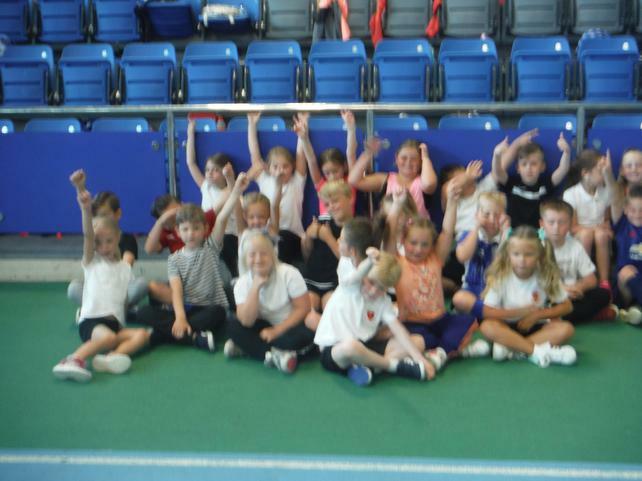 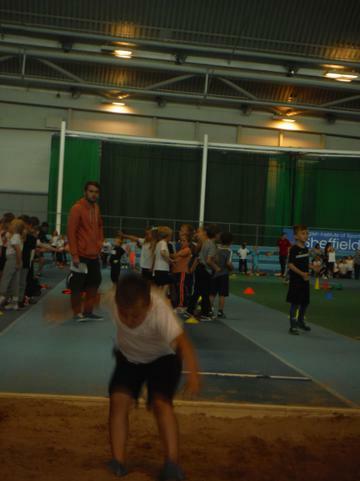 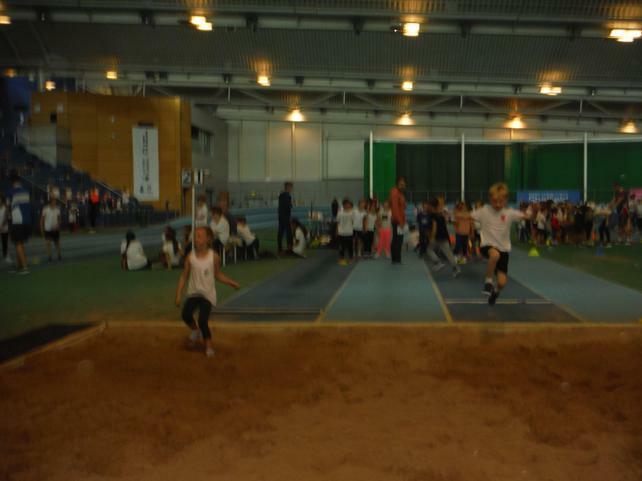 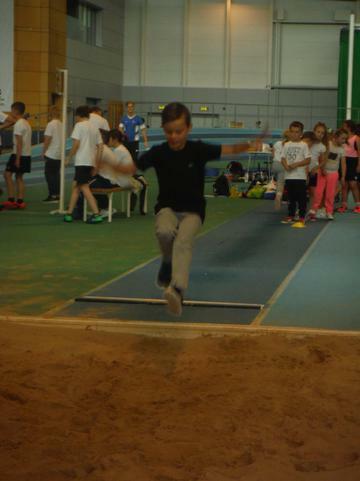 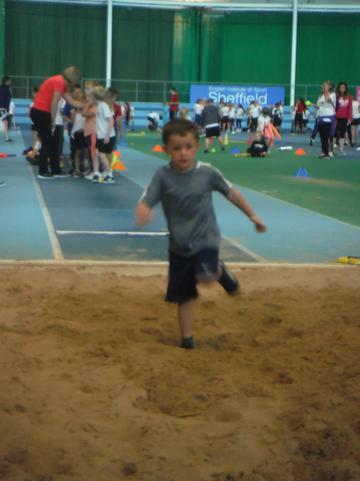 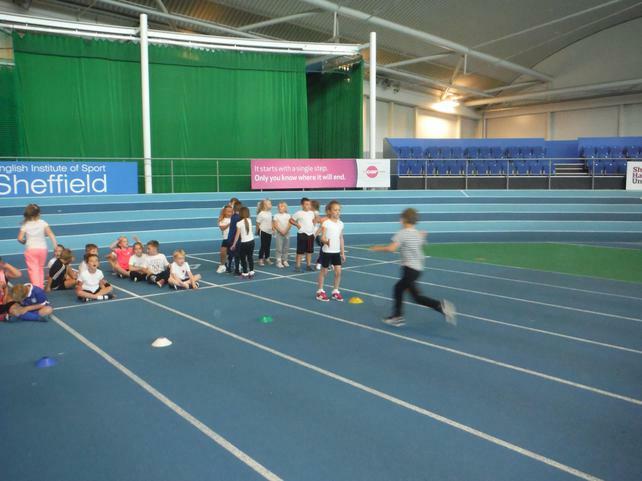 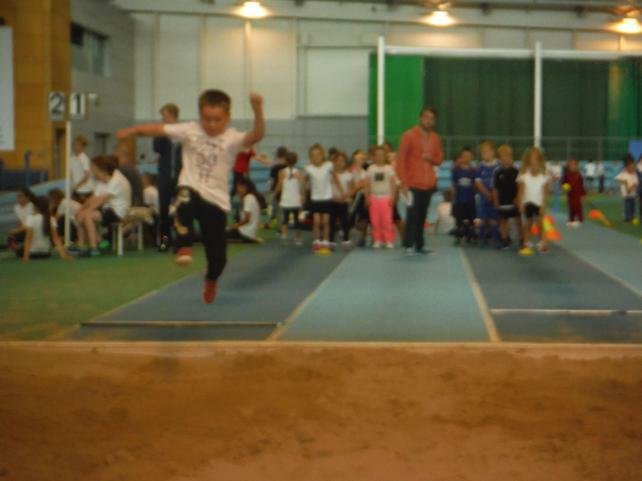 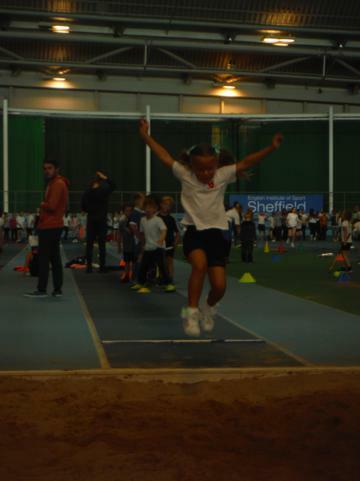 The children had an amazing day competing against each other and themselves. 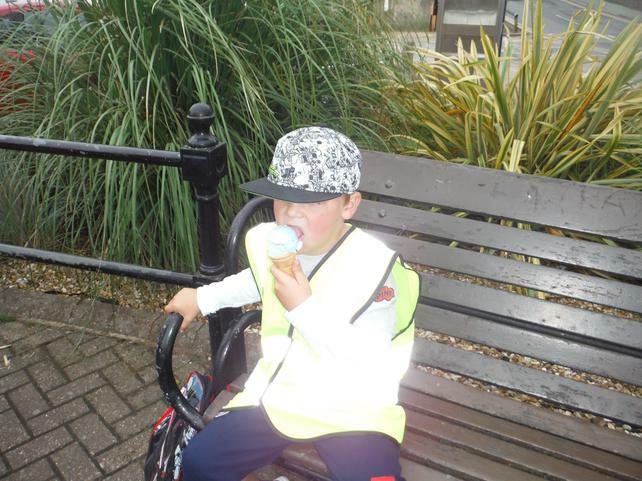 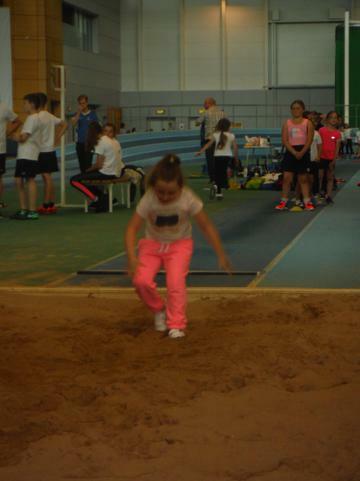 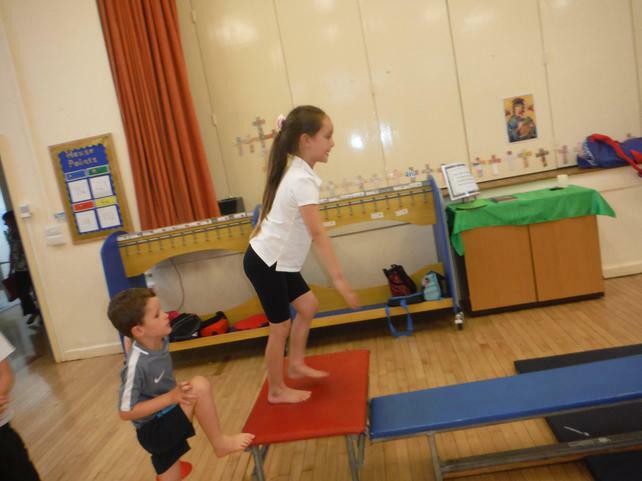 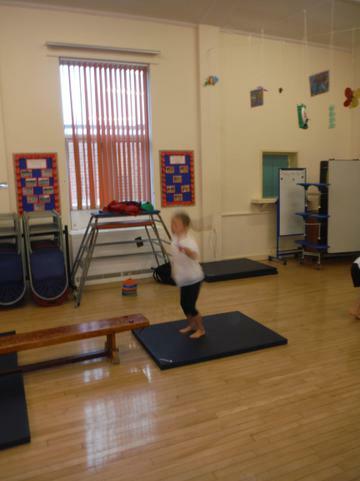 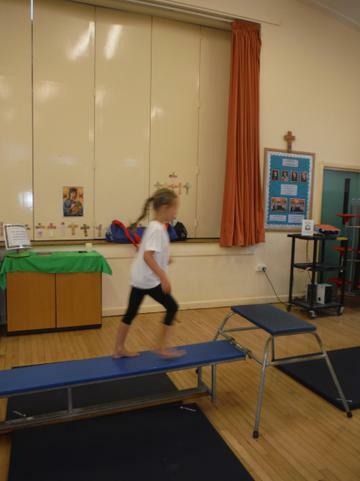 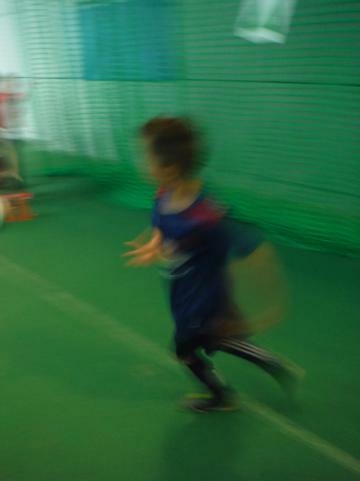 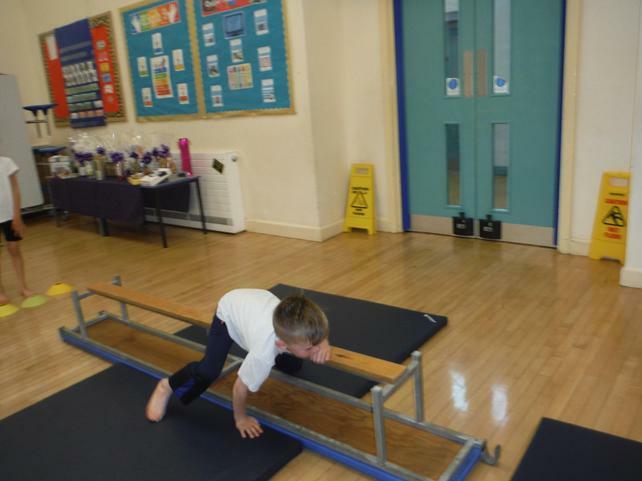 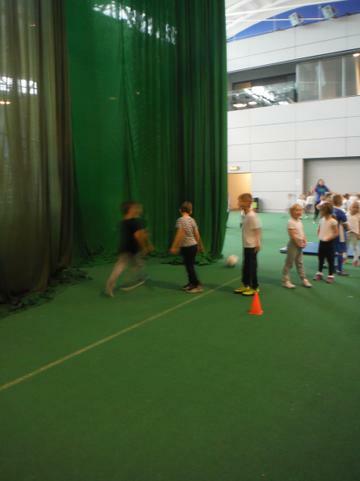 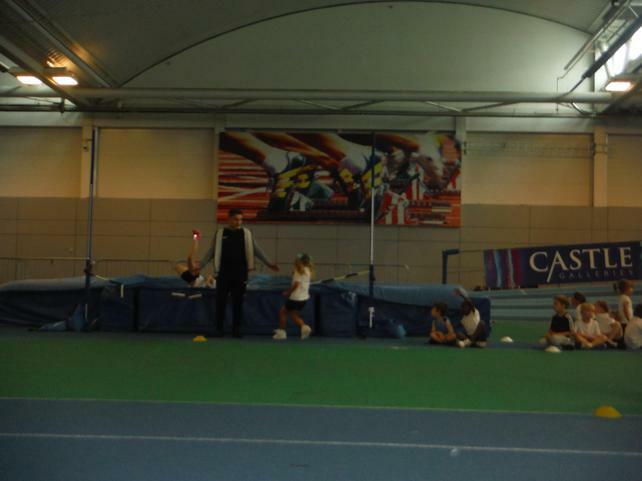 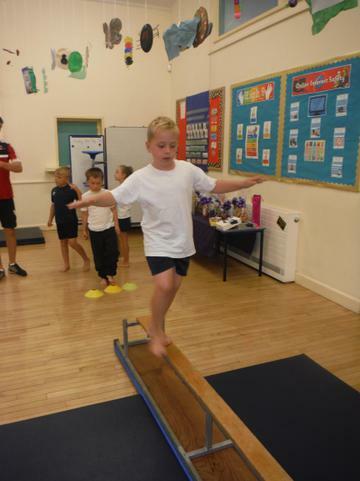 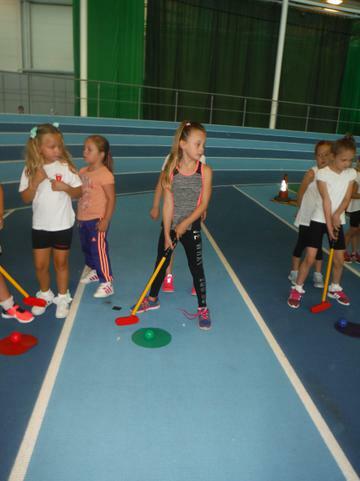 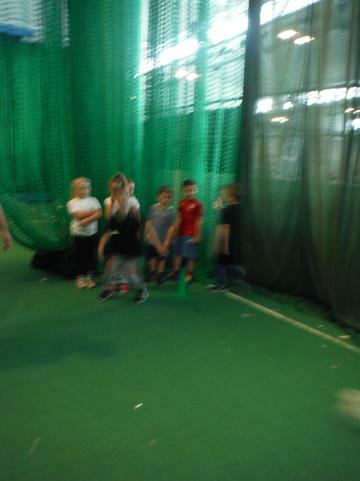 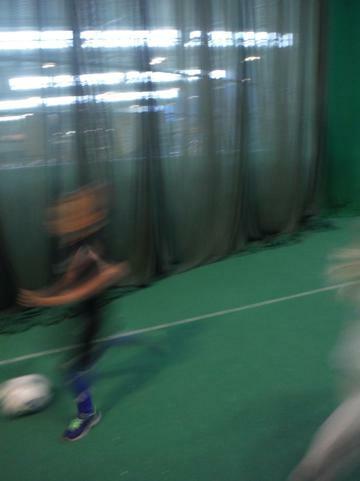 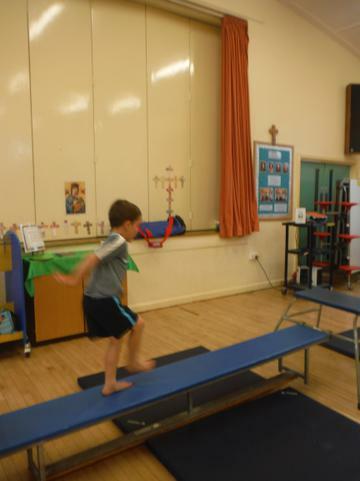 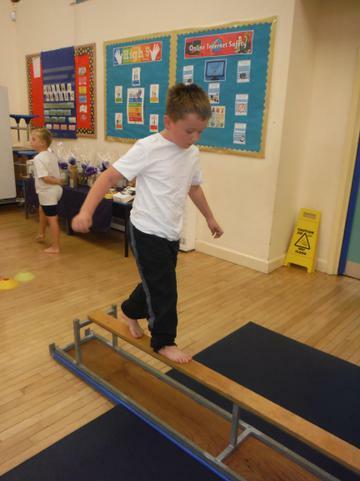 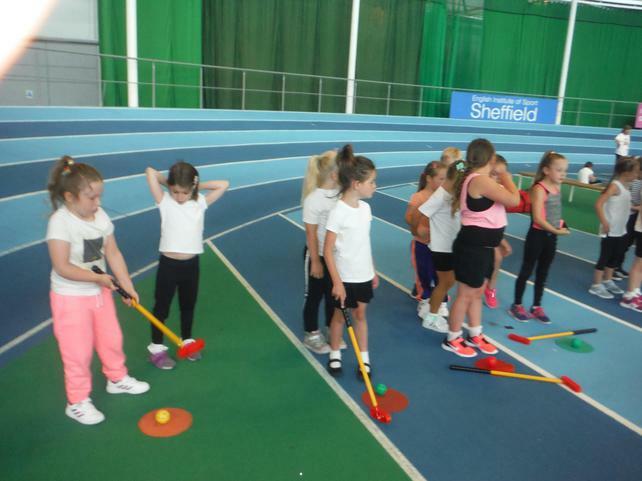 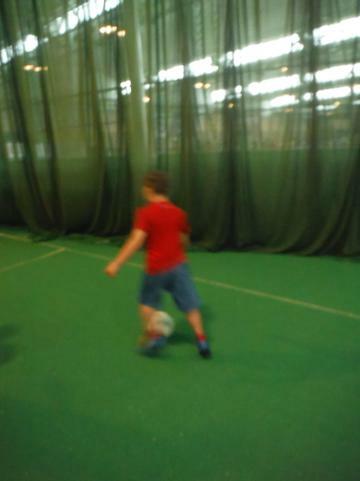 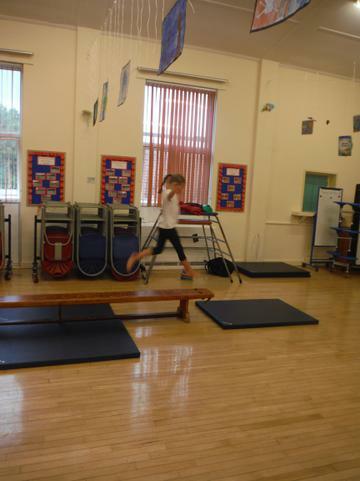 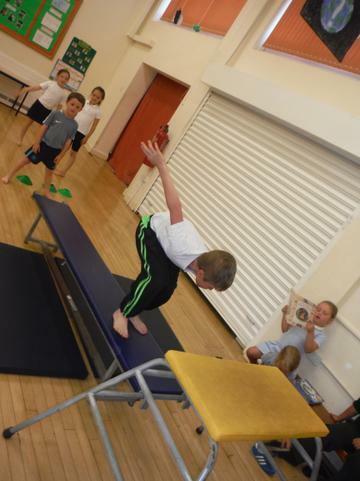 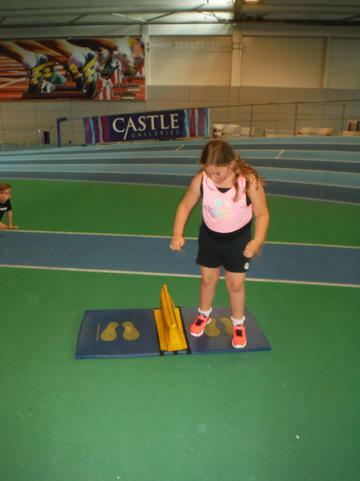 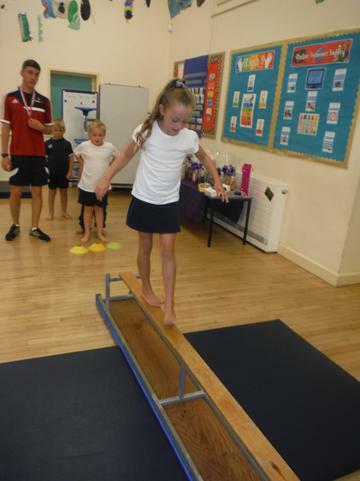 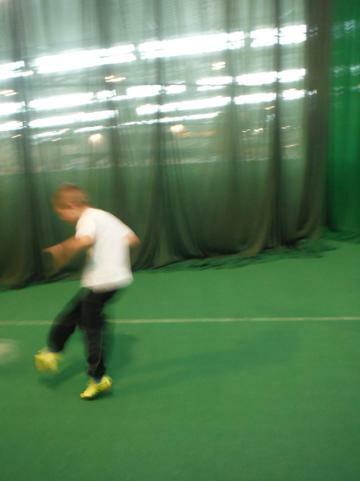 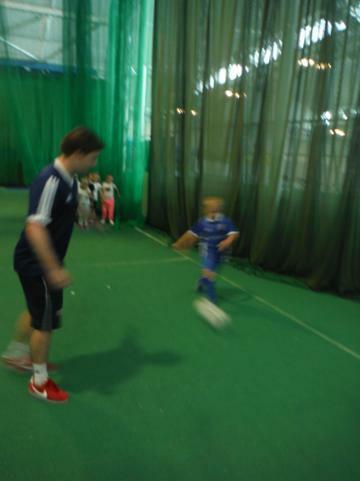 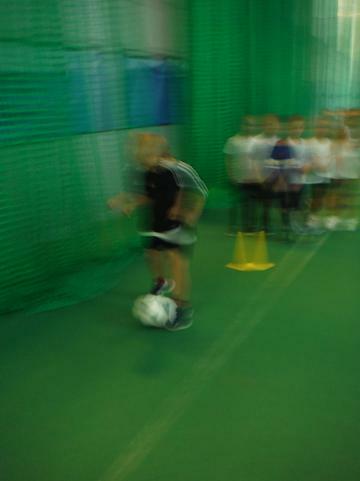 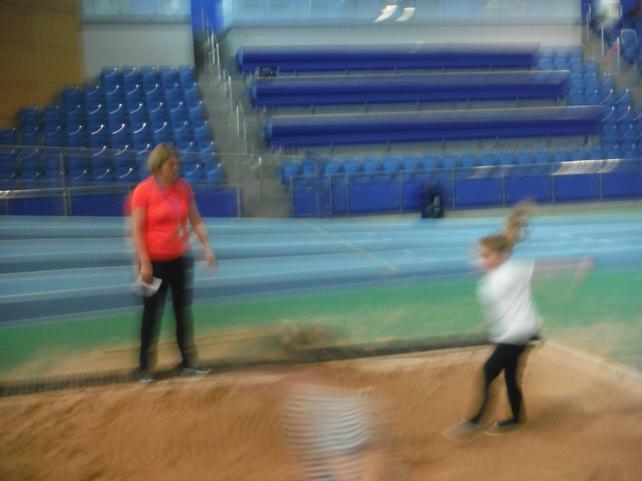 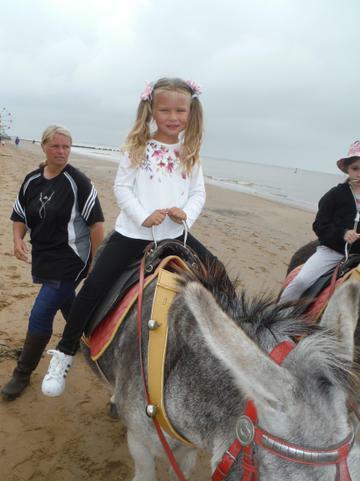 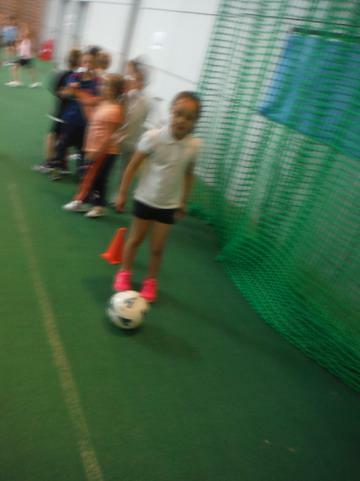 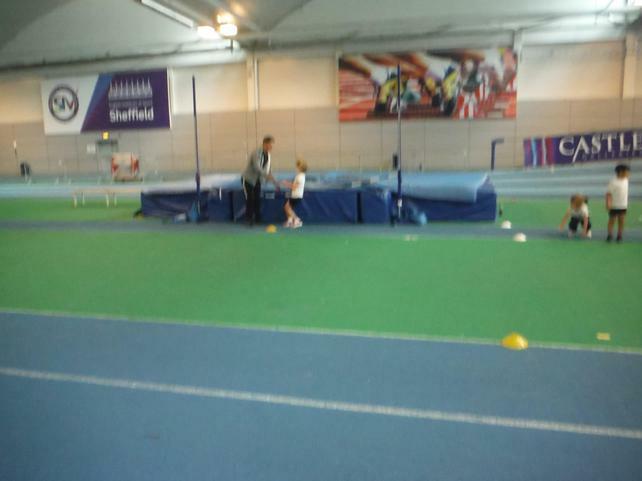 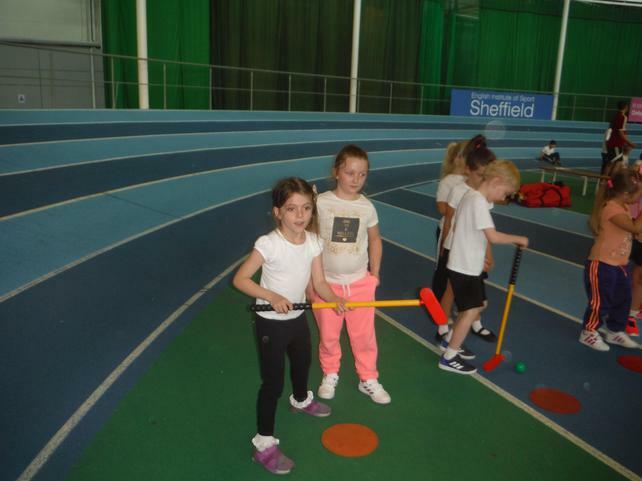 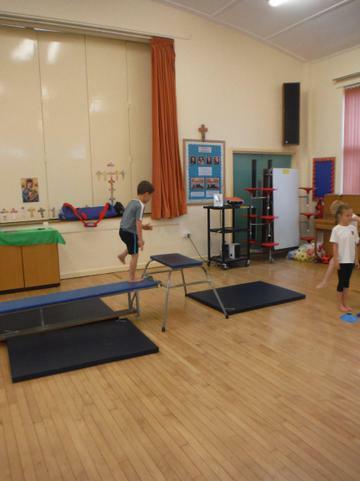 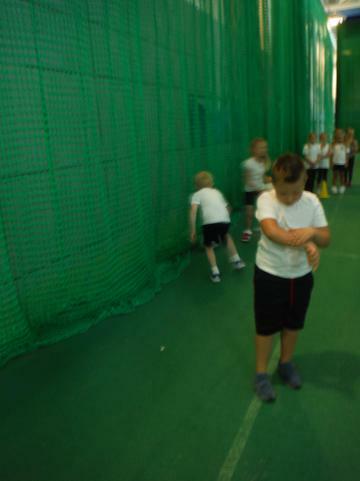 Some children even took part in activities that they had never tried before. 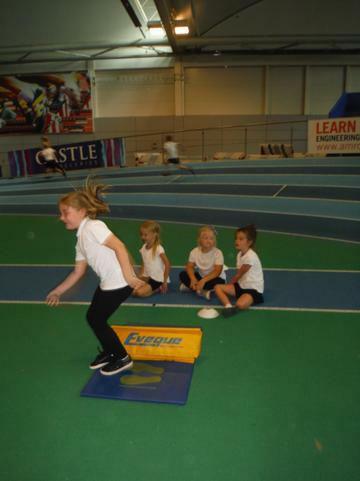 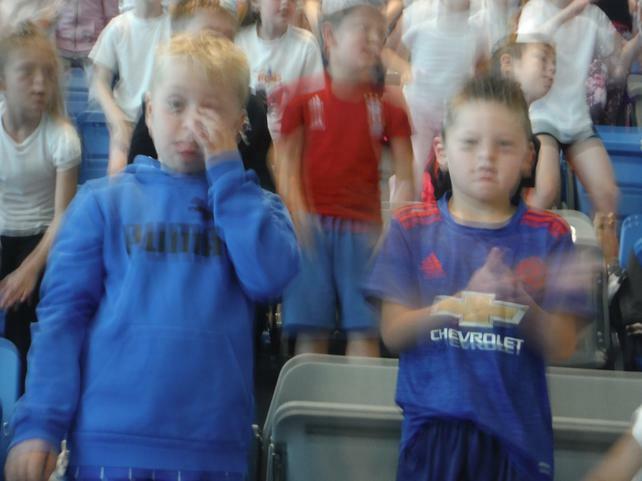 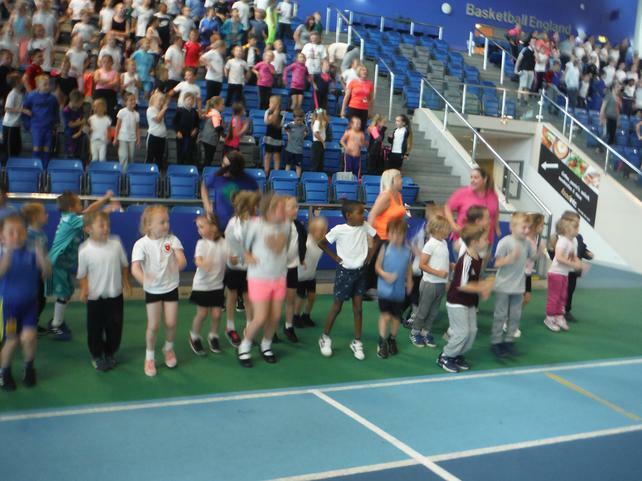 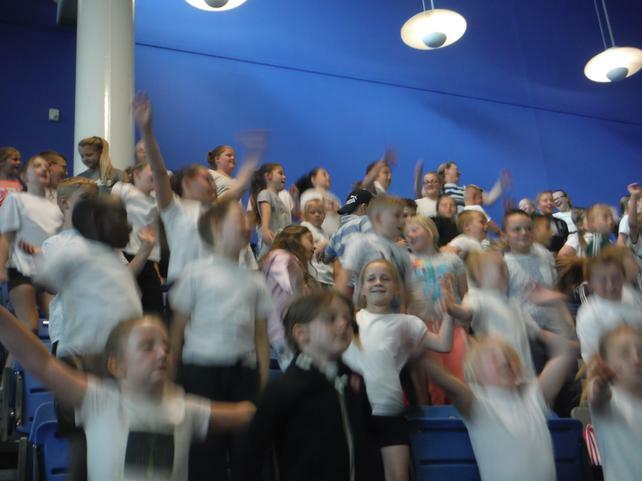 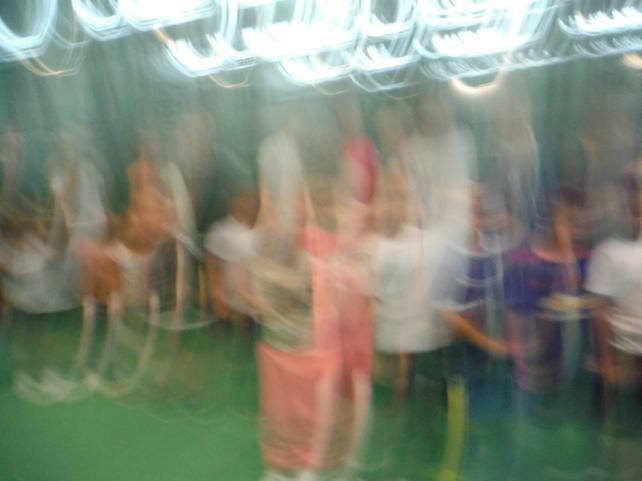 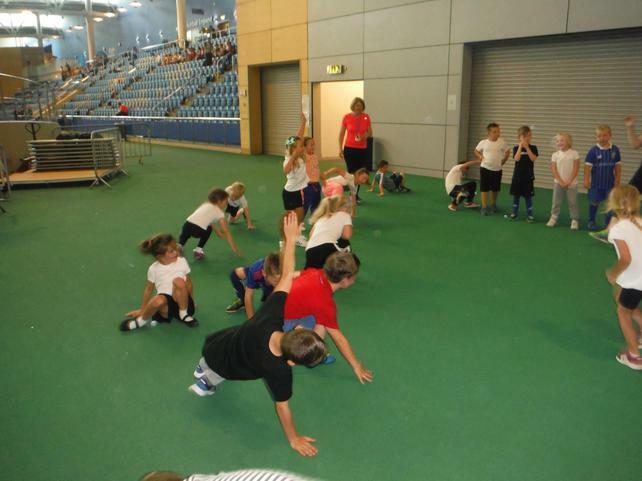 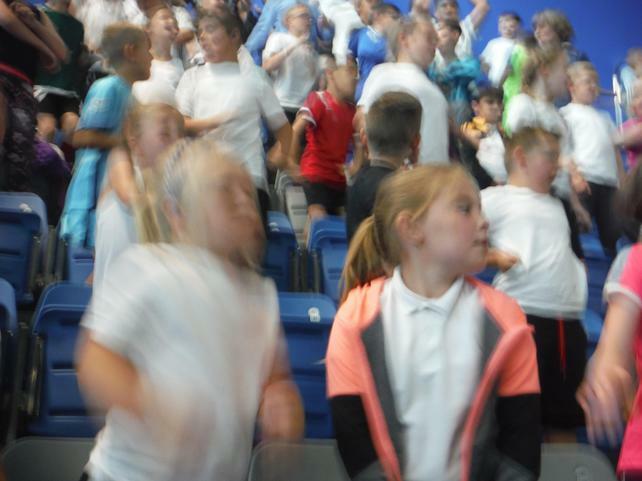 We showed great determination, courage and sportsmanship cheering each other on in those really difficult activities. 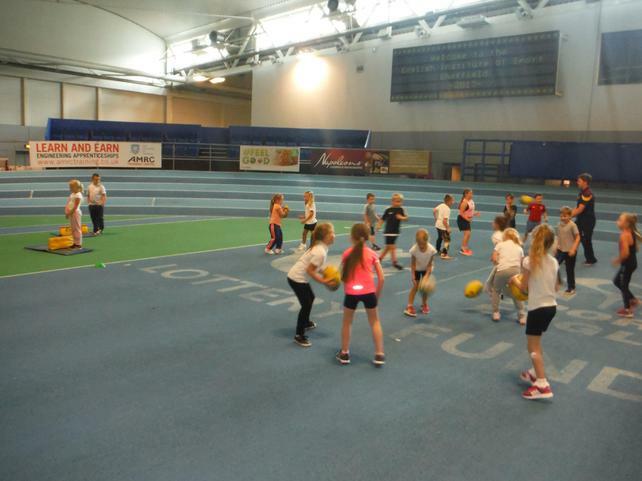 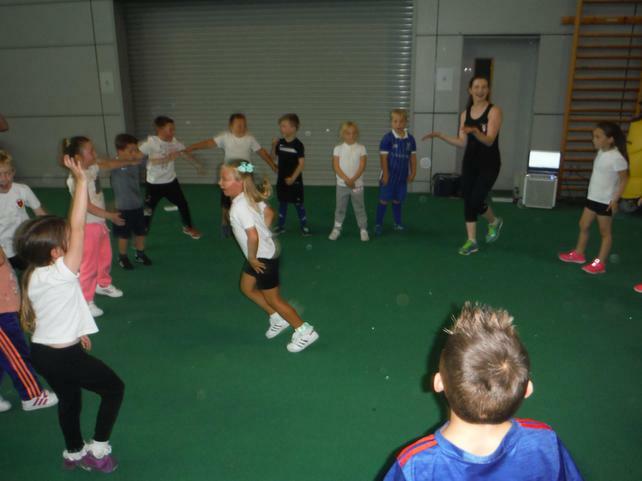 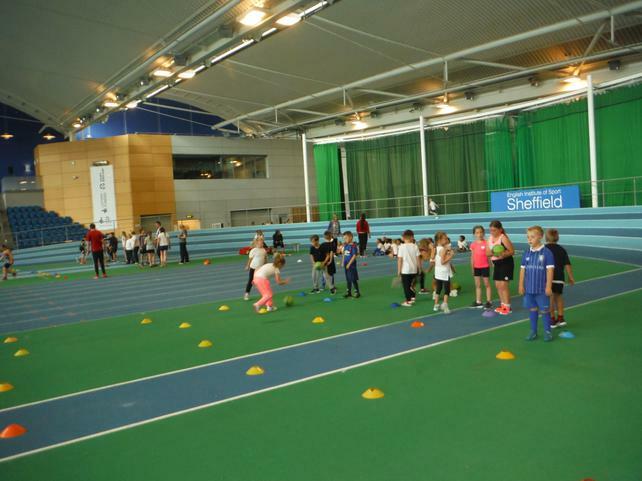 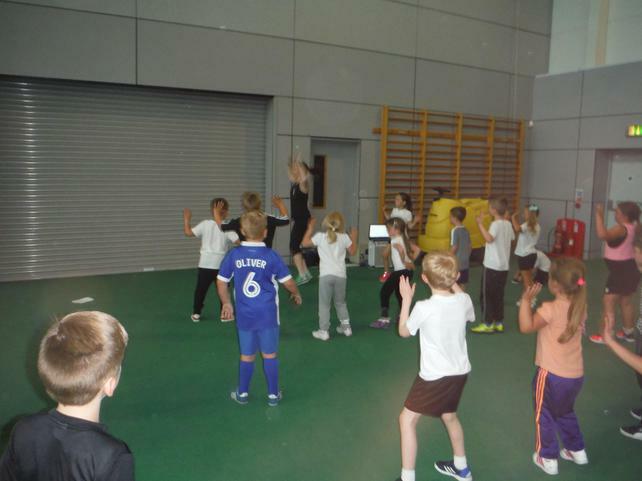 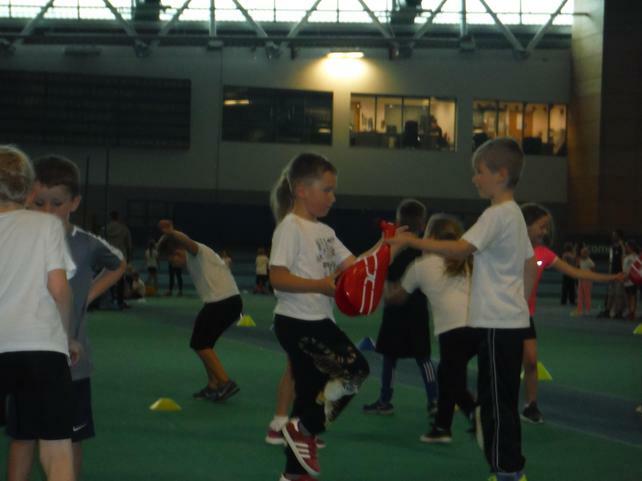 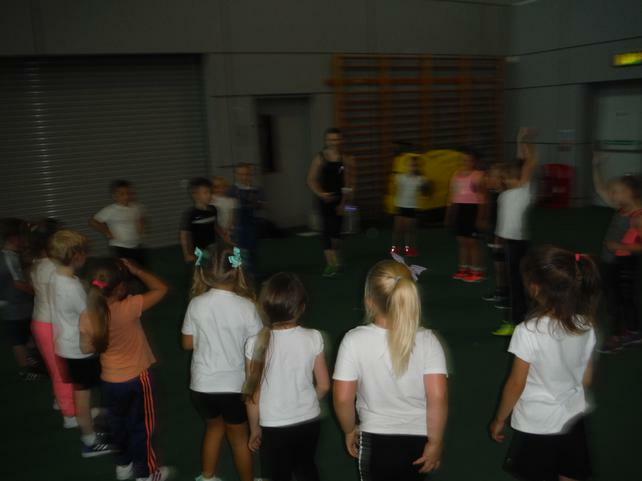 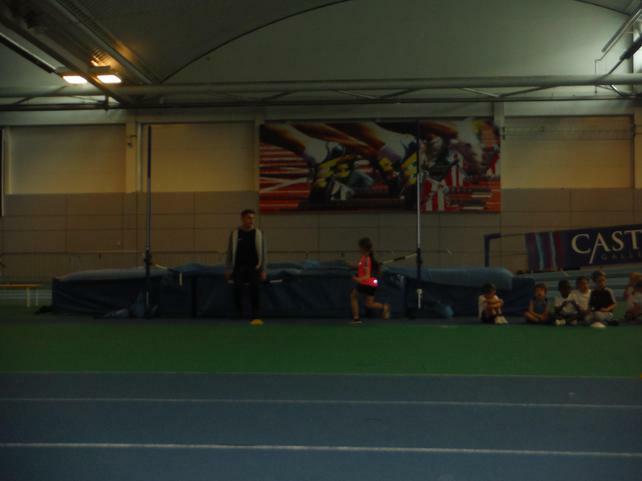 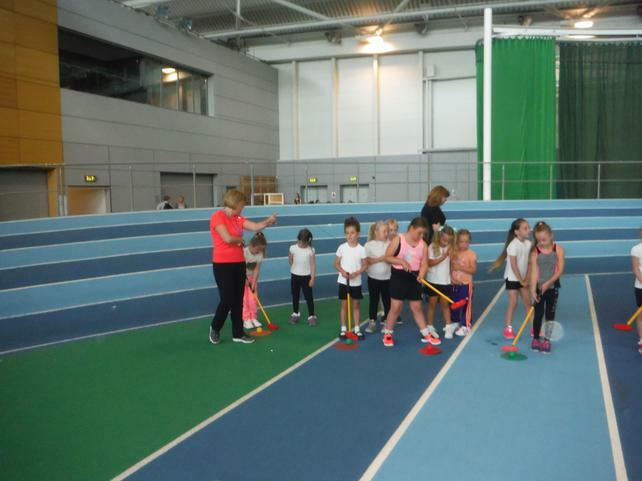 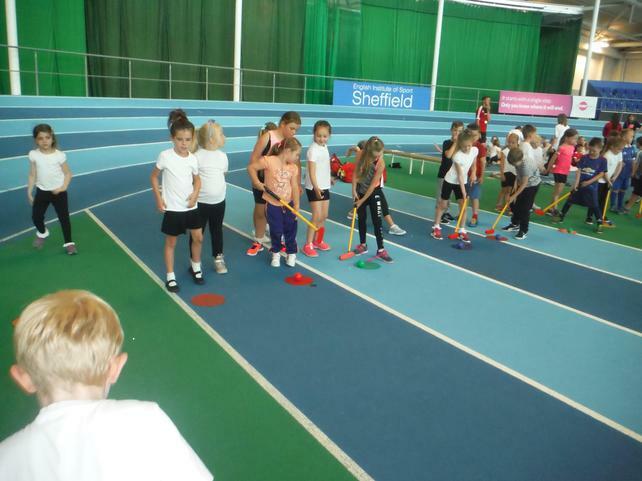 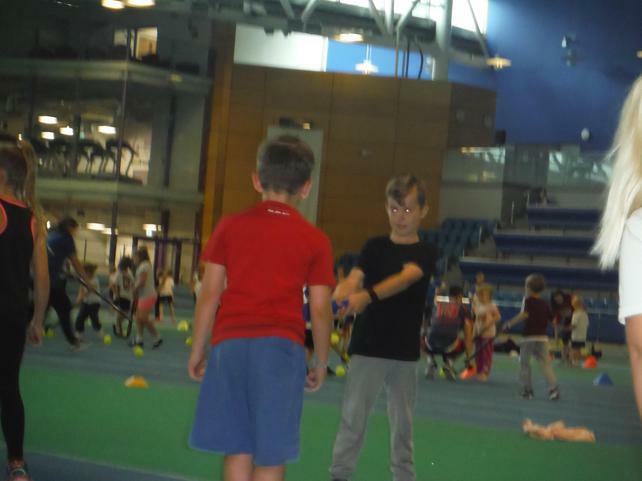 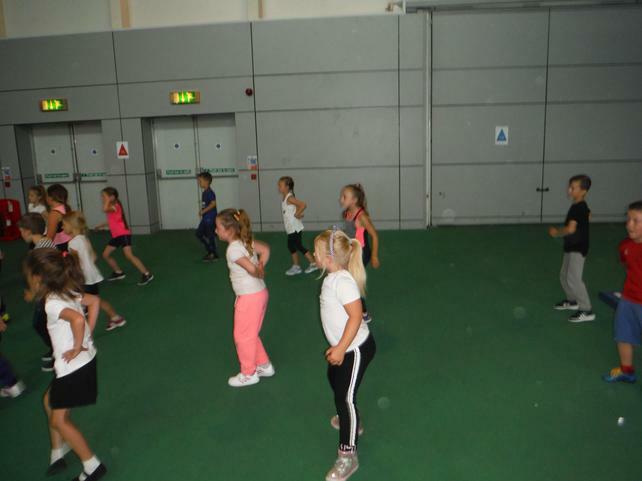 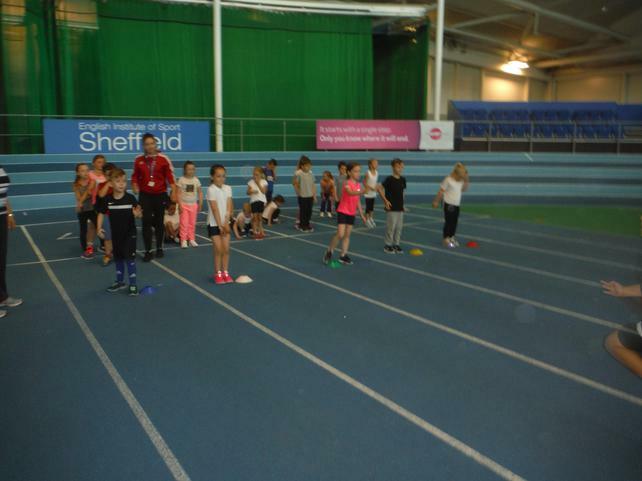 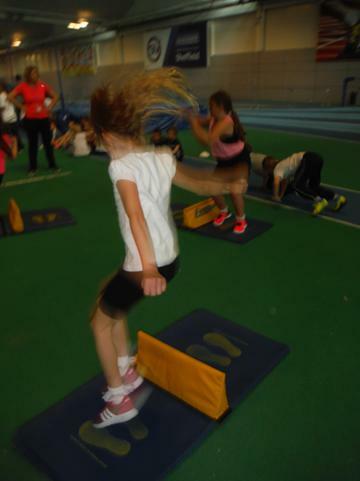 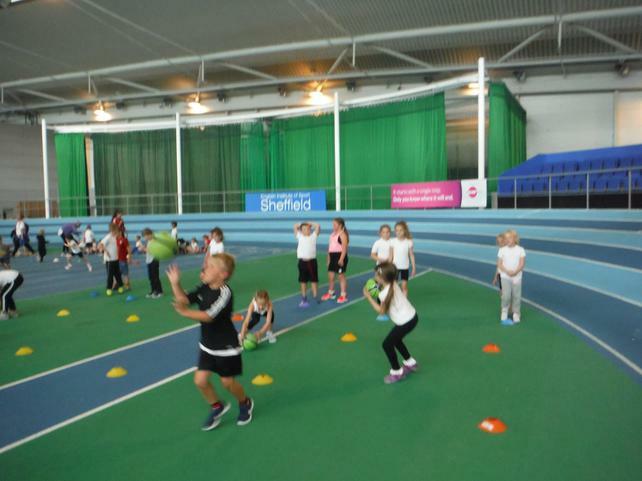 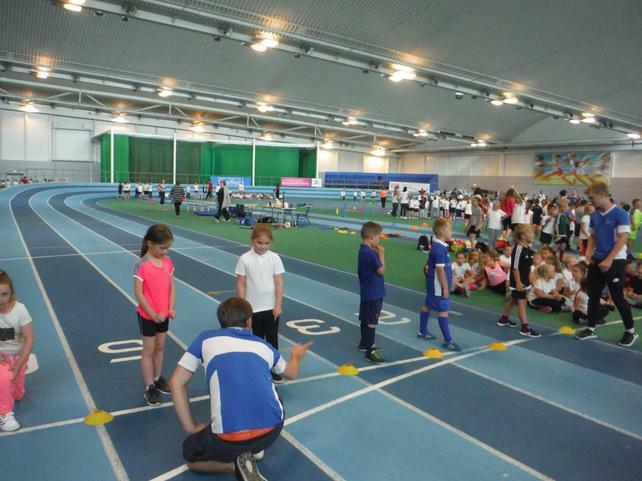 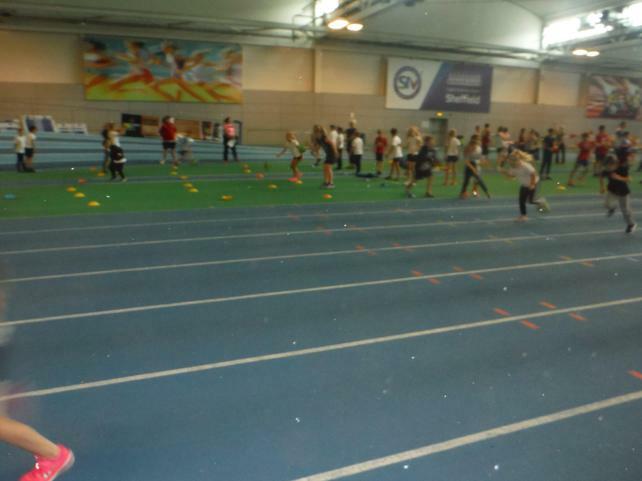 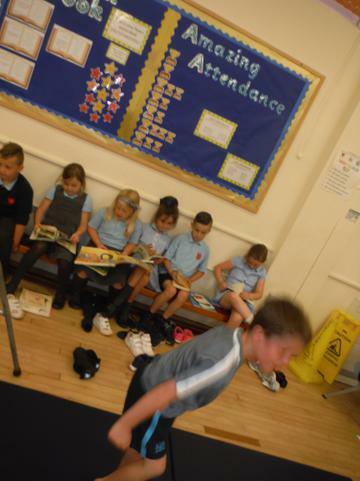 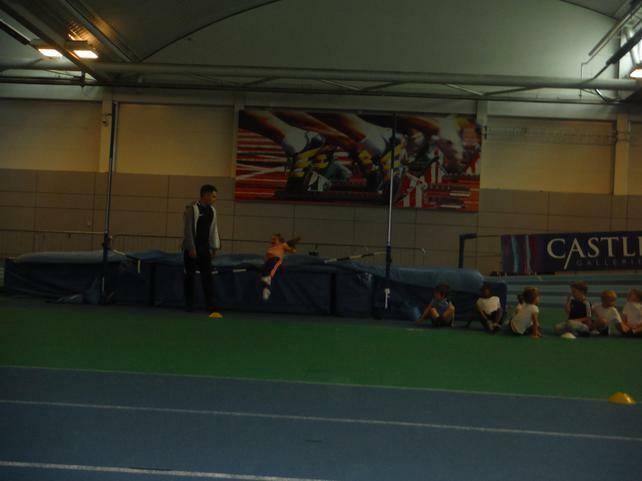 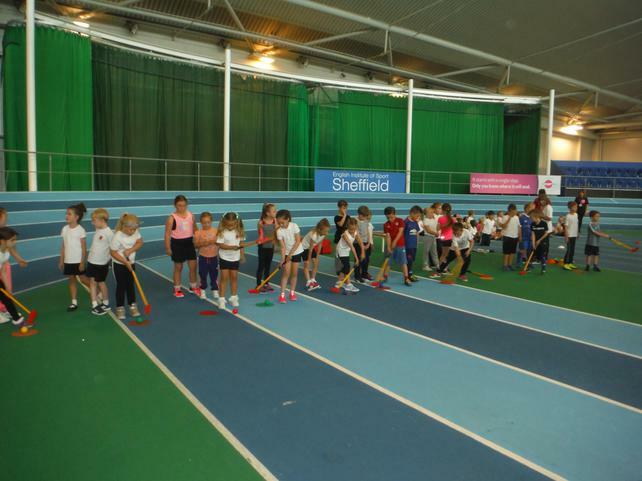 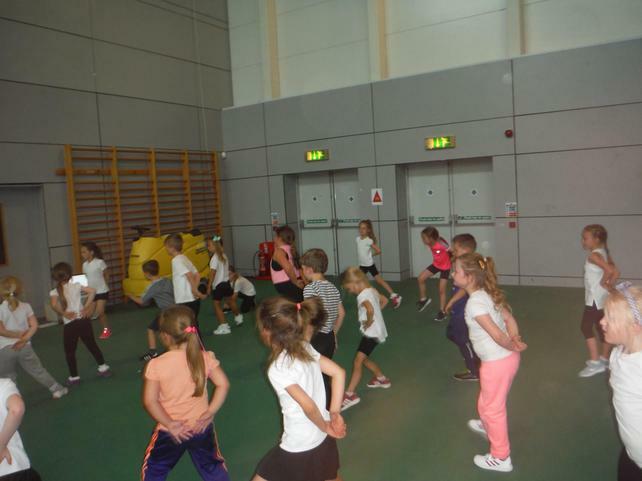 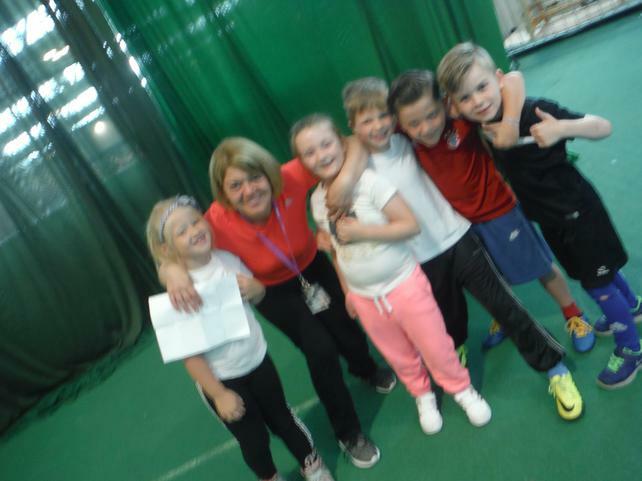 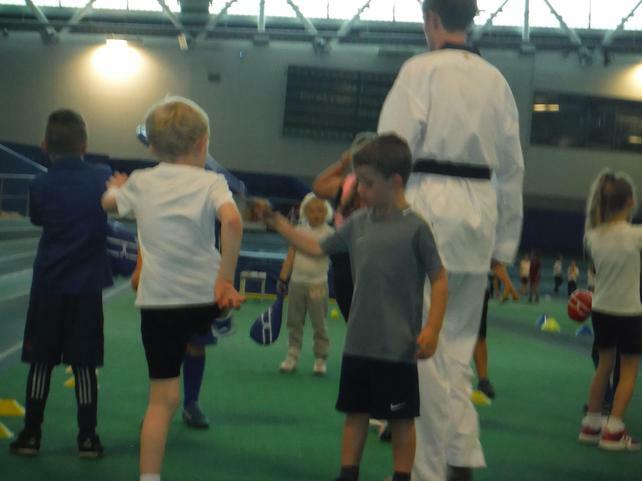 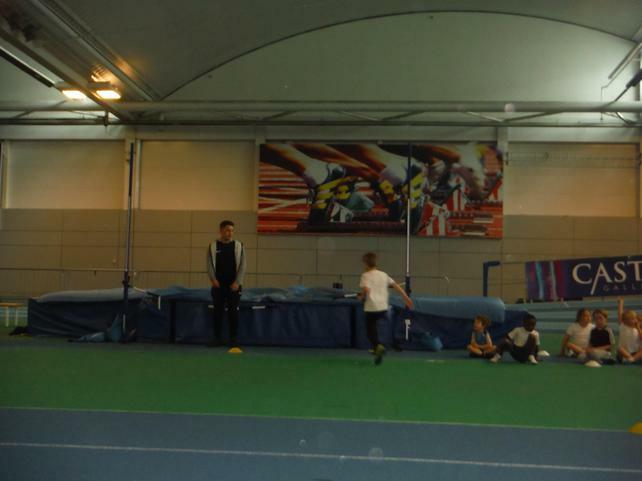 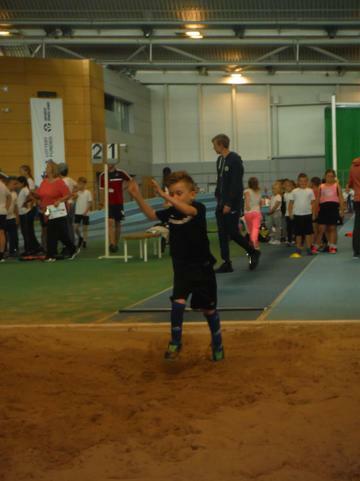 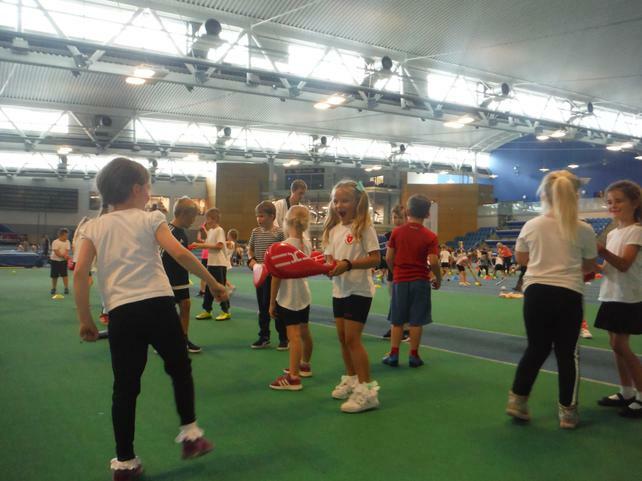 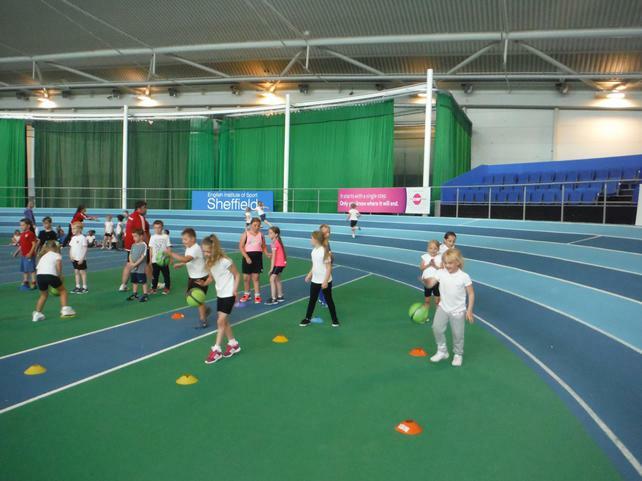 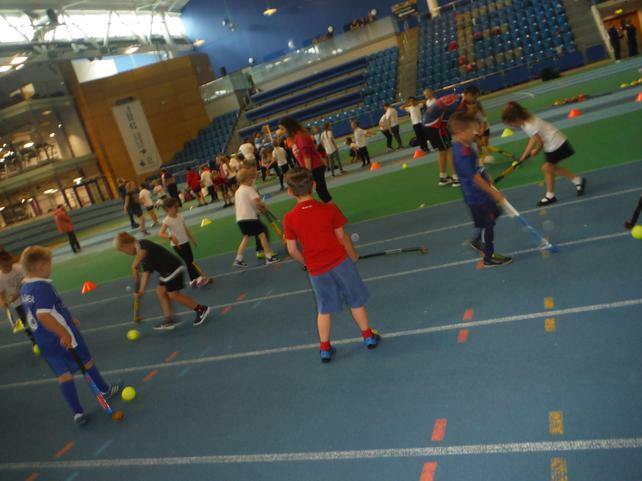 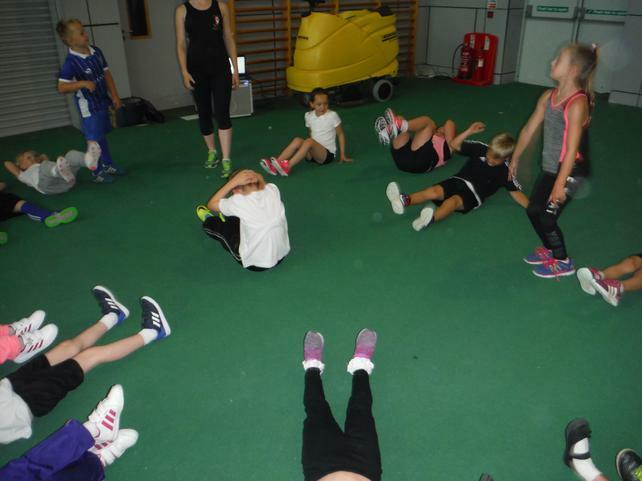 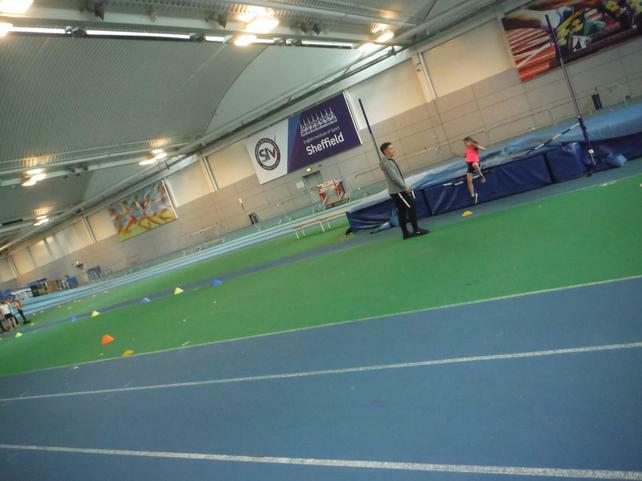 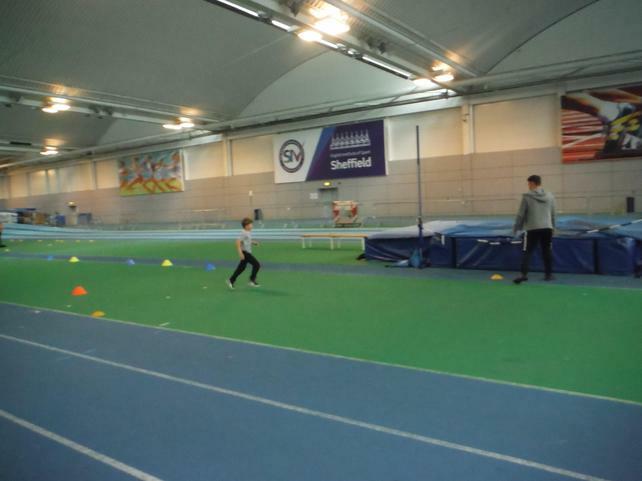 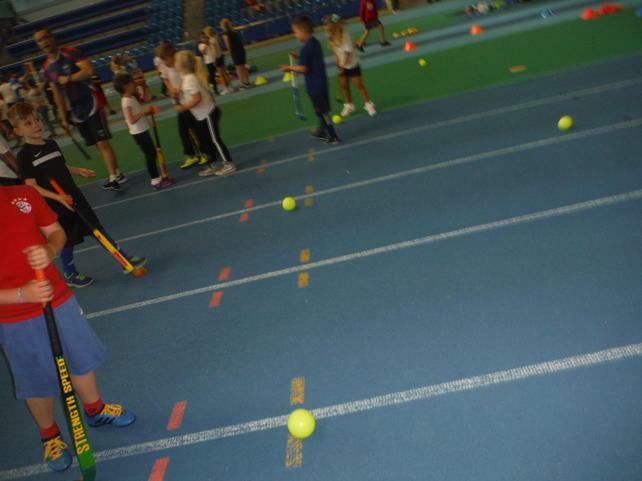 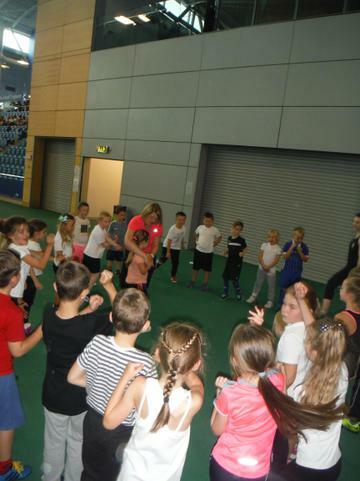 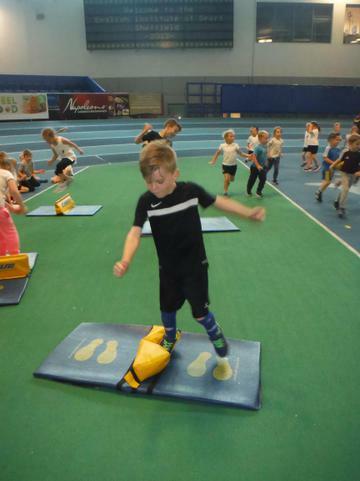 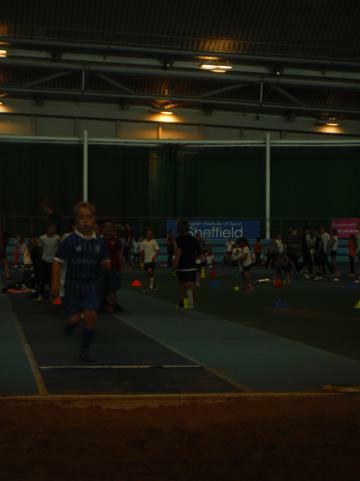 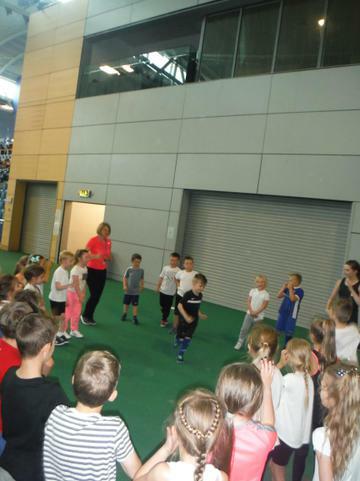 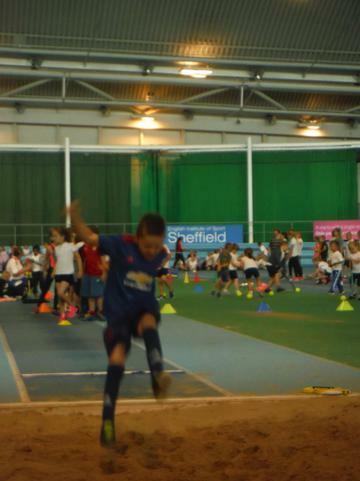 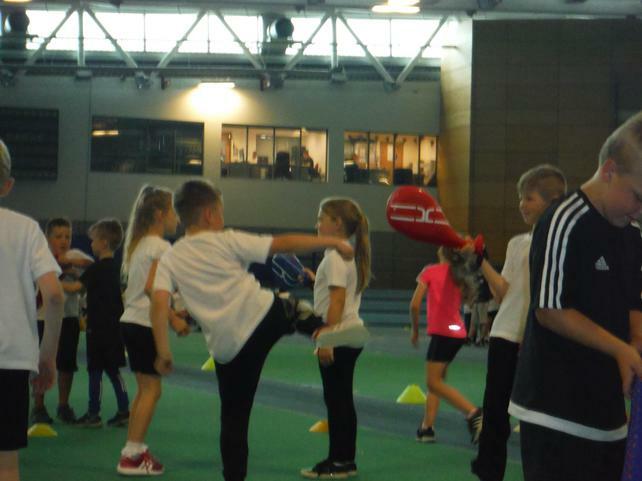 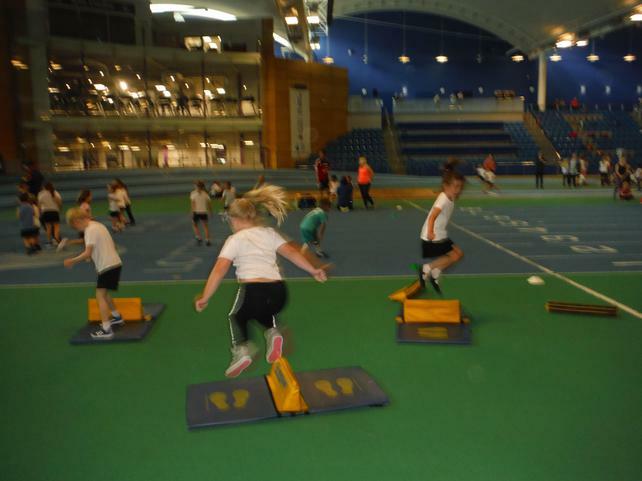 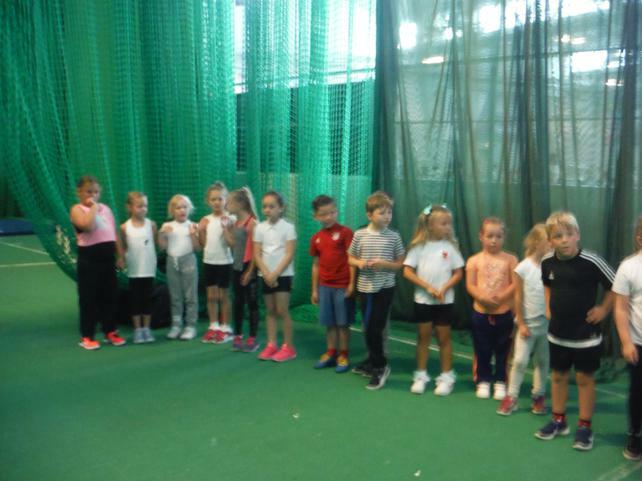 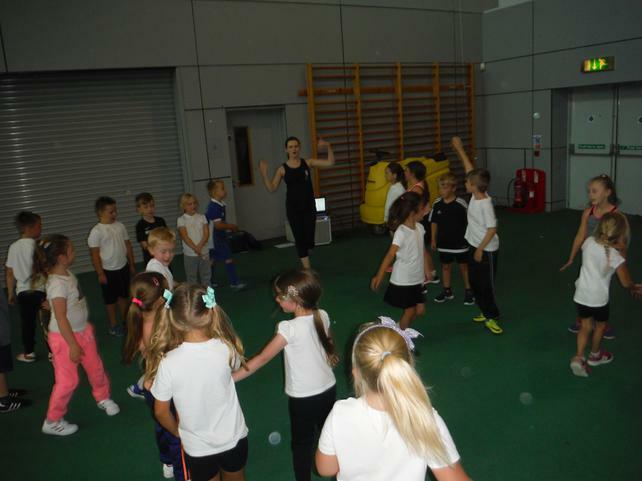 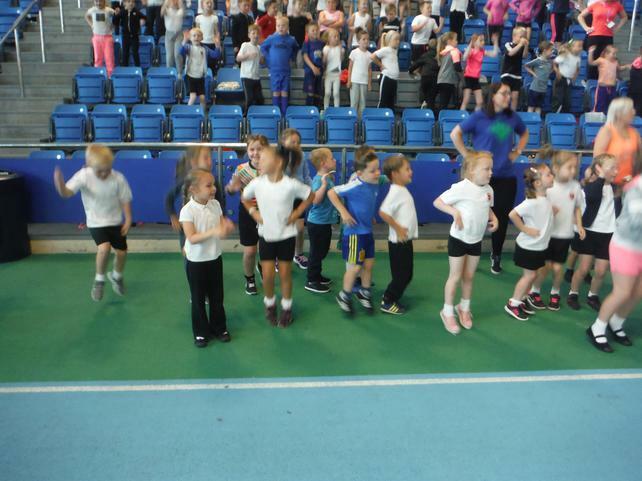 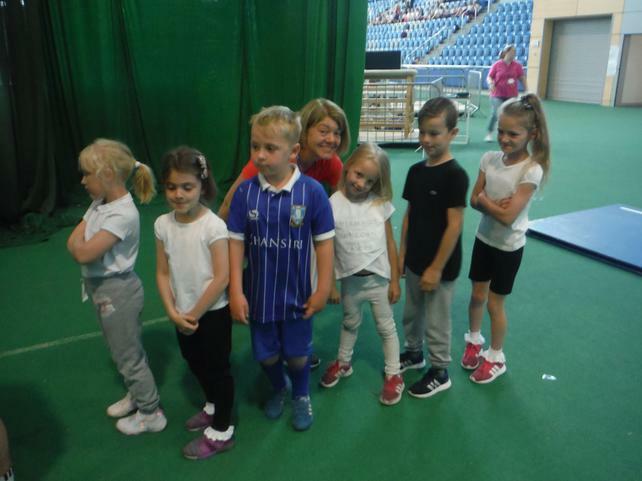 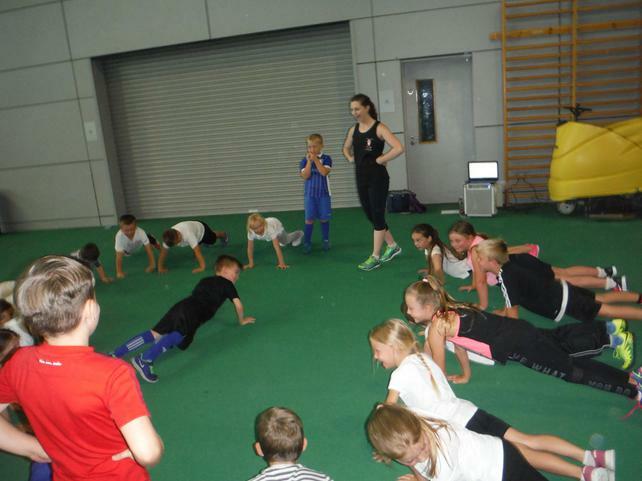 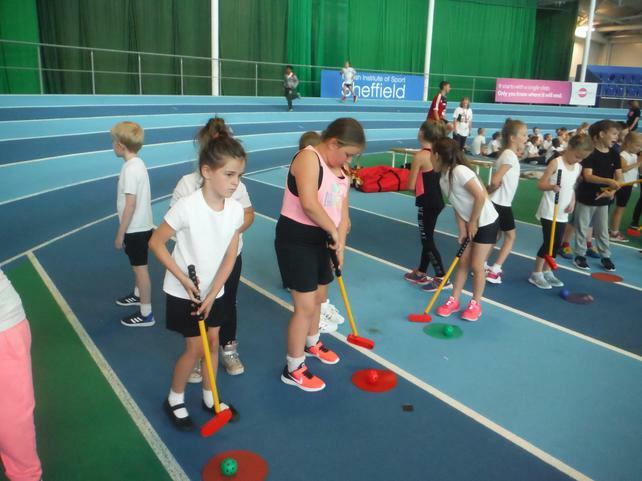 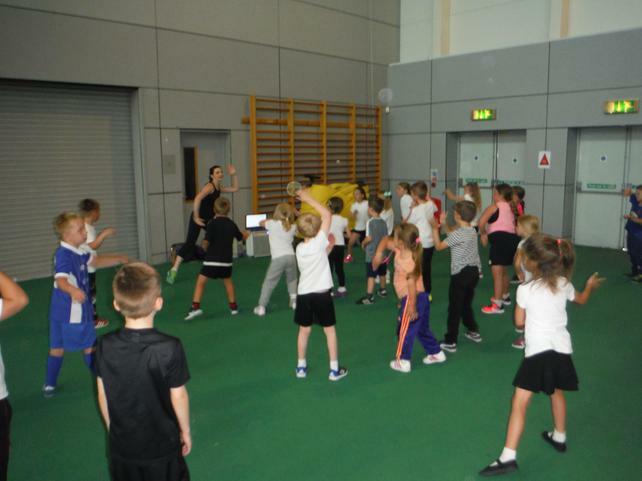 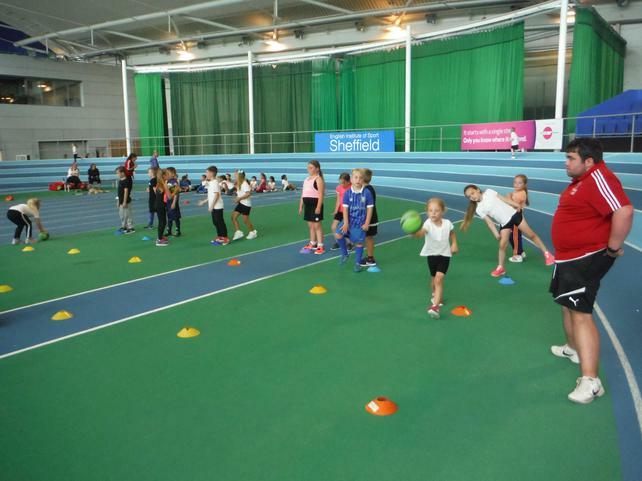 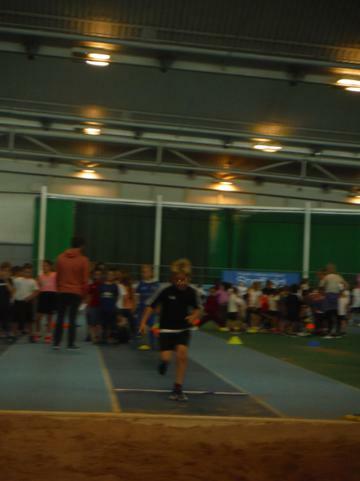 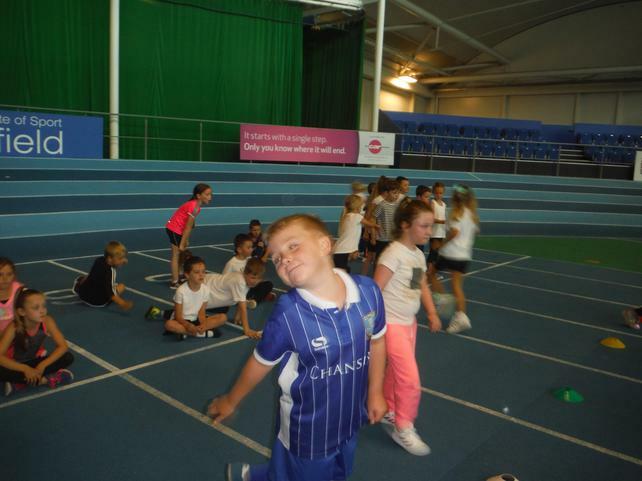 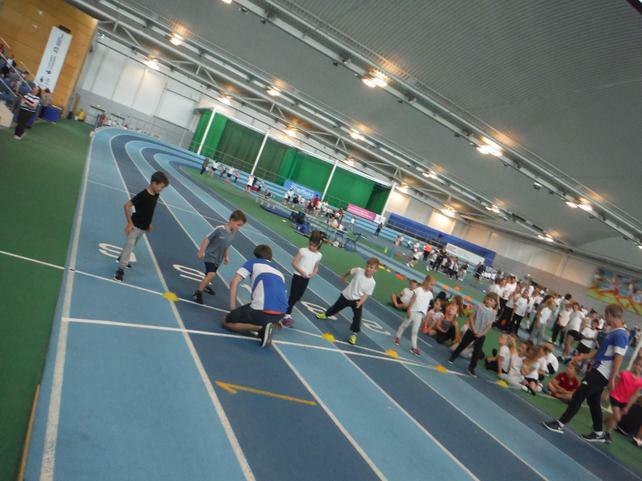 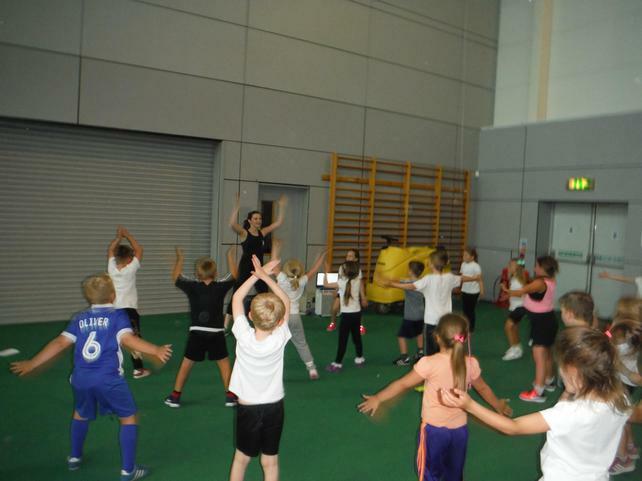 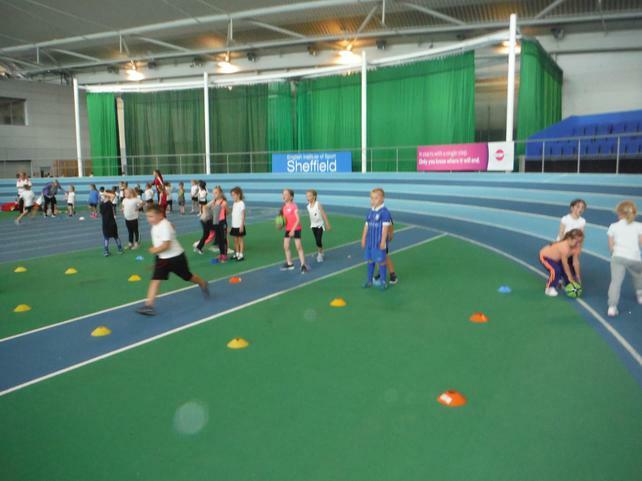 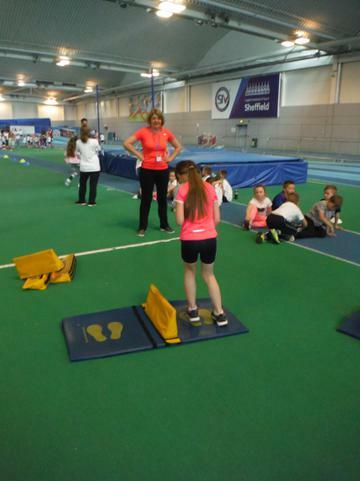 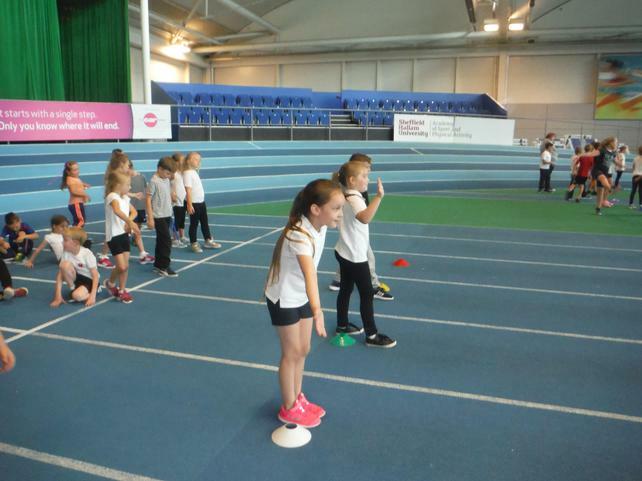 Some of the activity stations that we carried out included, football, hockey, 200m sprint, throwing for accuracy and also Taekwondo. 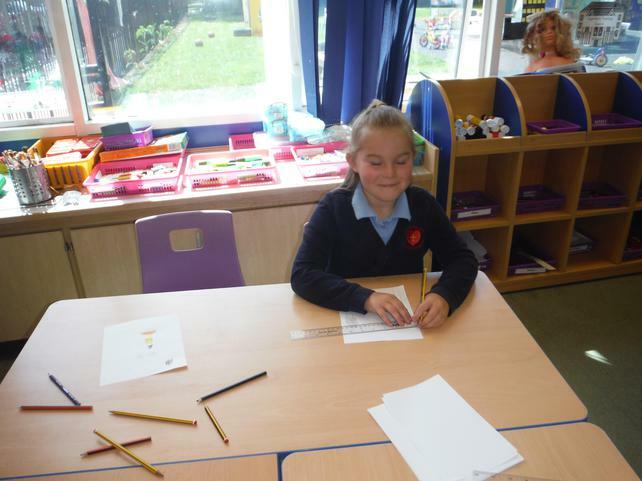 Well done to our Phonics Superstars who took their Phonics screening test this week, they all tried amazing hard and did extremely well. 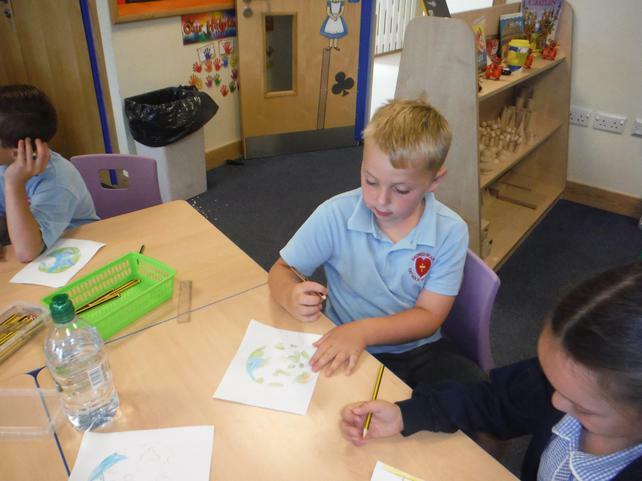 We looked at different pictures to help us to understand the question and then we thought about what God means to us and what we see when we see God in our head.